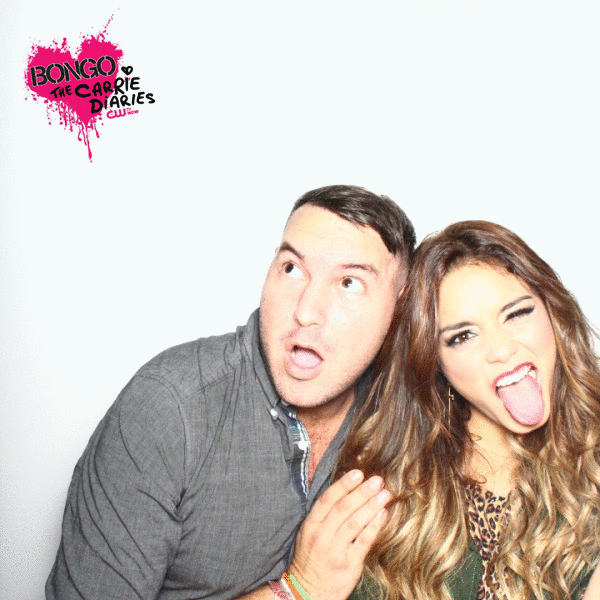 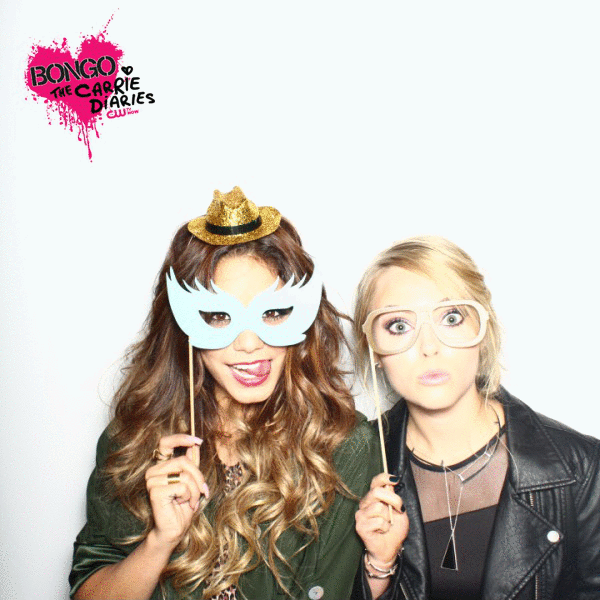 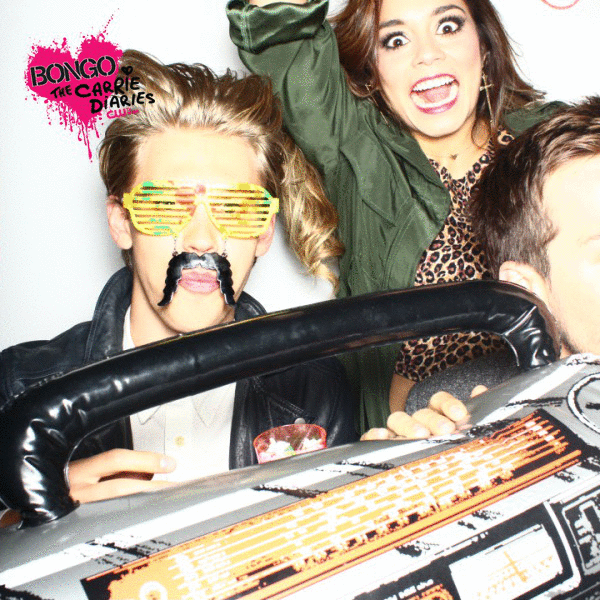 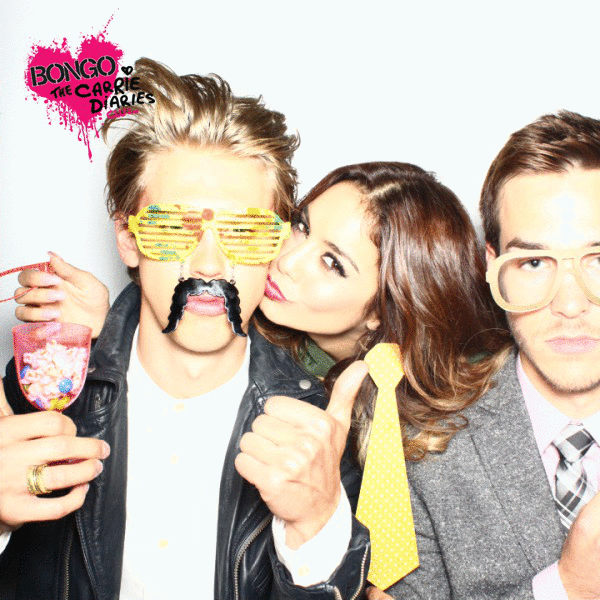 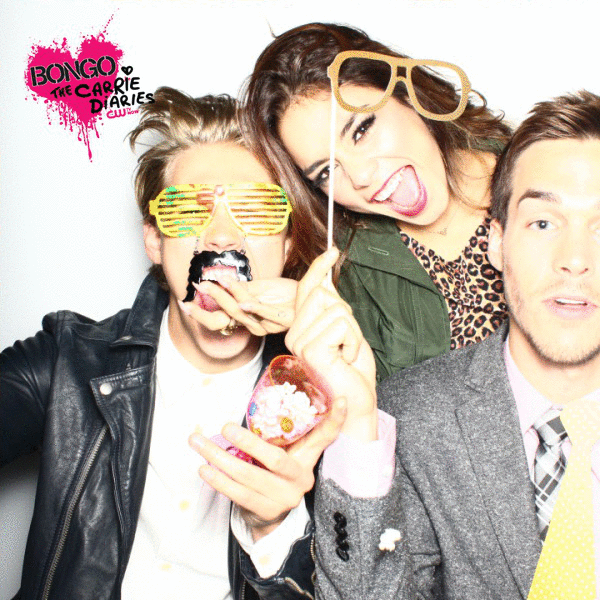 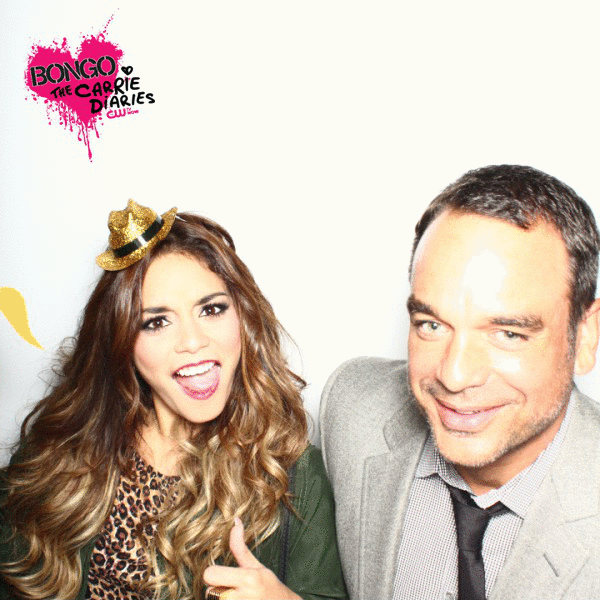 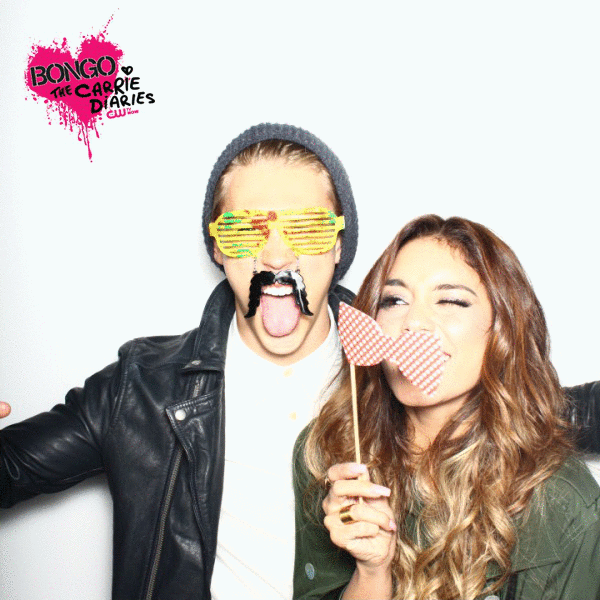 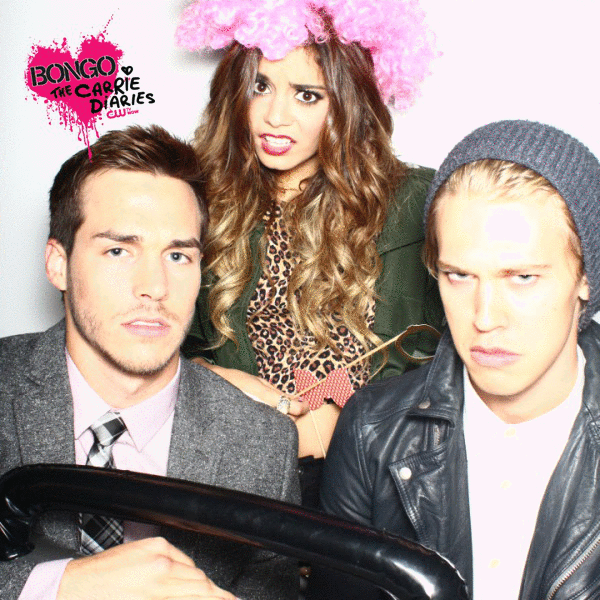 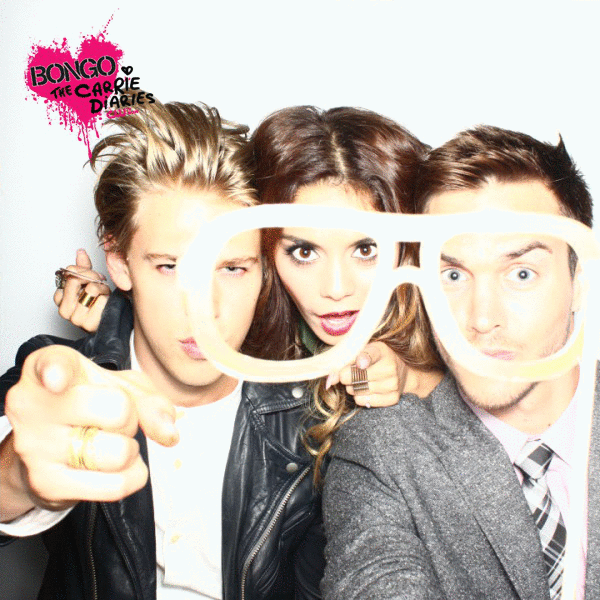 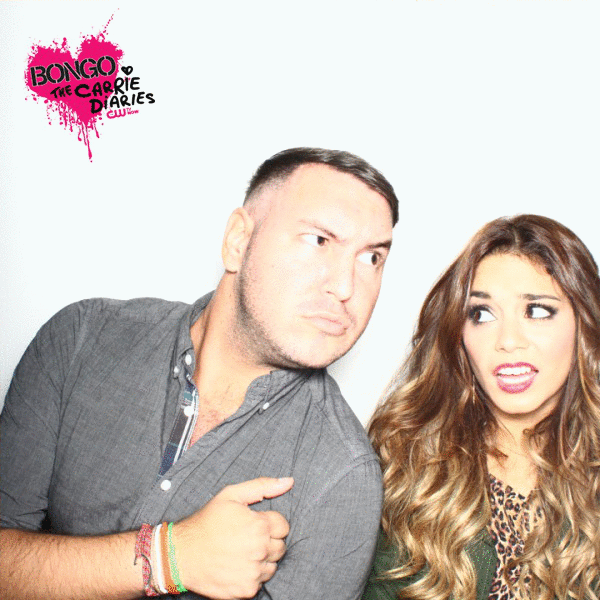 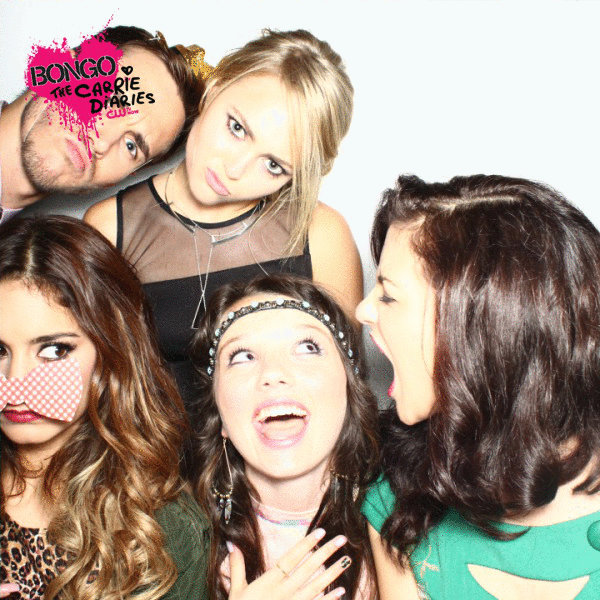 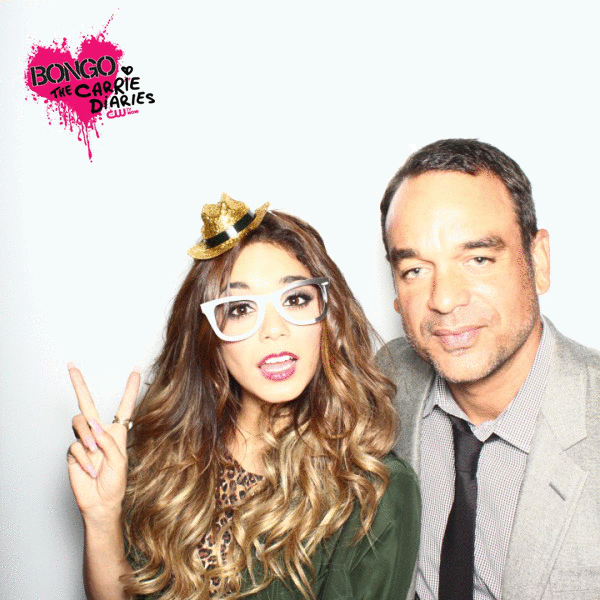 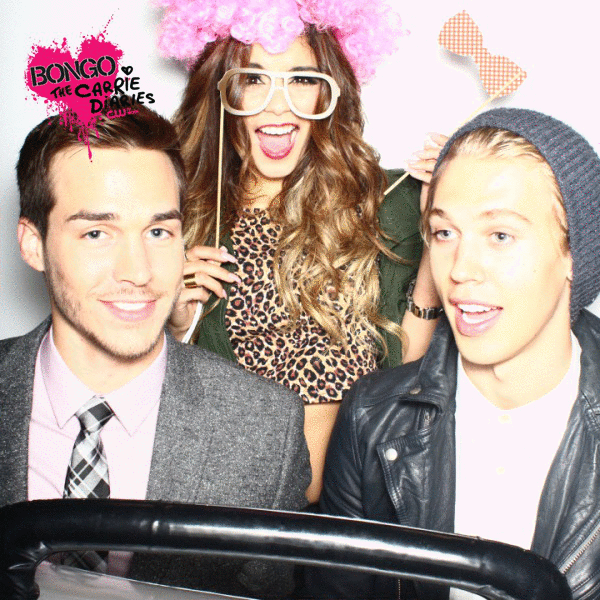 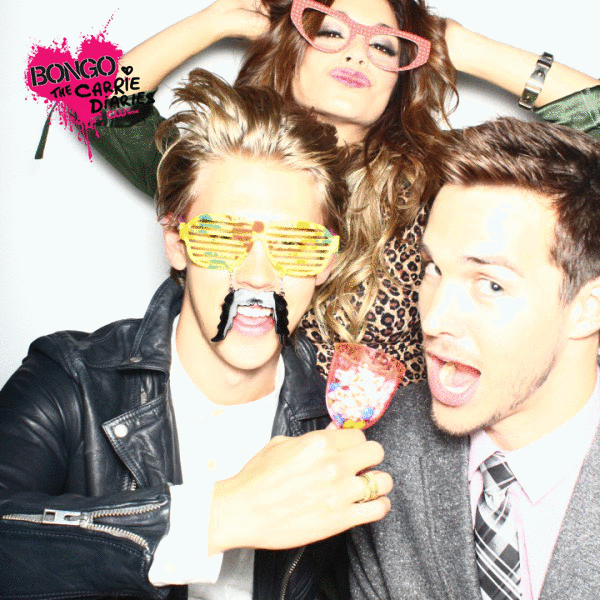 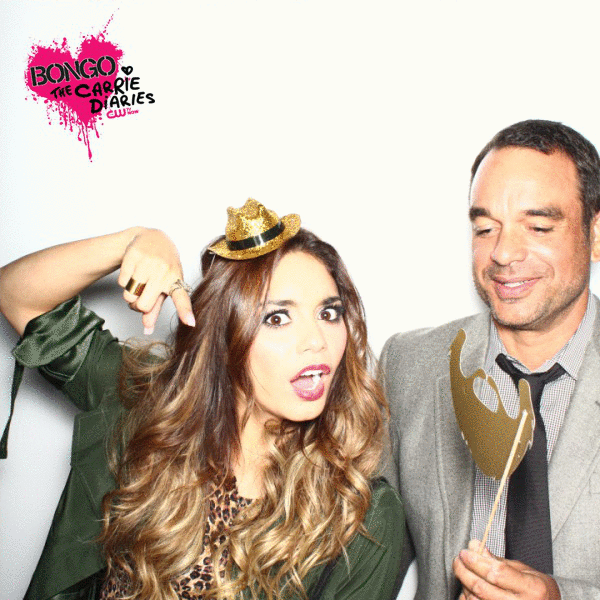 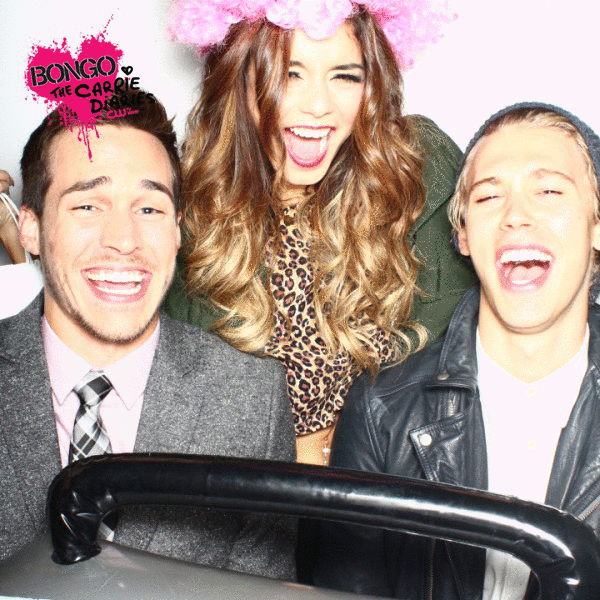 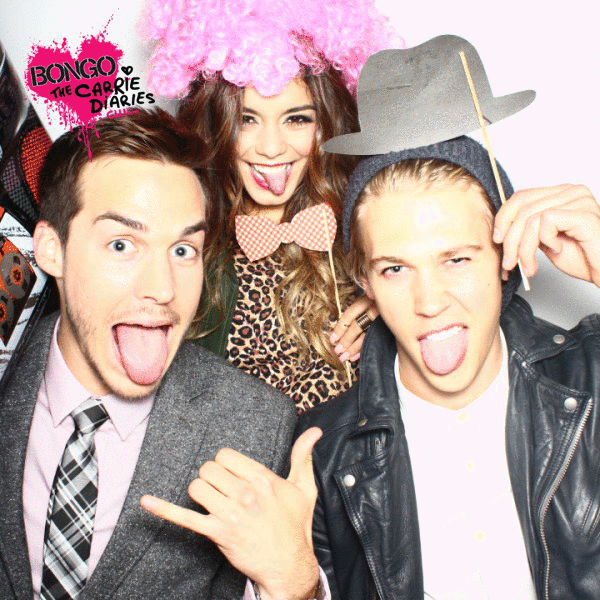 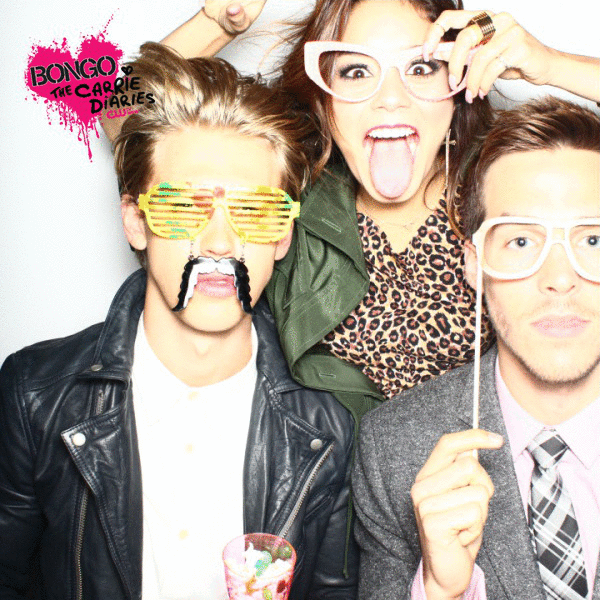 WCW: @VanessaHudgens Partying at @NoVacancyLA for the web launch of #lejolie. 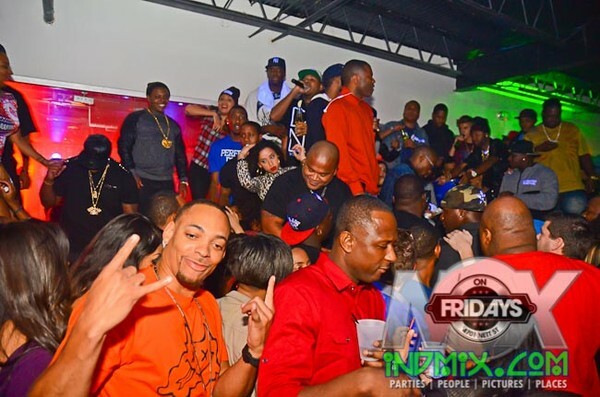 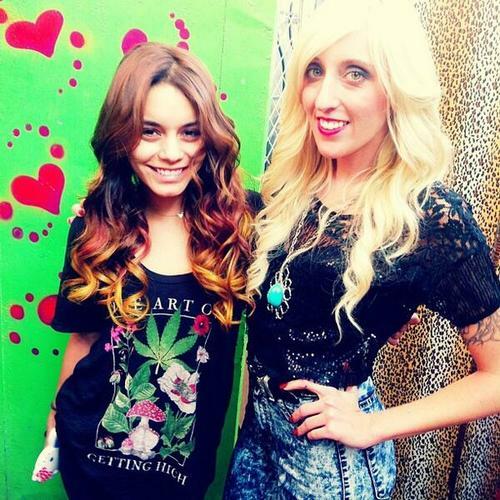 w/ @drinkneuro Thnx to Milk Money Inc! 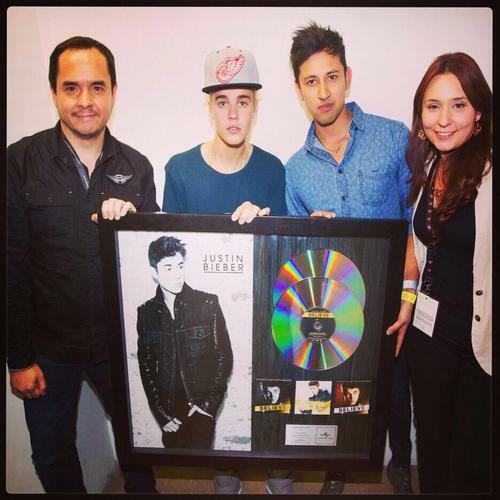 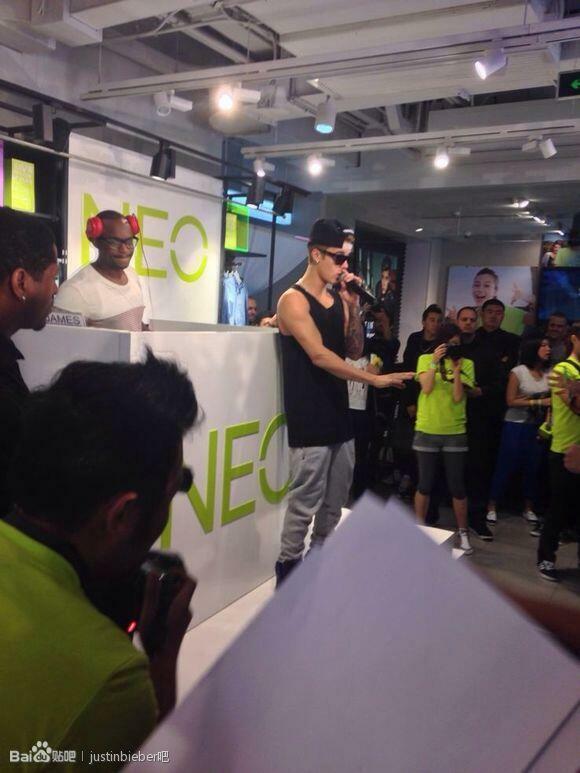 @UMusicColombia: El equipo de Universal Music Colombia le entrega a Justin Bieber doble disco de Platino x sus ventas. 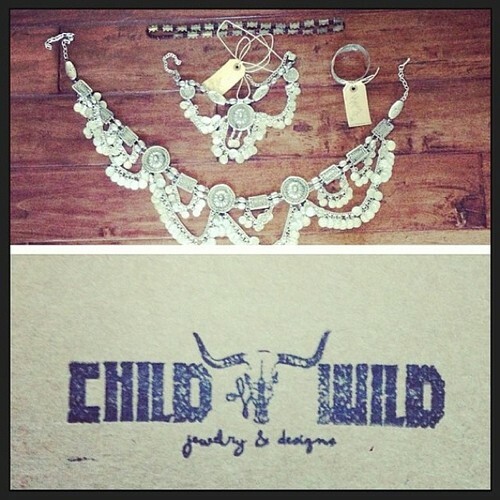 Thank you so so much @child_of_wild for my gypsy treasures from all over the world!!!! 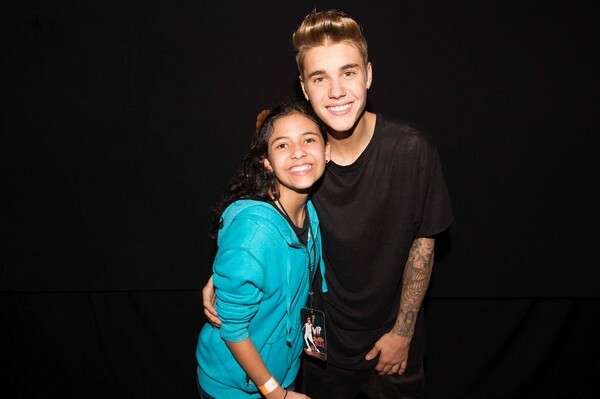 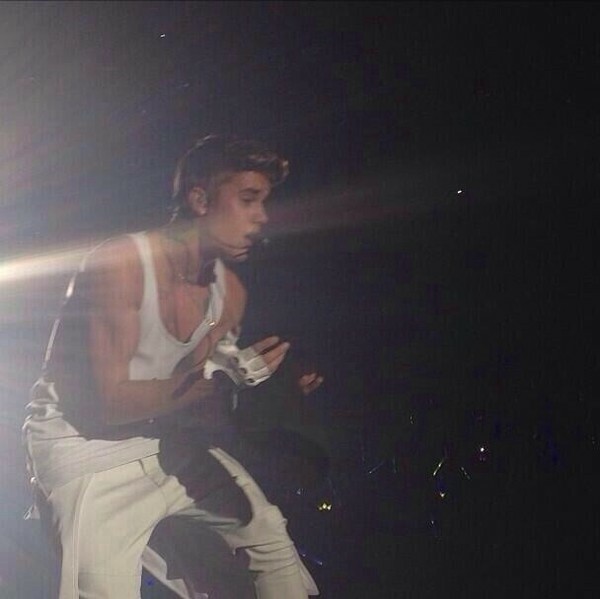 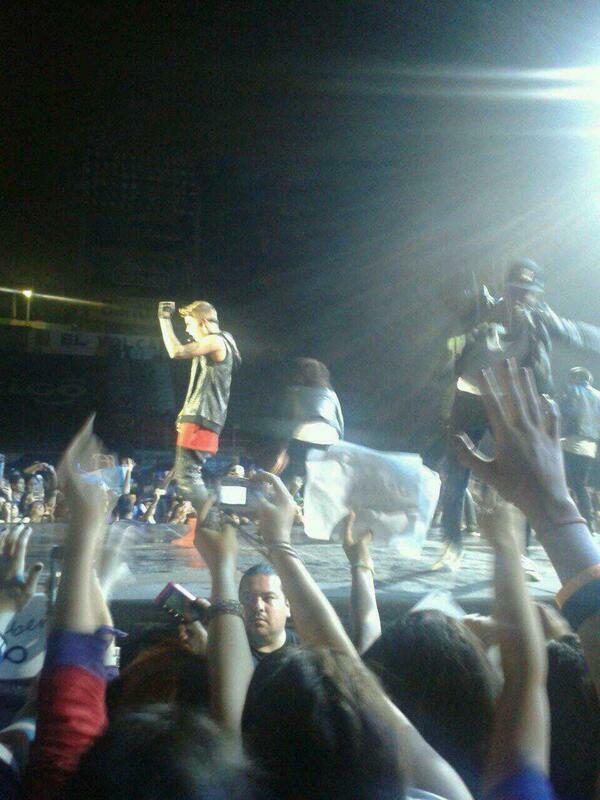 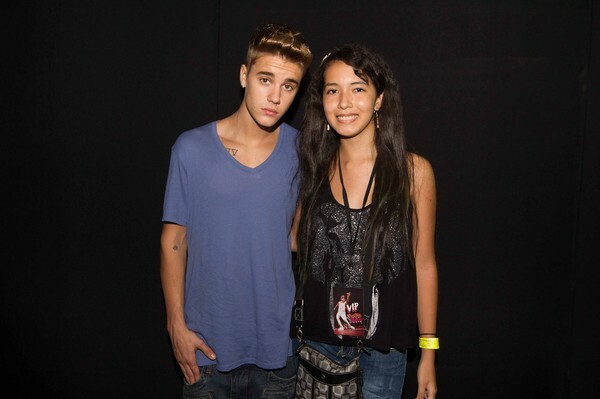 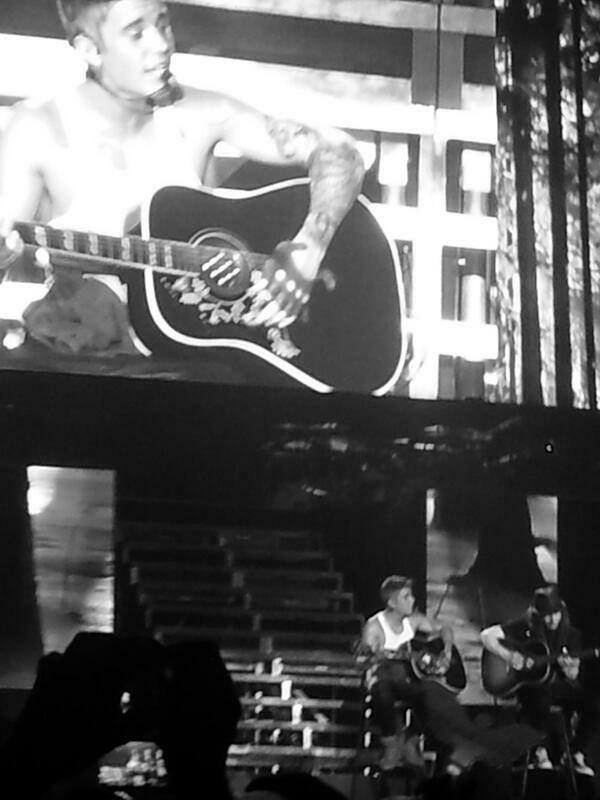 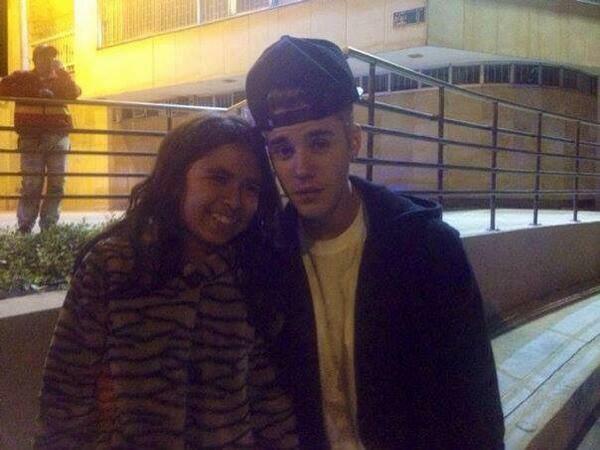 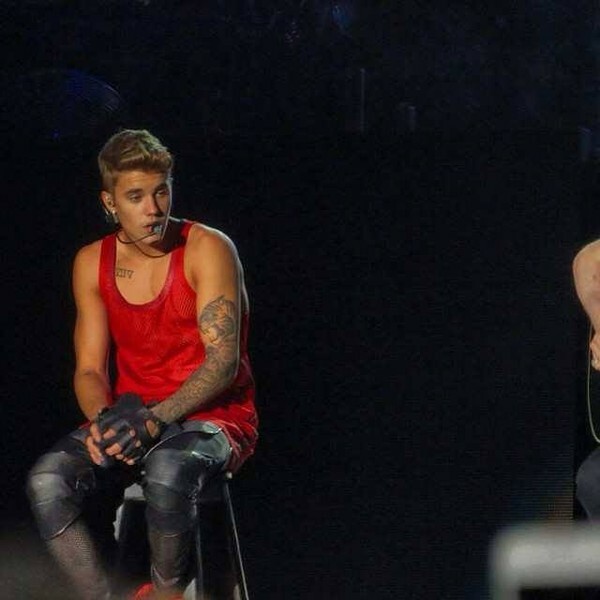 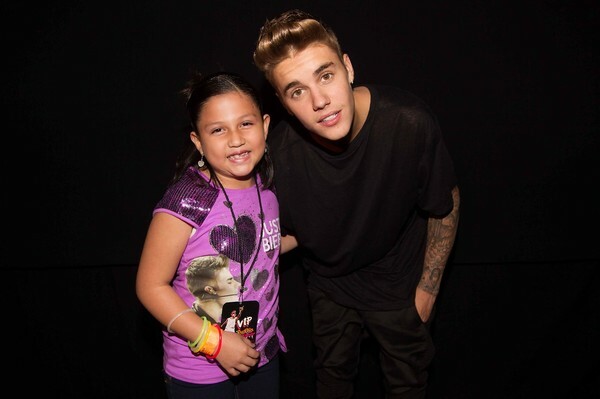 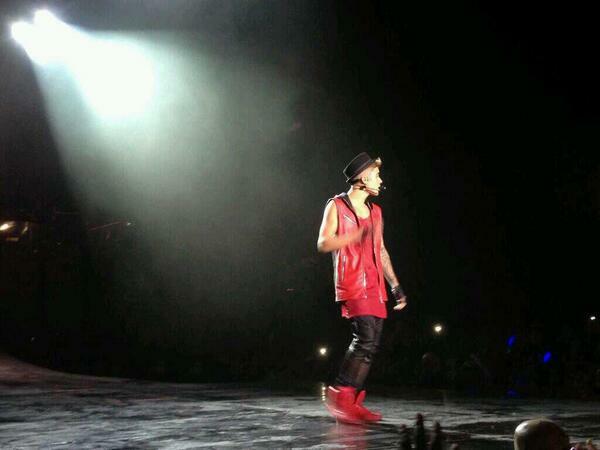 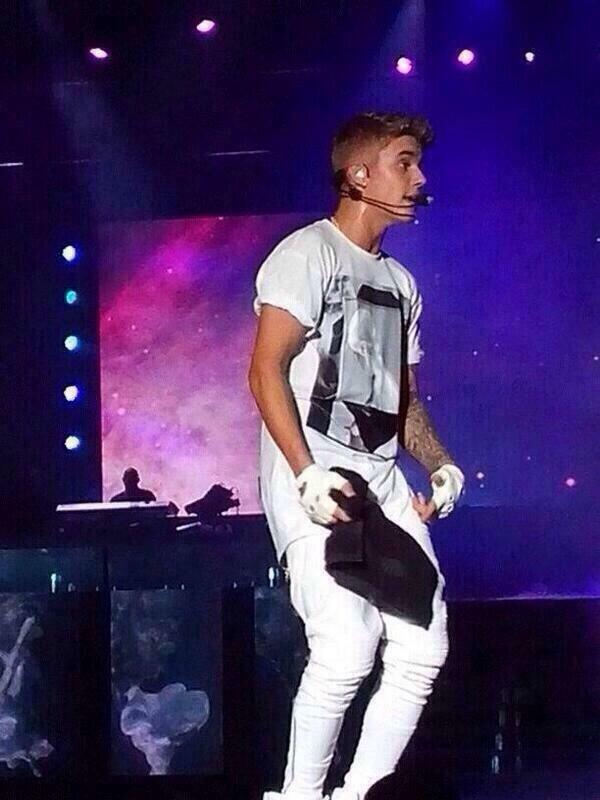 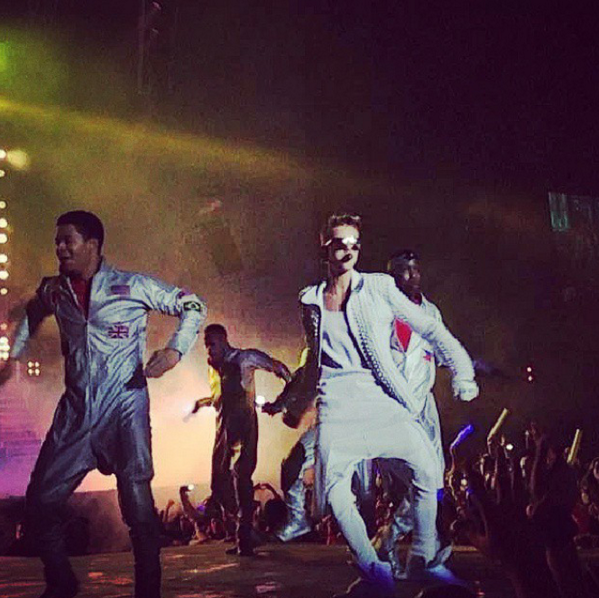 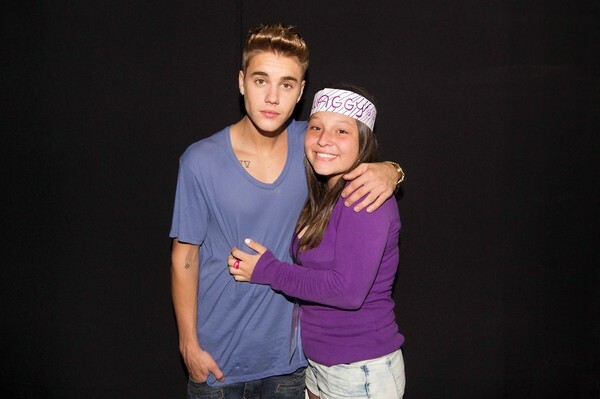 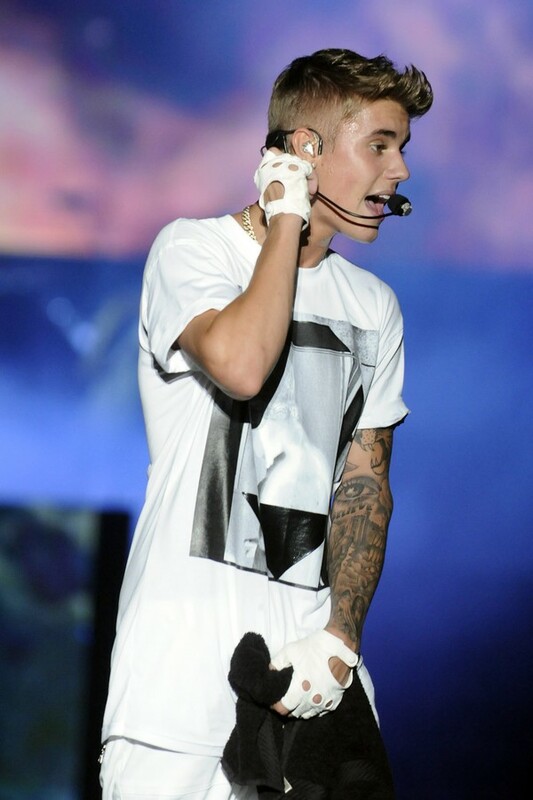 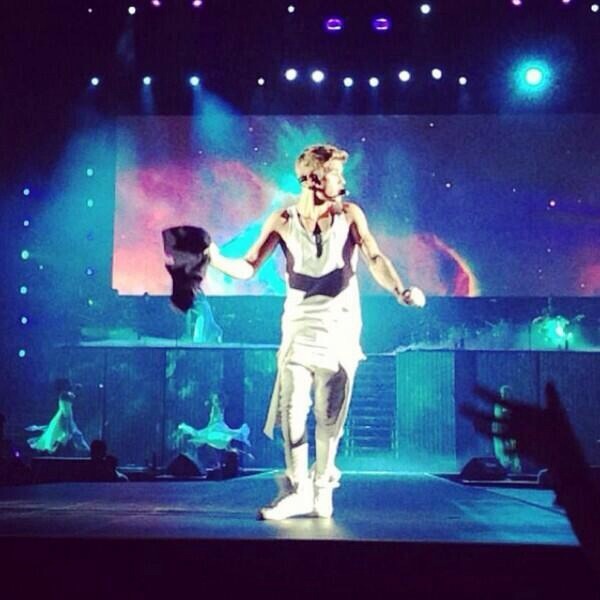 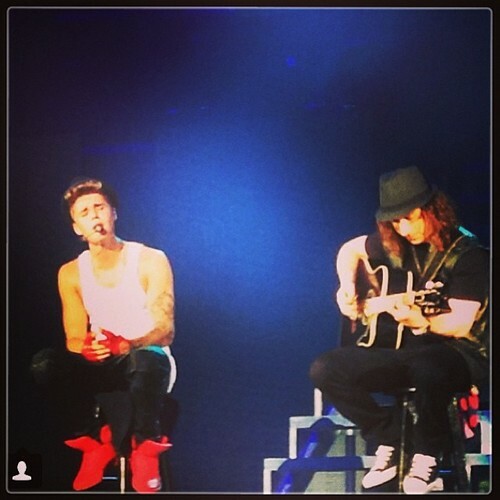 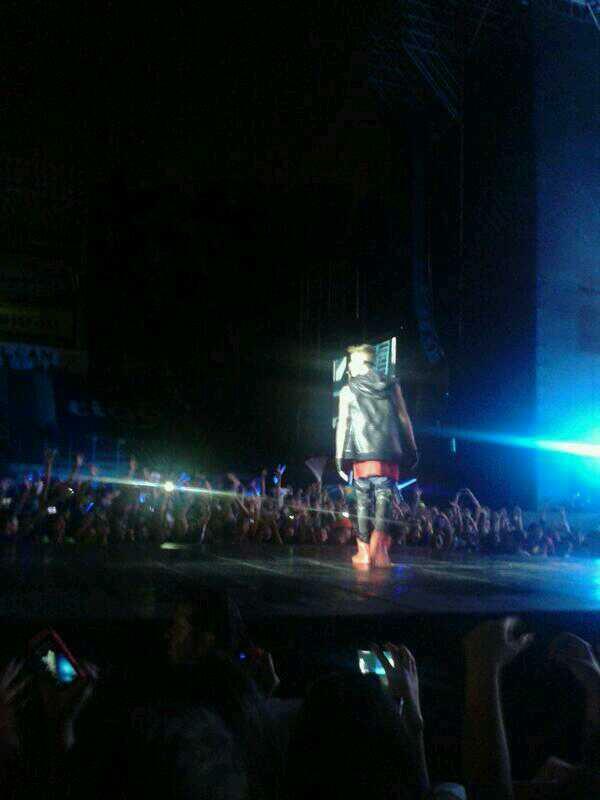 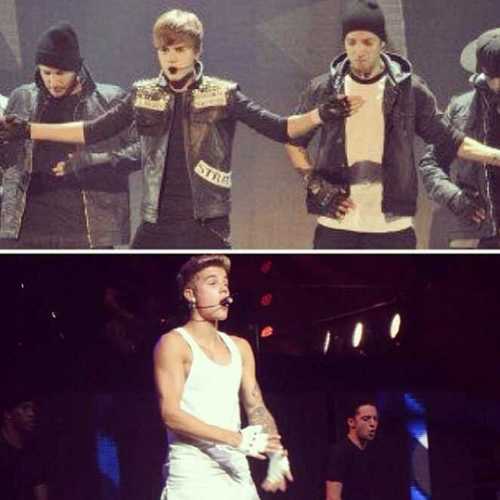 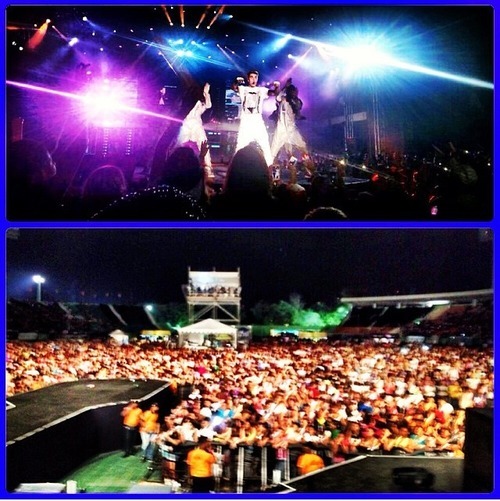 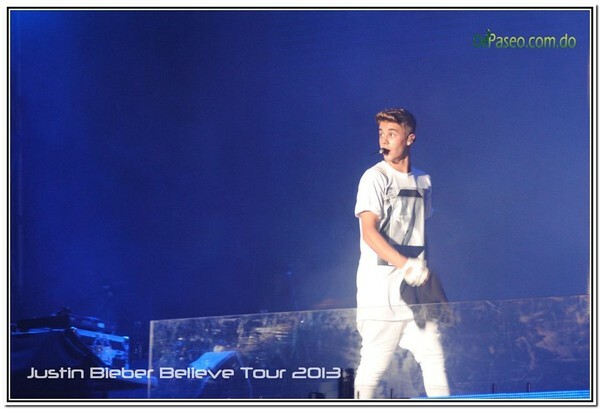 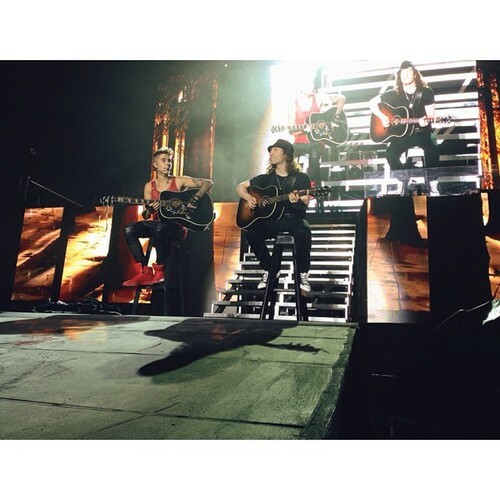 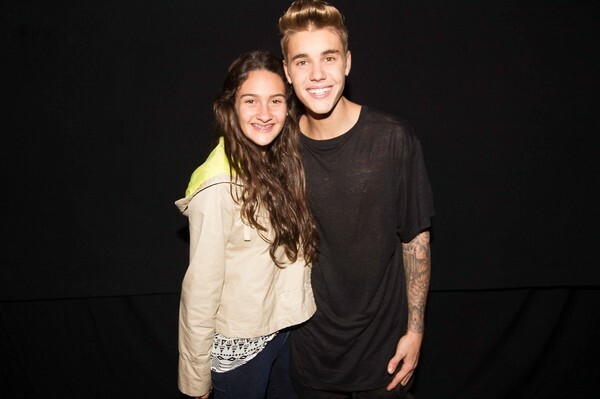 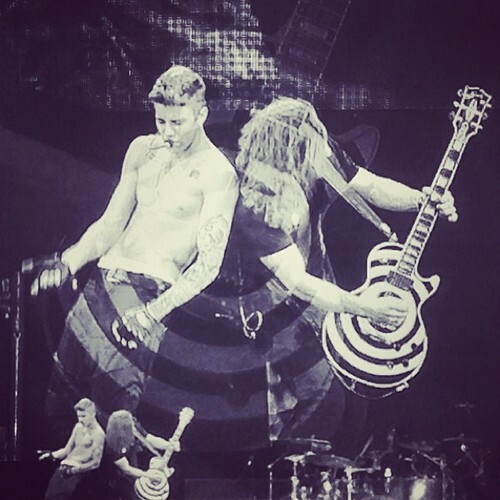 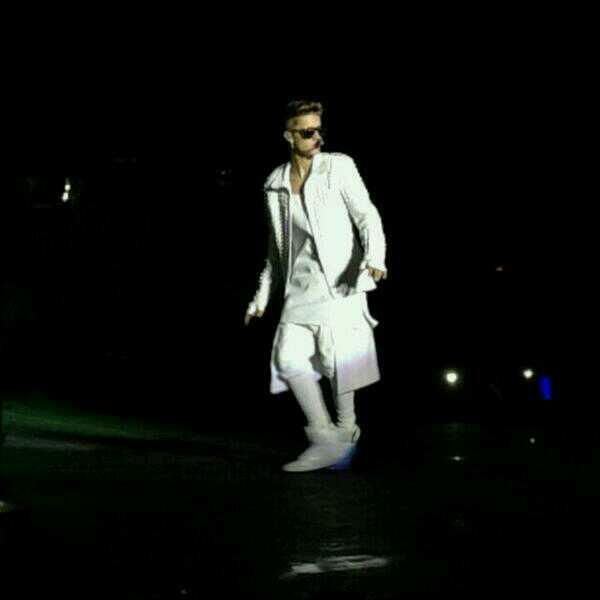 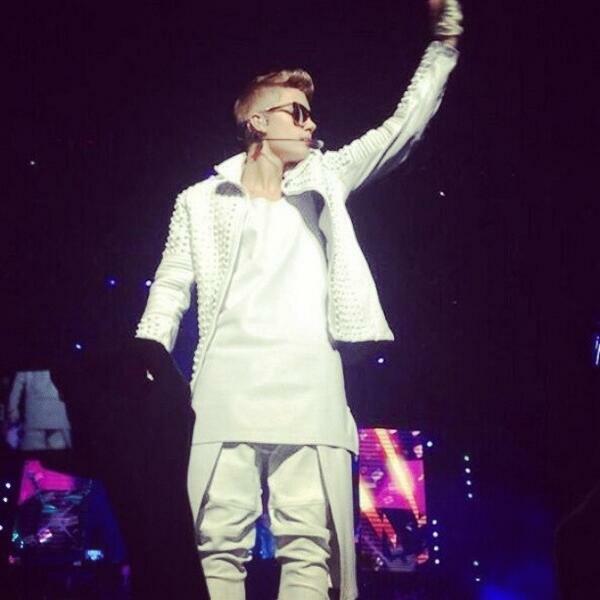 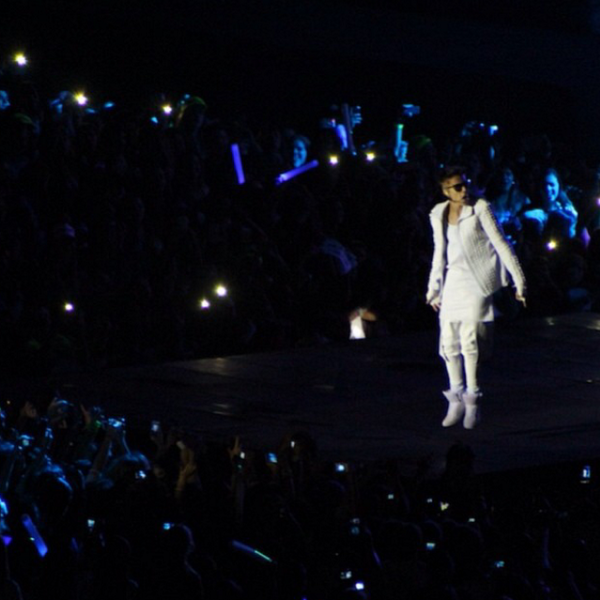 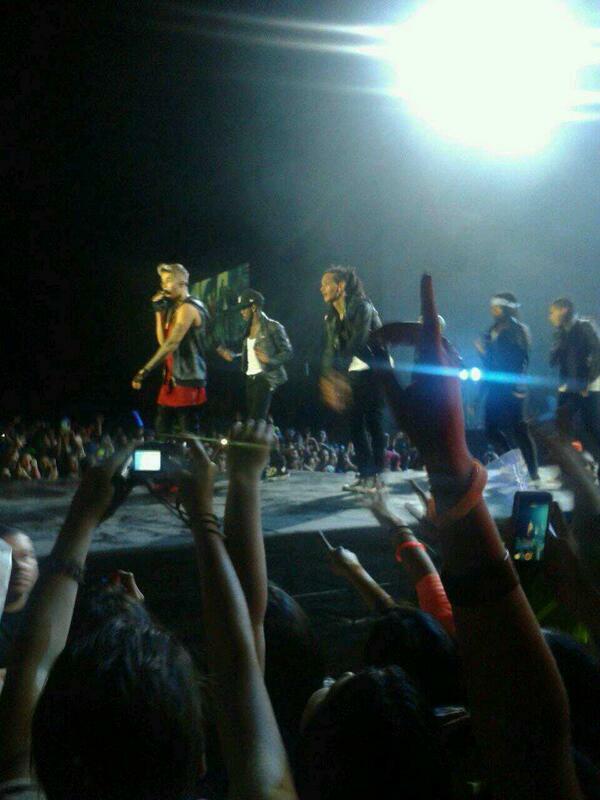 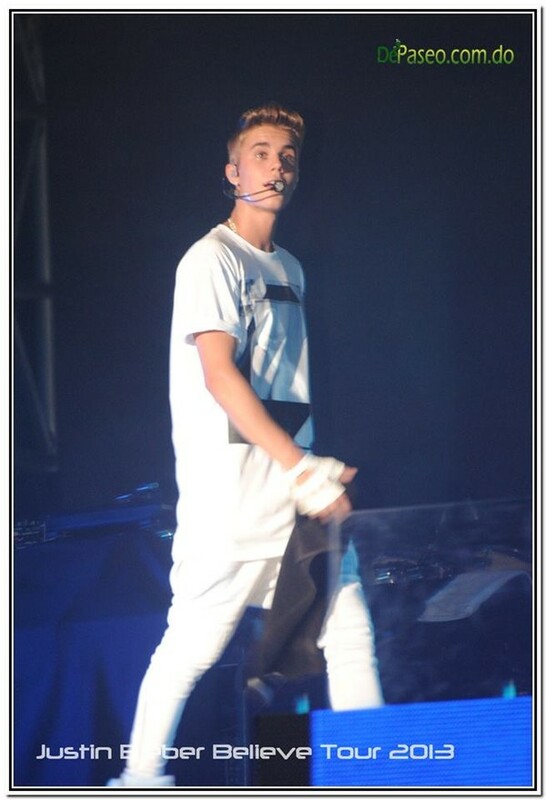 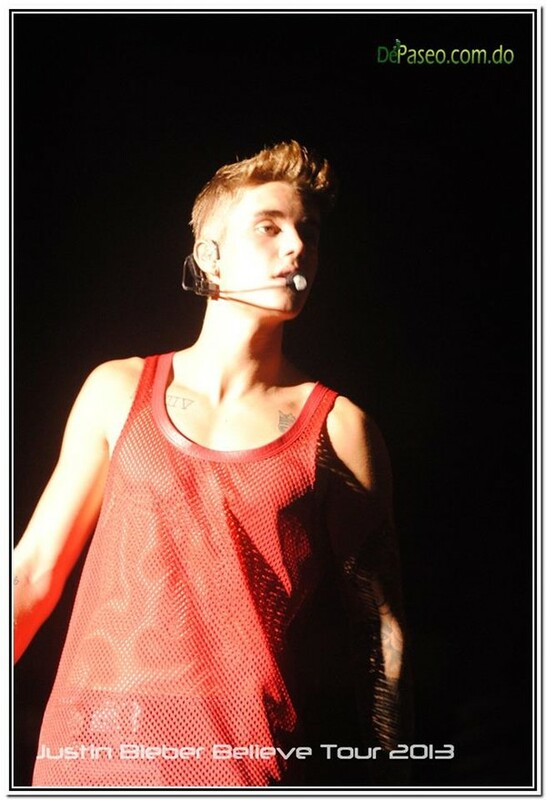 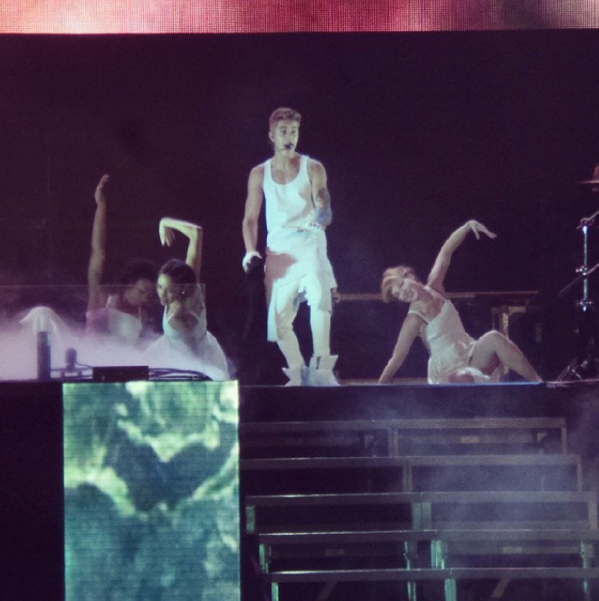 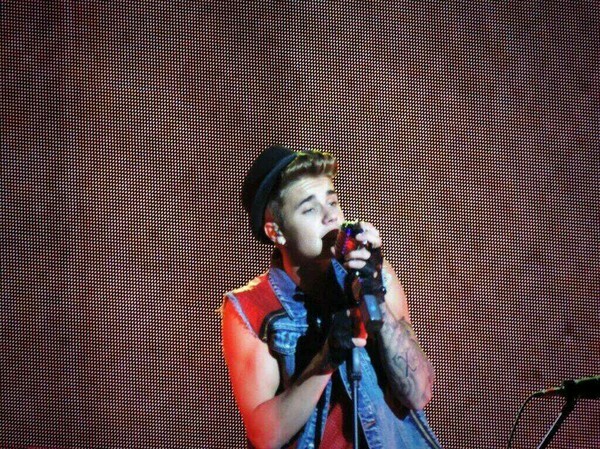 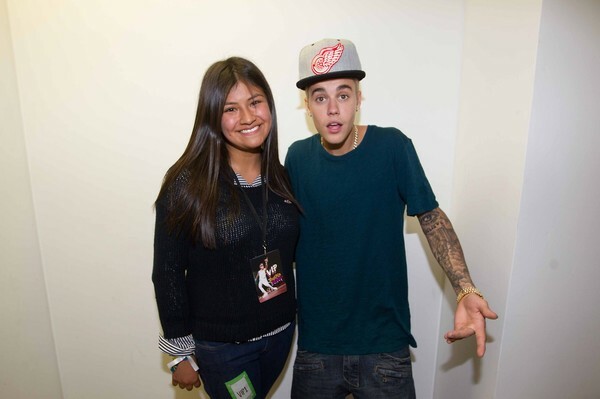 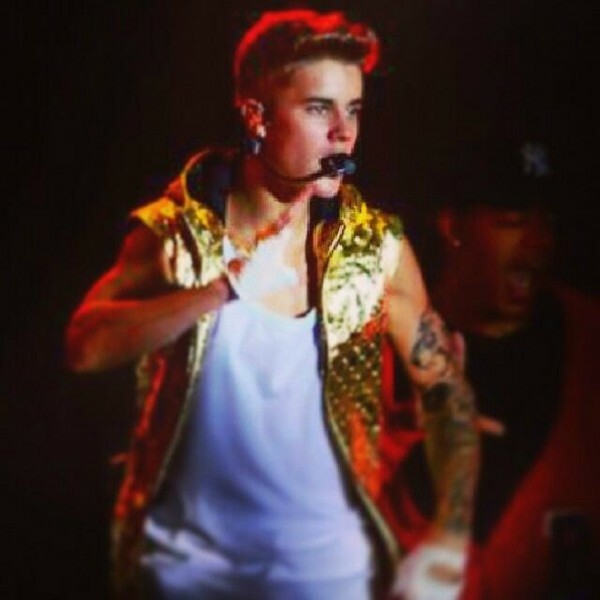 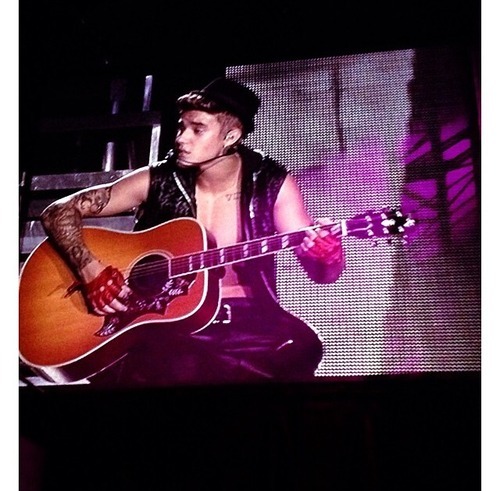 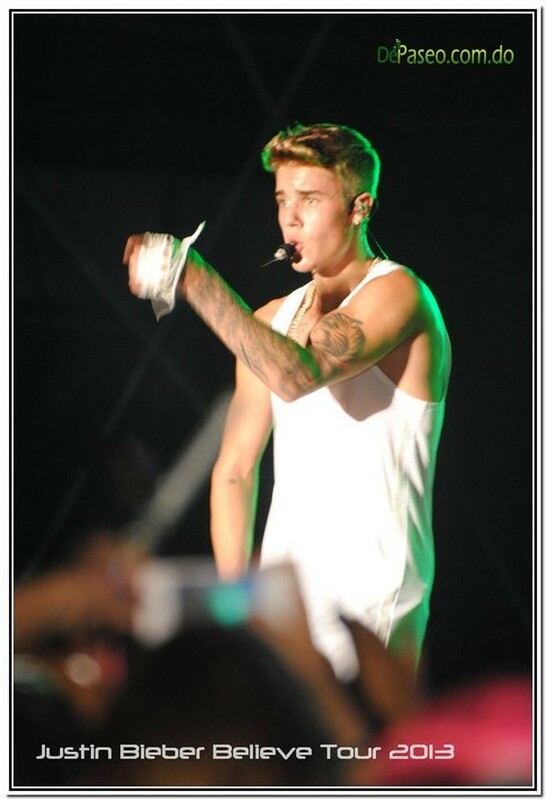 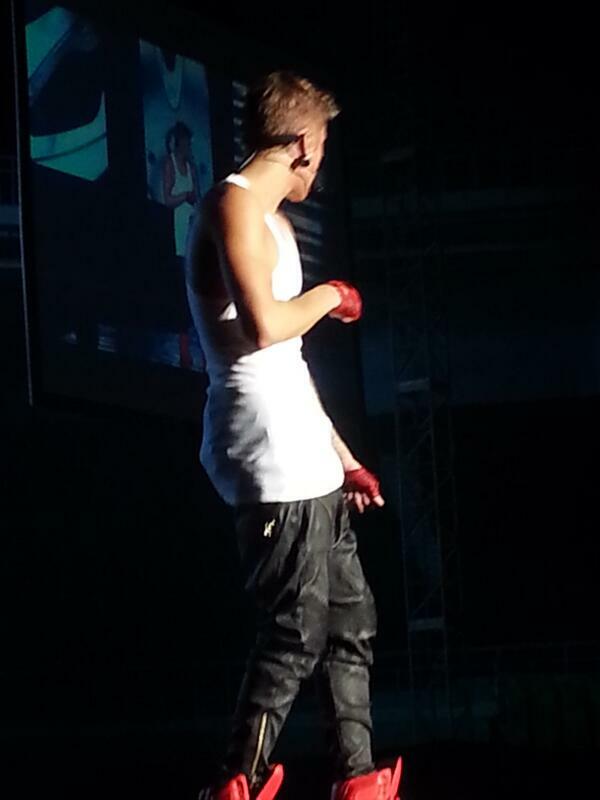 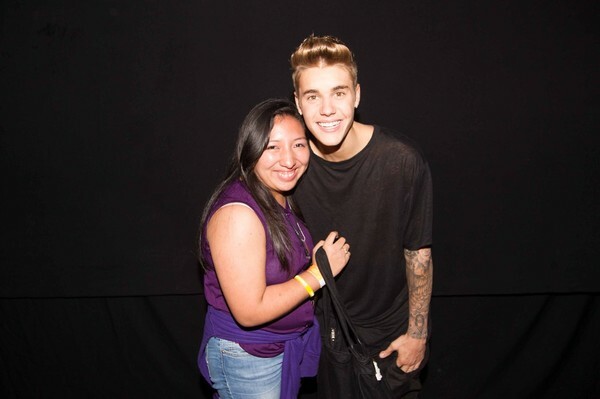 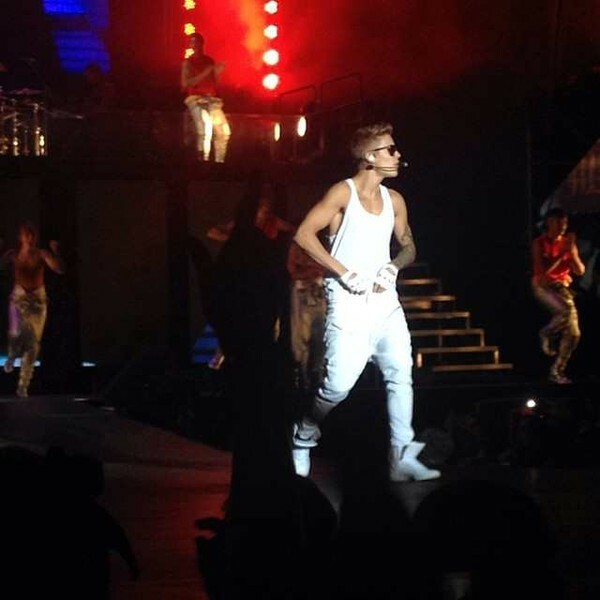 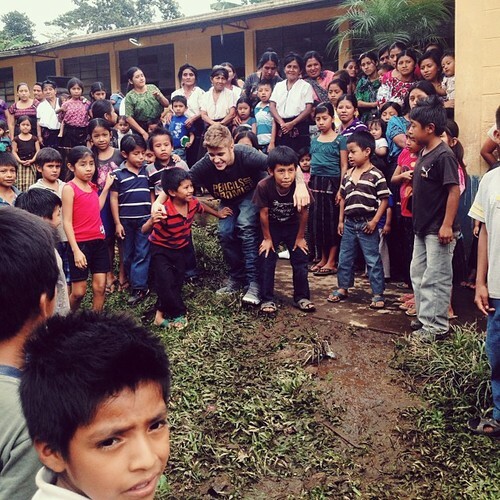 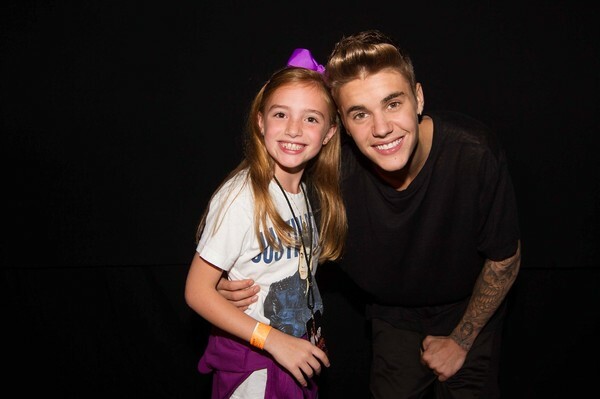 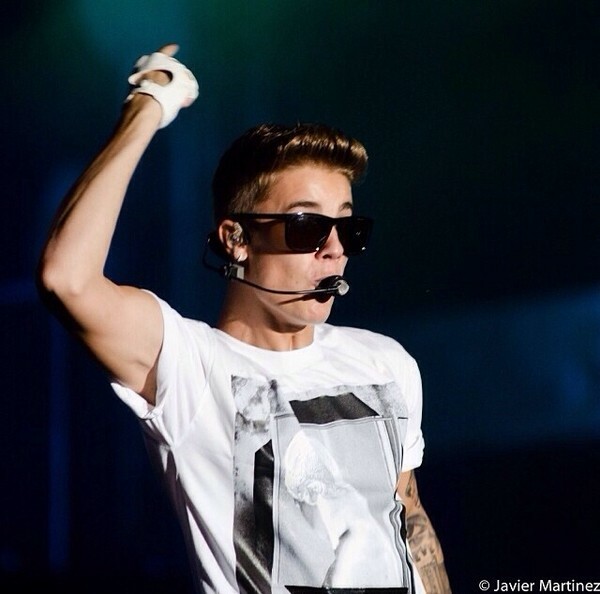 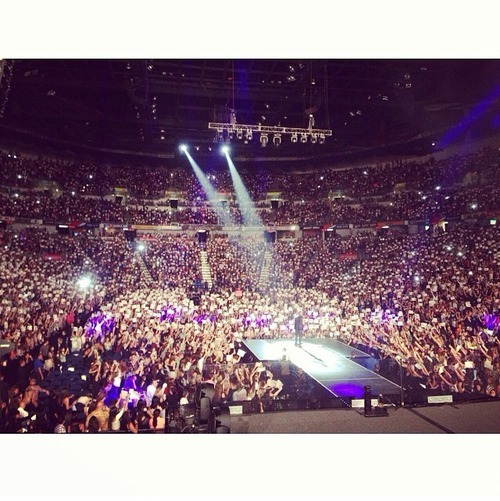 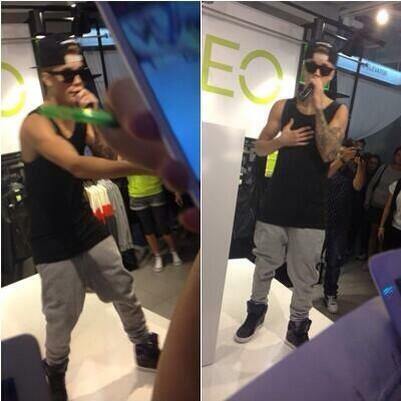 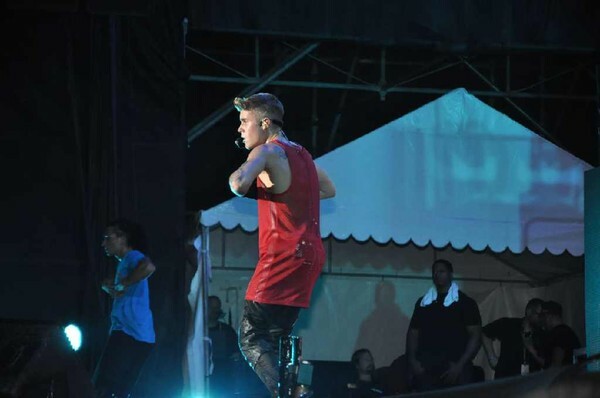 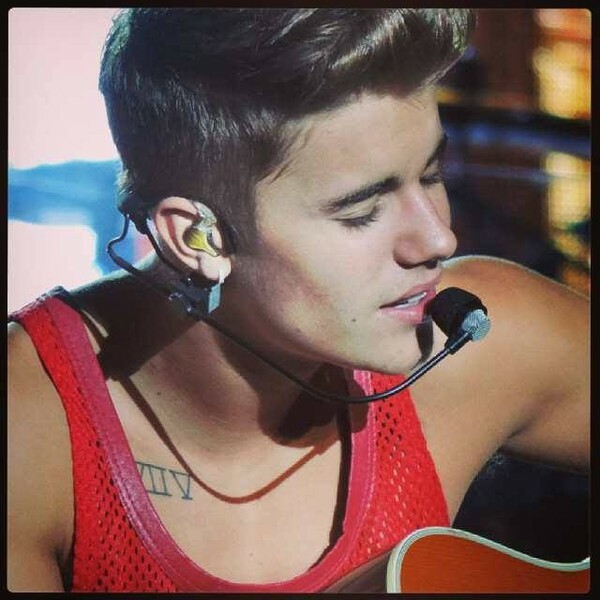 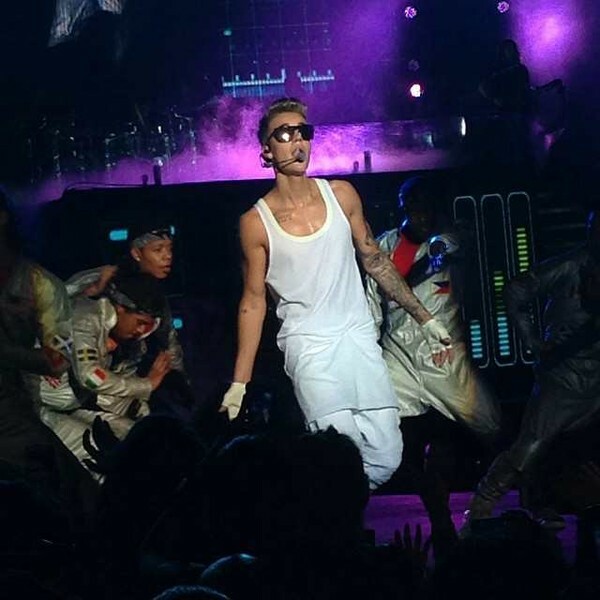 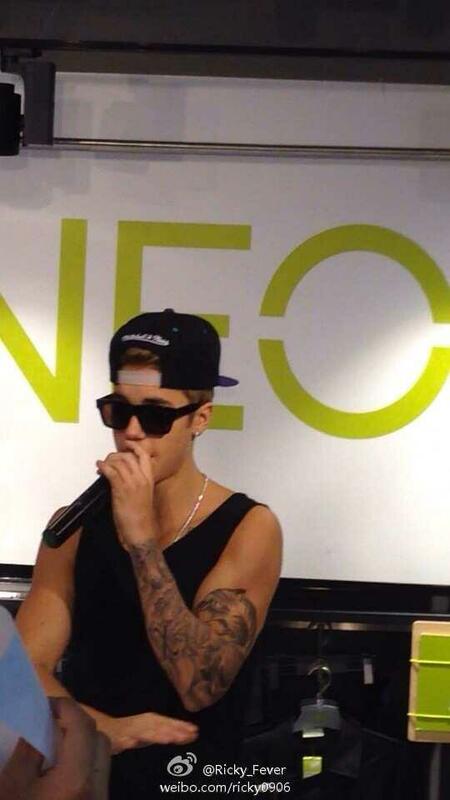 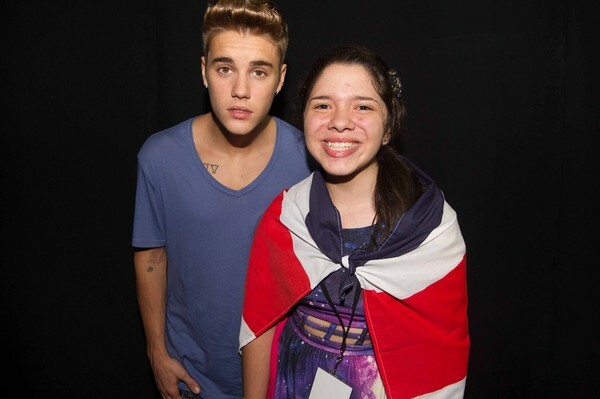 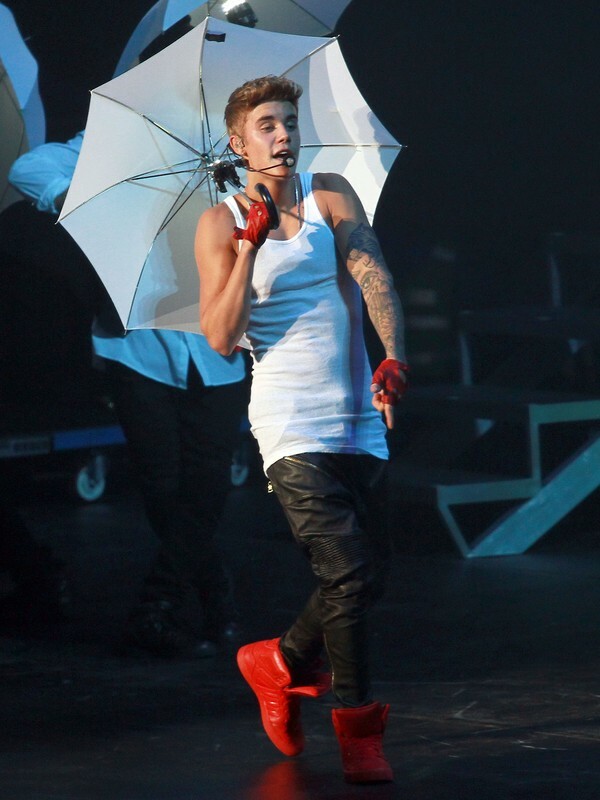 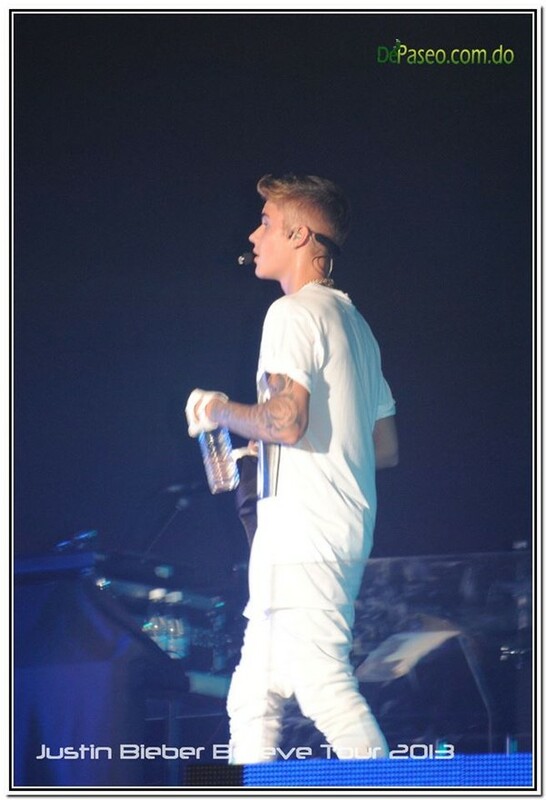 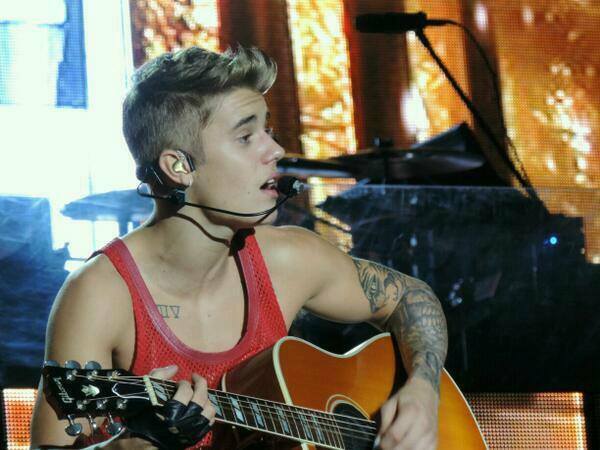 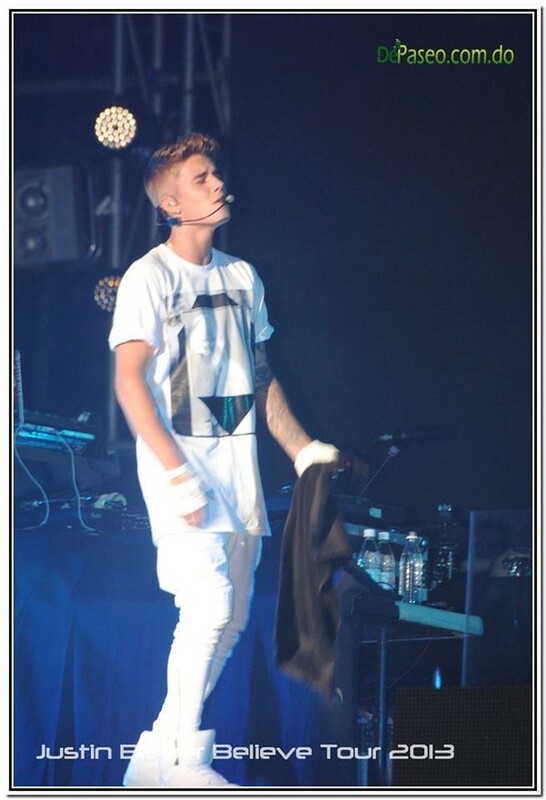 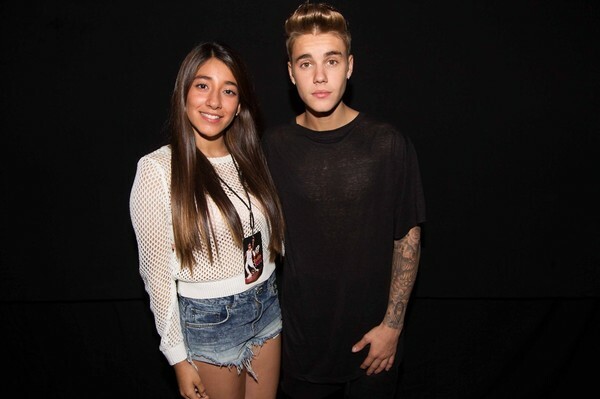 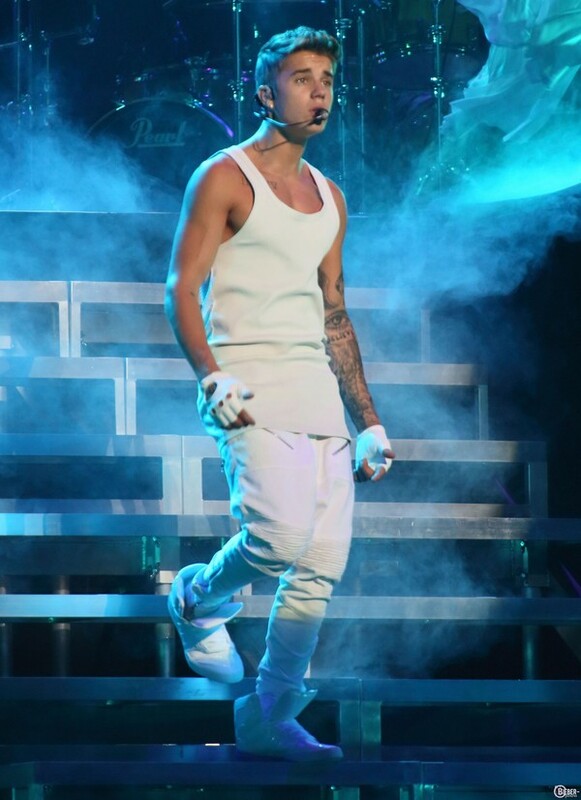 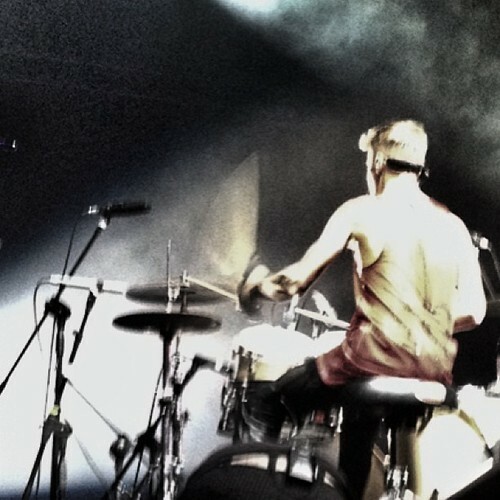 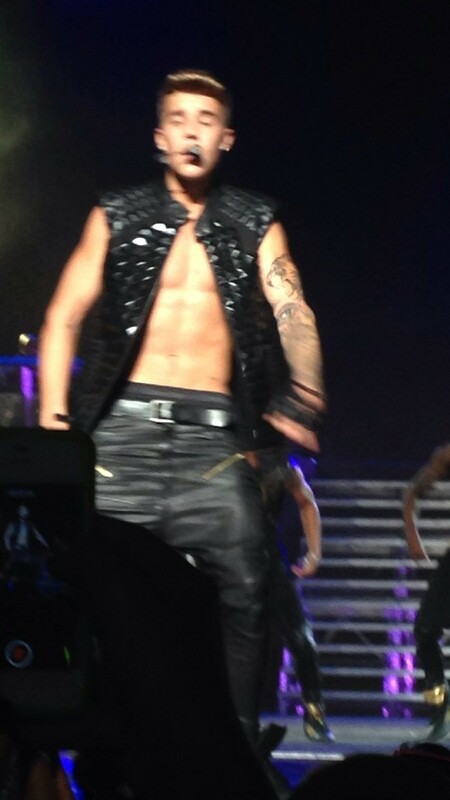 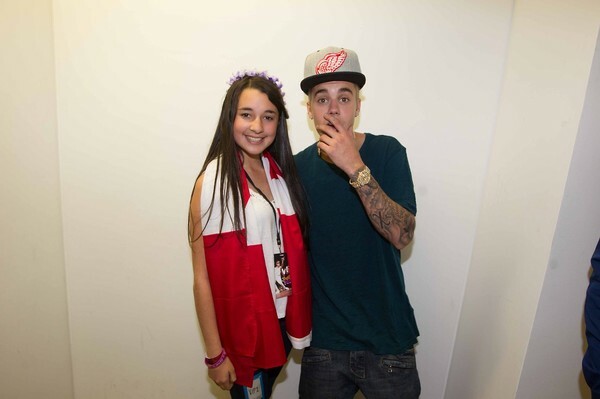 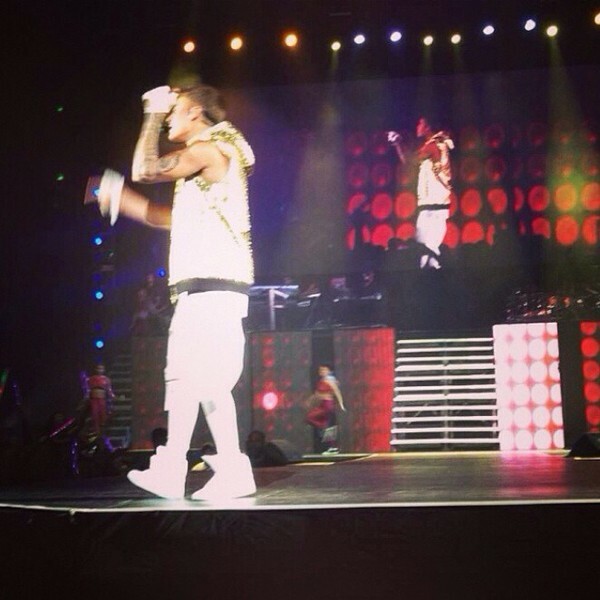 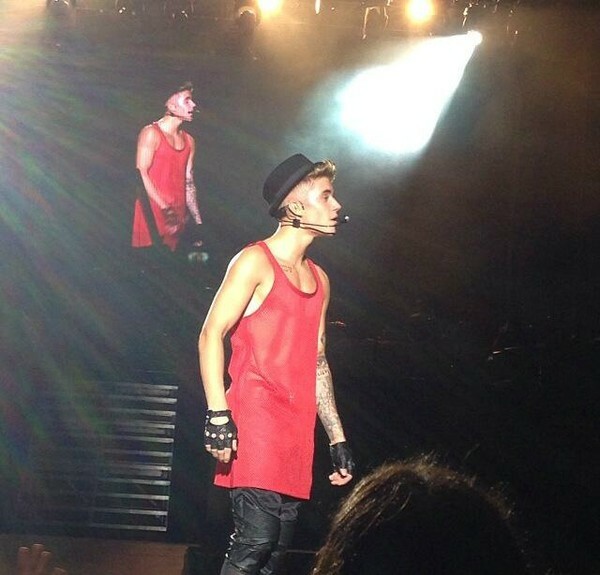 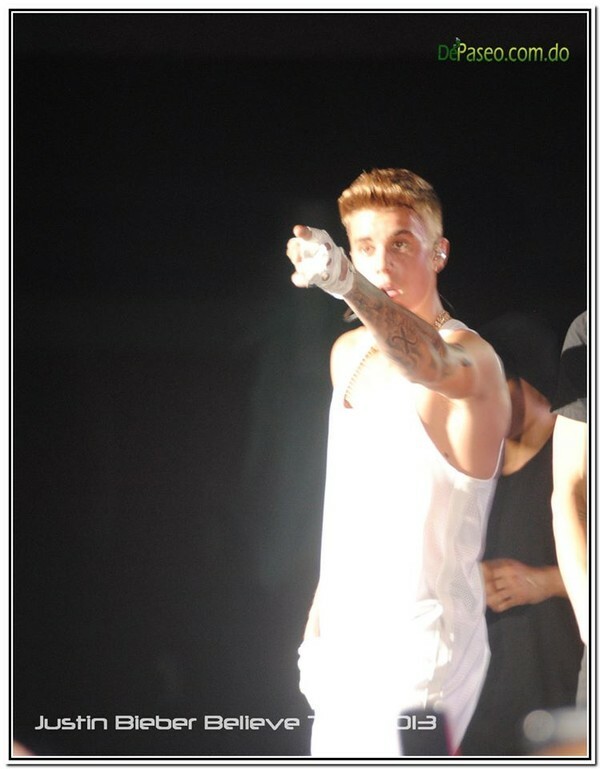 Dankanter: Awesome show in Bogota Colombia! 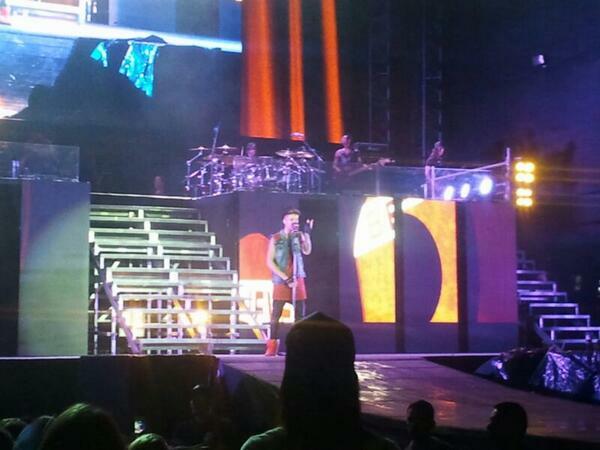 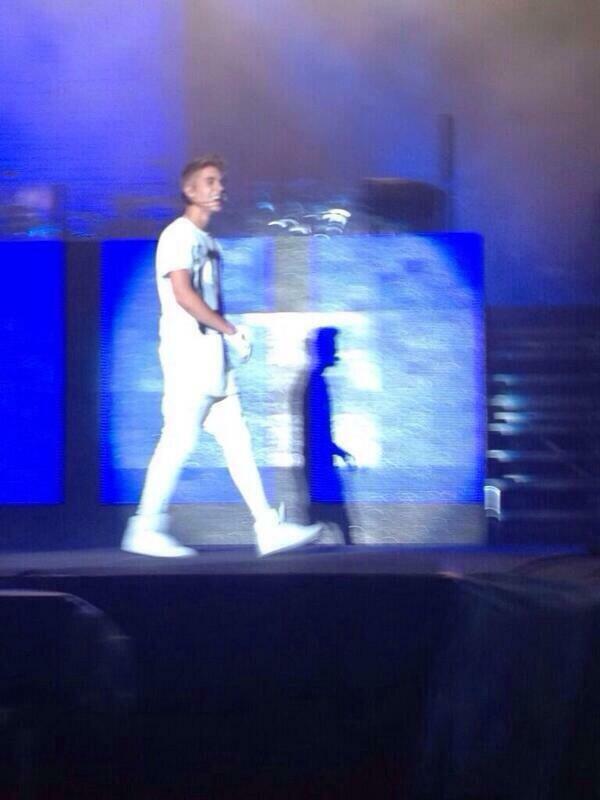 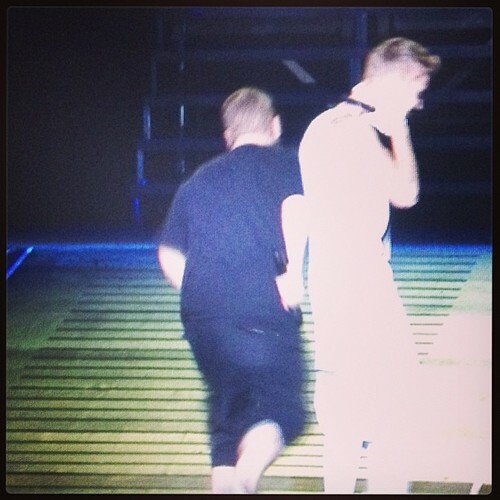 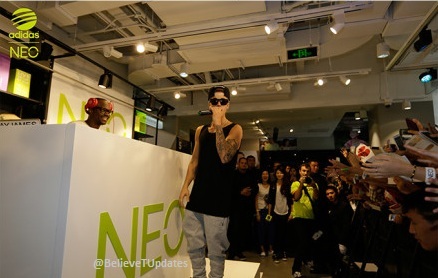 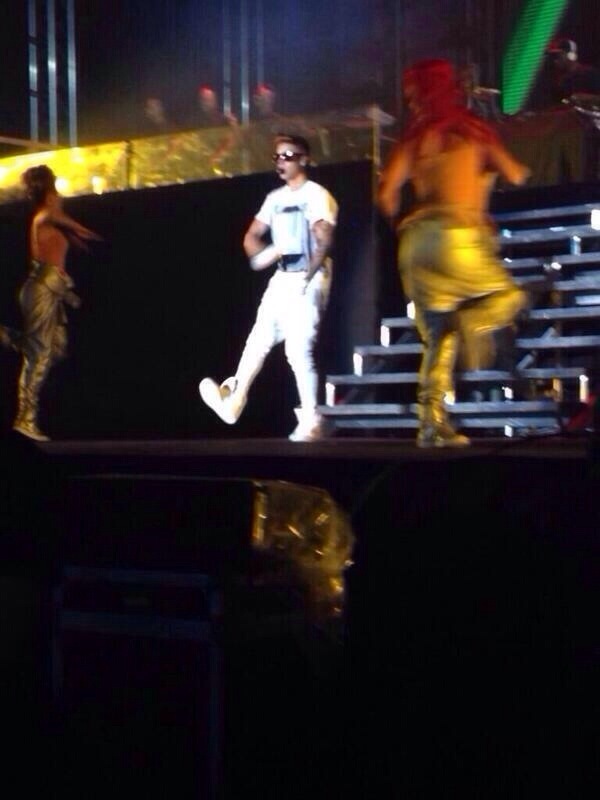 Look at @scrappy on stage! 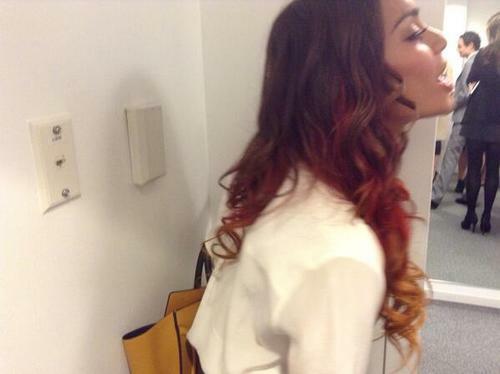 Red lips, Dark hair and Skin so light, I be feeling like miss Snow White. 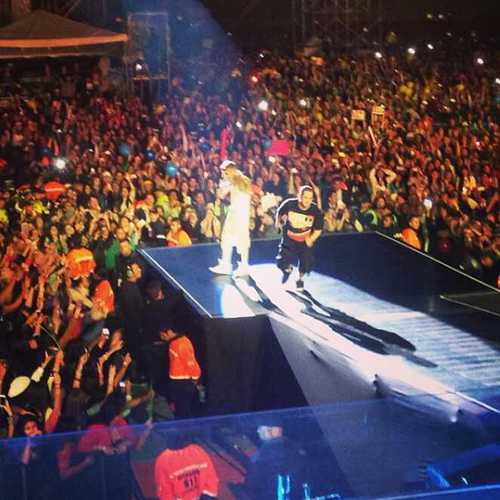 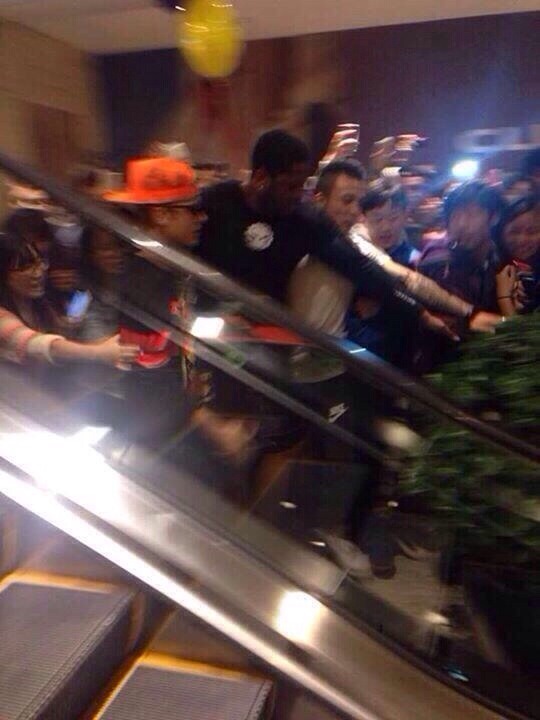 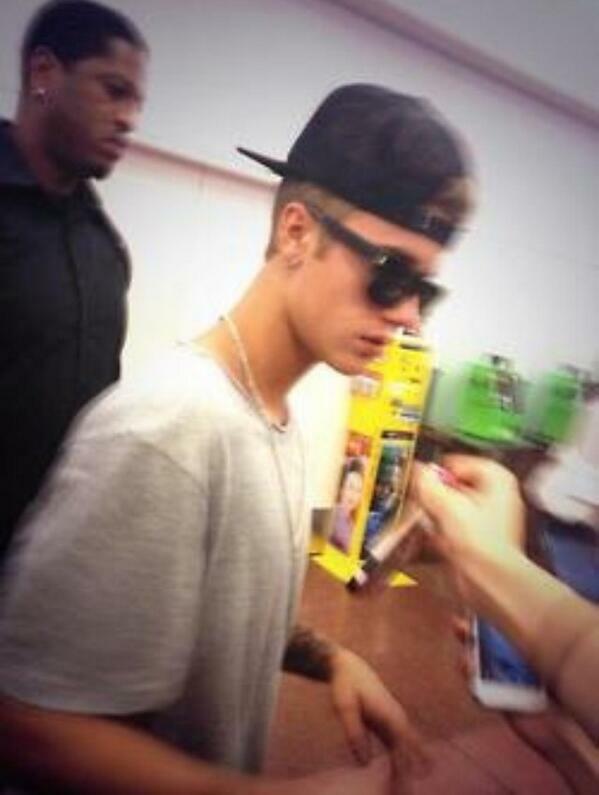 @bigirishsully: BIEBER SECURITY IN THE HOUSE! ! 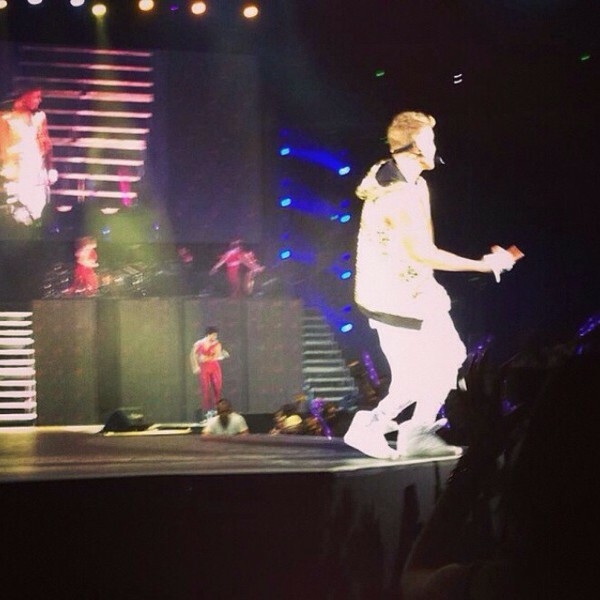 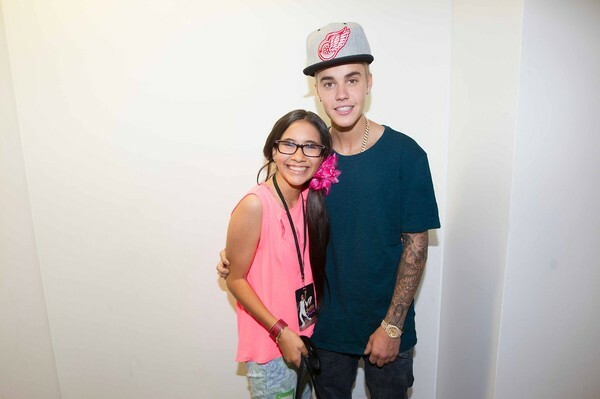 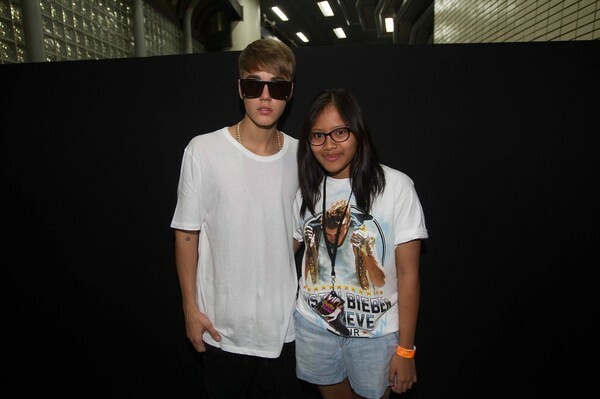 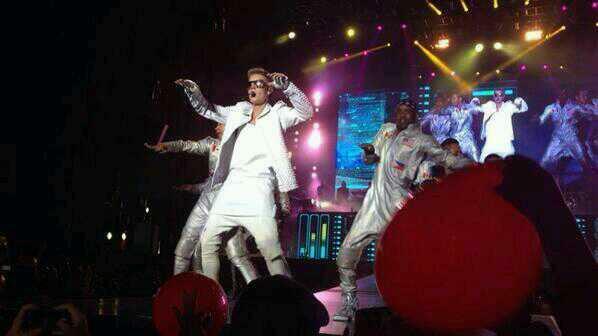 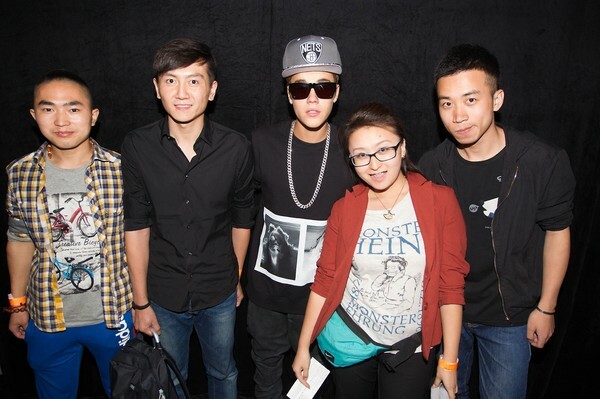 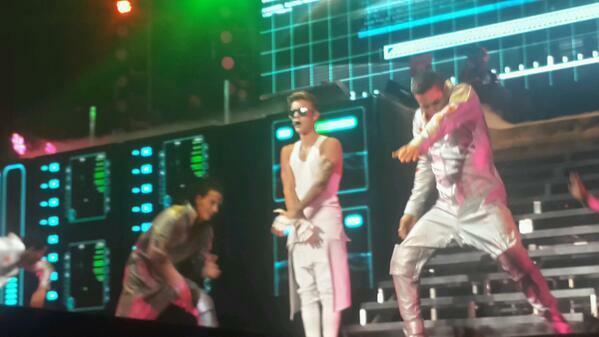 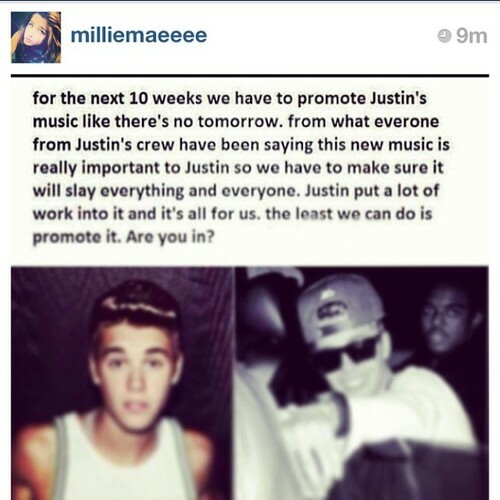 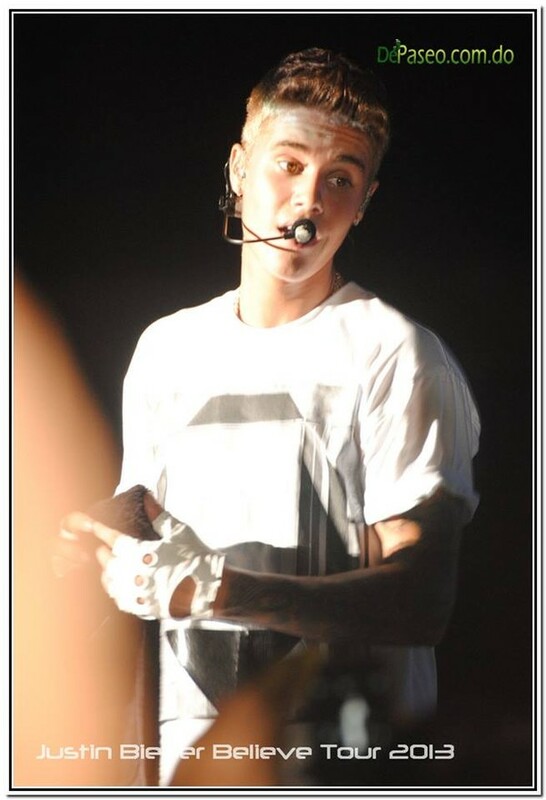 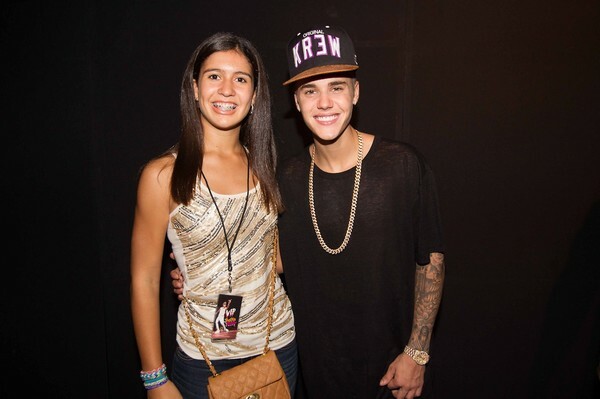 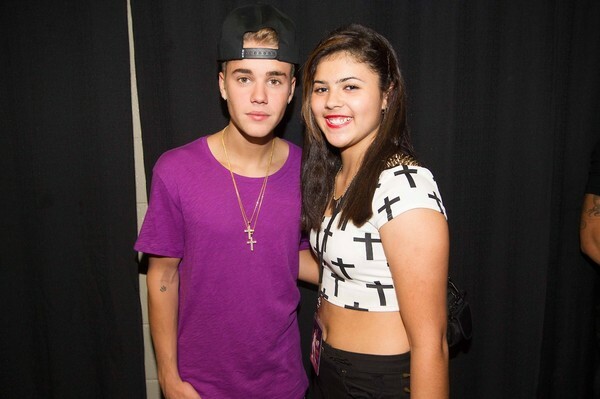 #BELIEVETOUR #JBSECURITY. 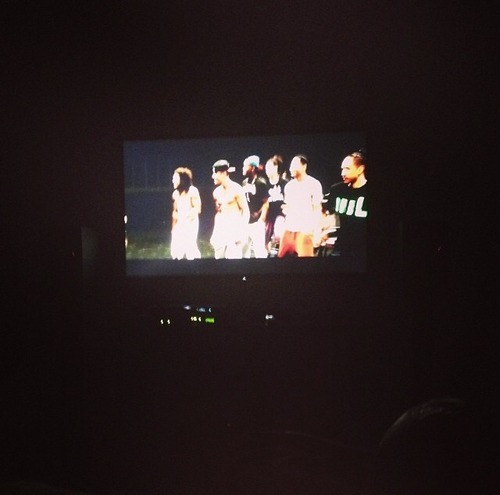 Det kommer bli en Wildcats-återförening i december , men det är inte för en ny film. 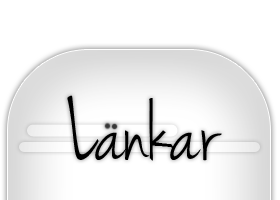 Skådespelarna kommer träffas i samband med en privatåterförening i LA för att stötta och hjälpa Monique för att samla in pengar till hennes ideella webserien/stiftelse Gimme Mo’ Foundation. 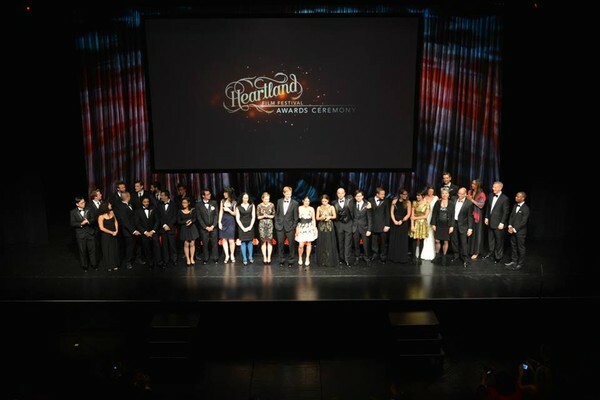 Stiftelsen hjälper till att investera och skapa program för att förbättra livet för ungdomar globalt. 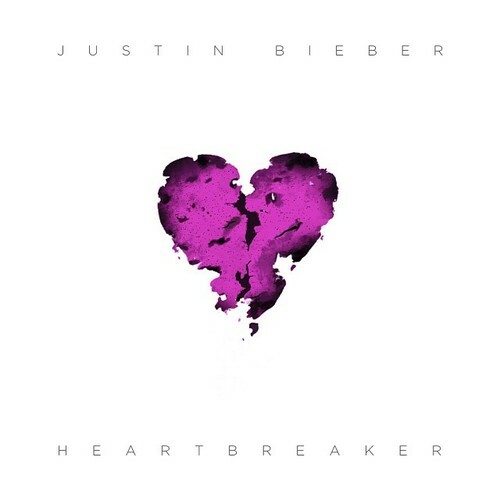 Fans i USA har dessutom chansen att bli inbjudna till återföreningen om de donerar en liten summa till Gimme Mo’. 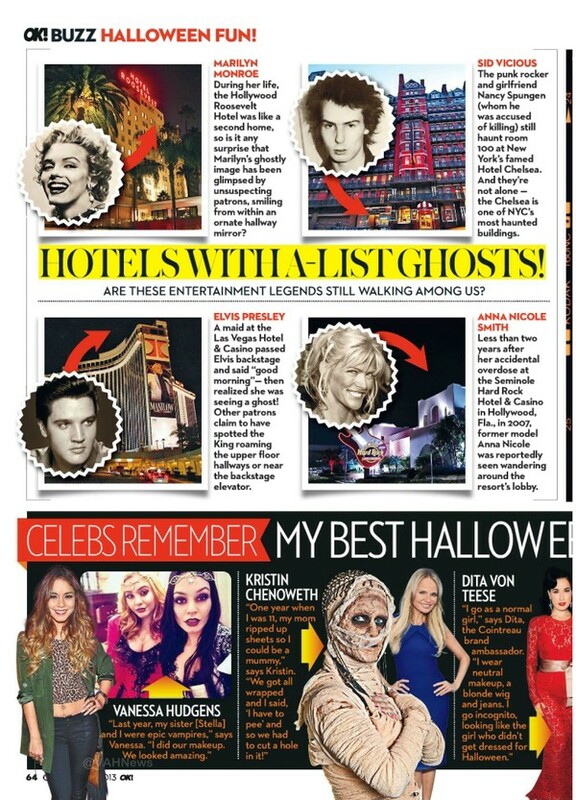 USA Magazine skriver att förutom Monique kommer även Vanessa, Ashley, Corbin, Lucas, KayCee, Olesya och regissören Kenny Ortega att komma. 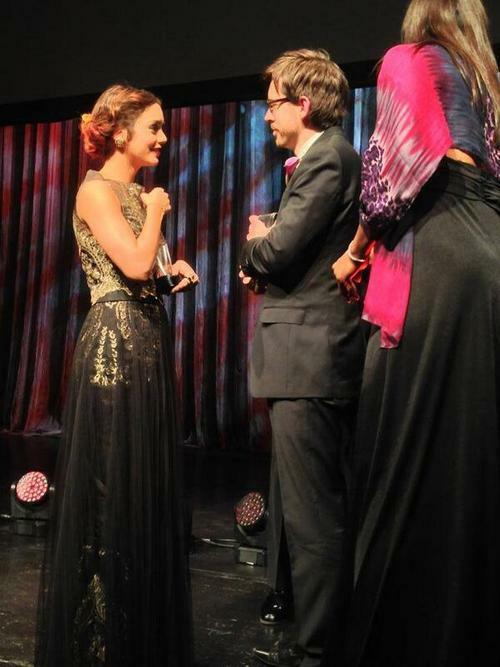 De skriver också tyvärr att Zac inte kommer att komma, men han kommer att ge vinnaren en överrasknings video. 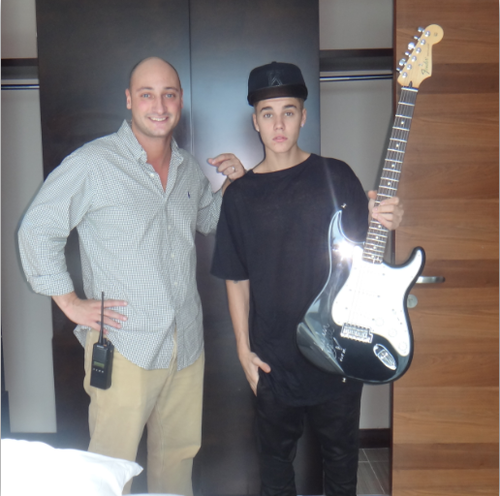 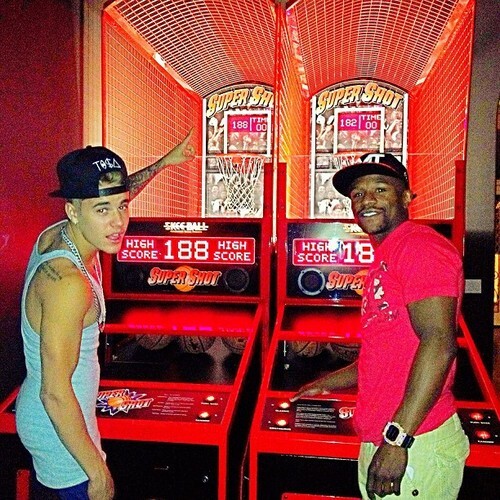 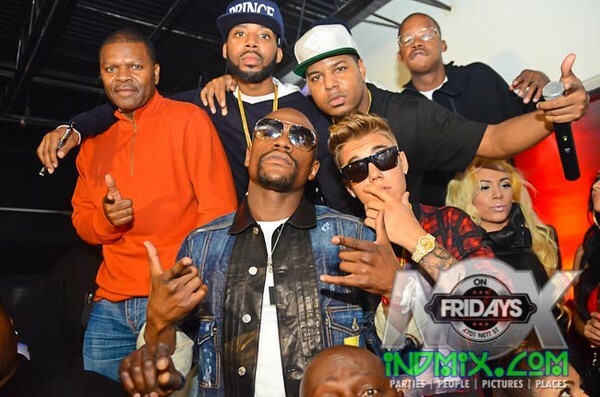 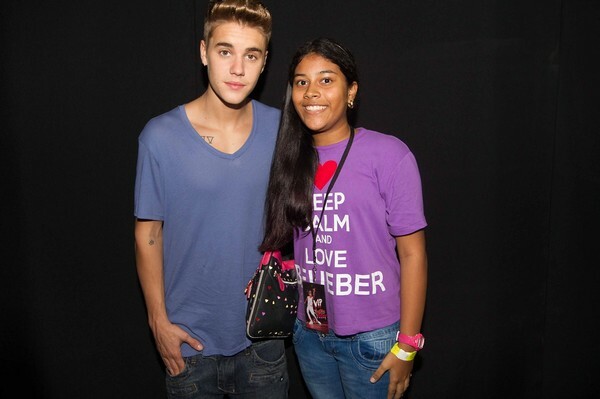 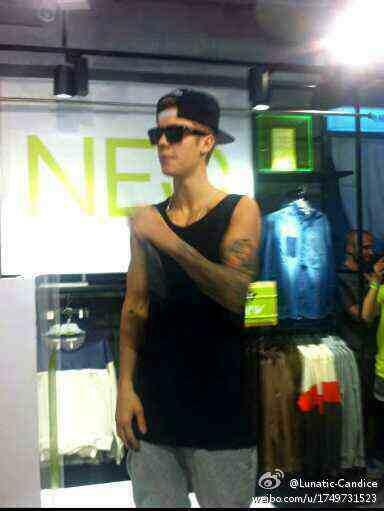 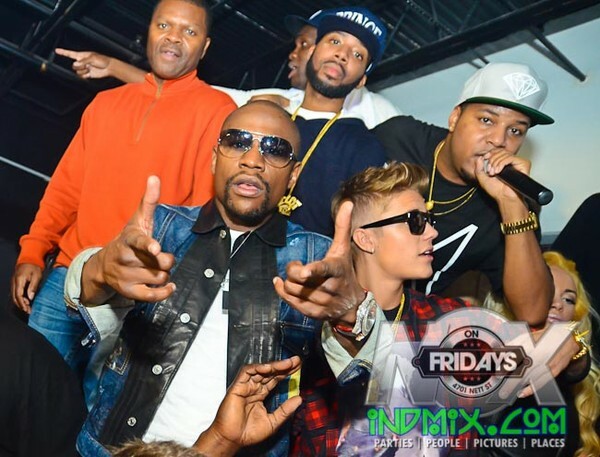 @purplehayes73 funny and random goodtimes with #thebieb in #nitrocity #panama. 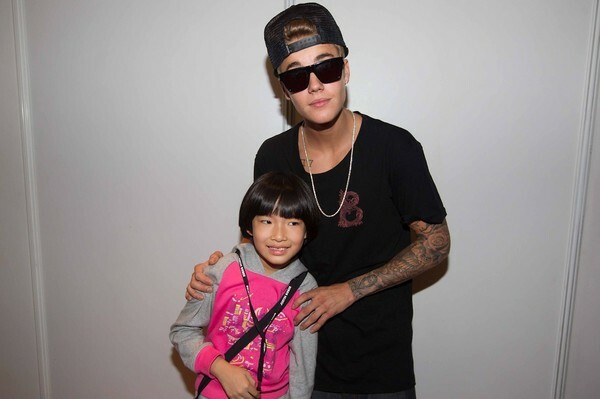 pretty cool kid. 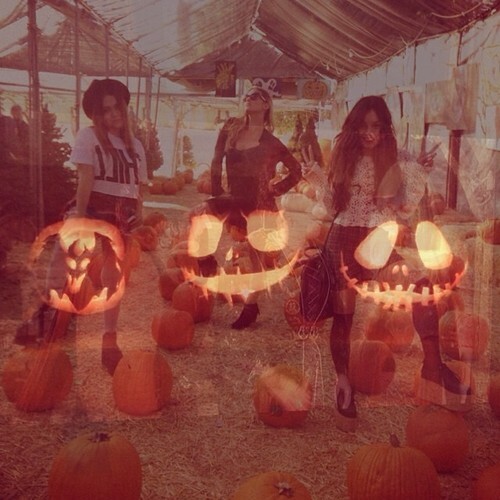 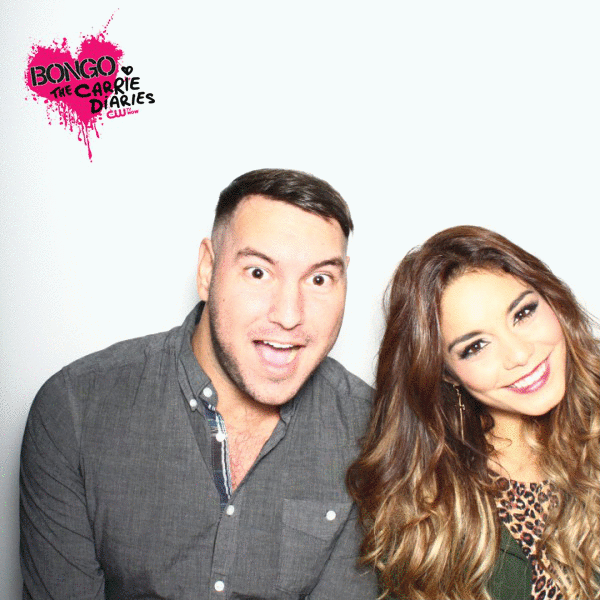 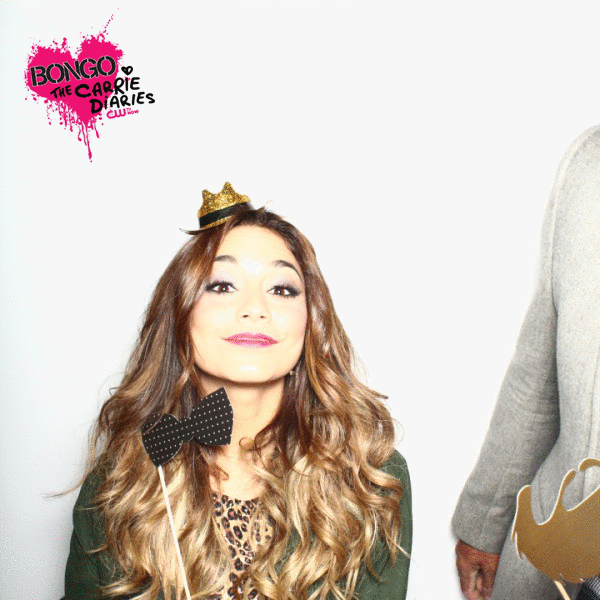 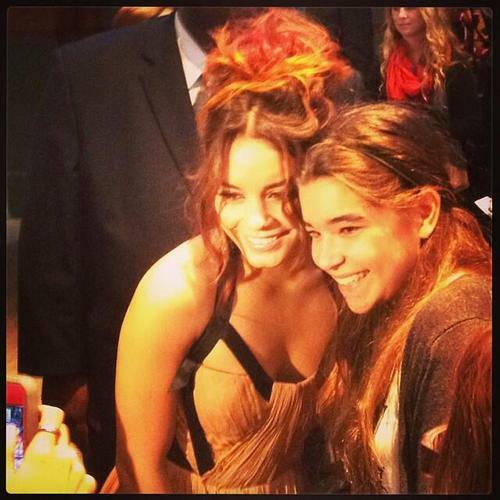 Thank you @vanessahudgens @stellahudgens for coming today. 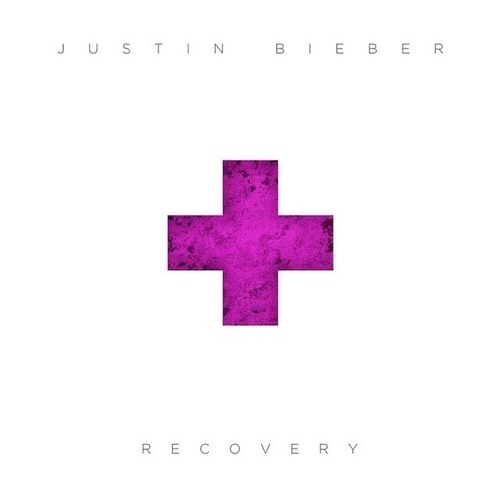 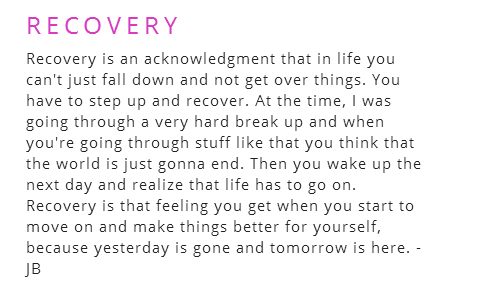 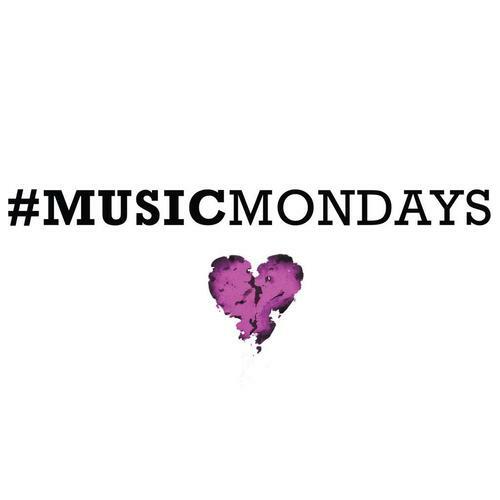 @alfredoflores: “Learning life through trial and error just tryna make it right” #MusicMondays #Recovery #SundaynightatMIDNIGHT @justinbieber! 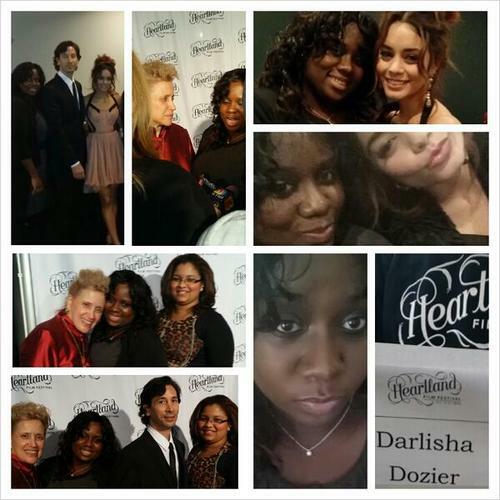 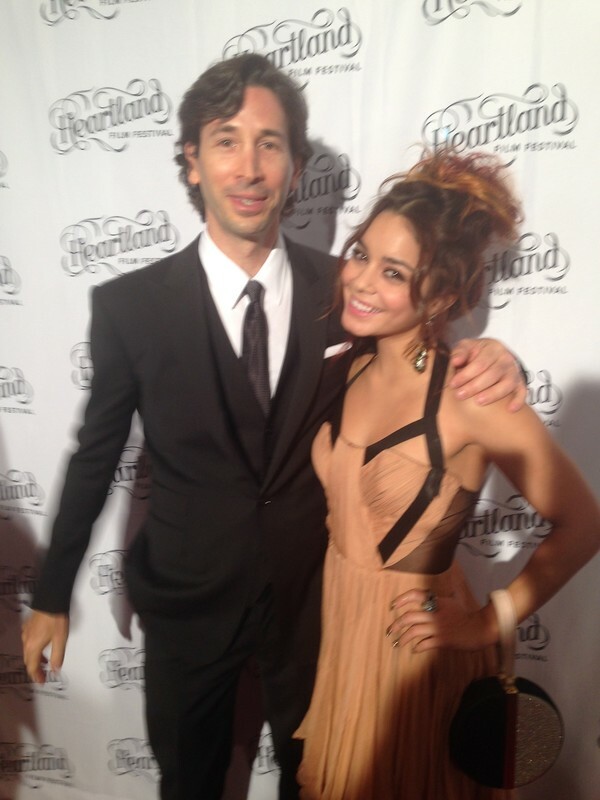 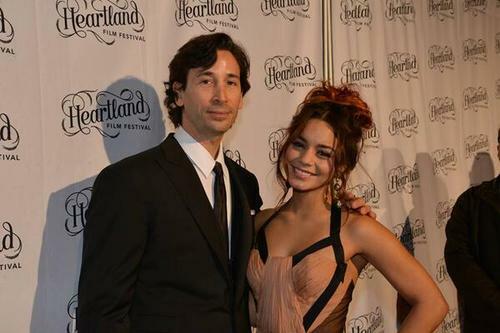 Vanessa Och Stella På "Nine Zero One Salon"
Had such an amazing time at Heartland Film Festival this weekend for Gimme Shelter! 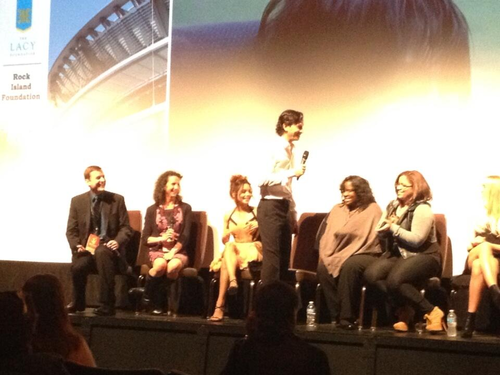 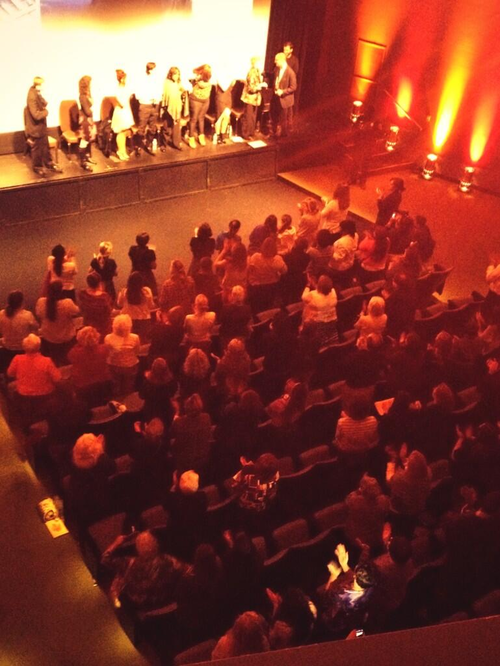 I’m soo proud of this film, it has such a powerful message. 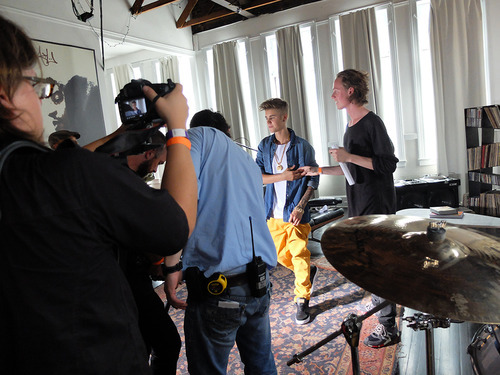 We filmed it back in 2011 so I’m really happy to finally be sharing it! 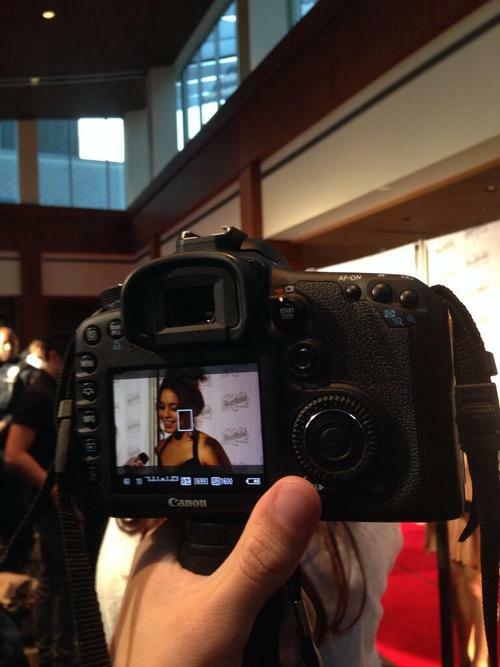 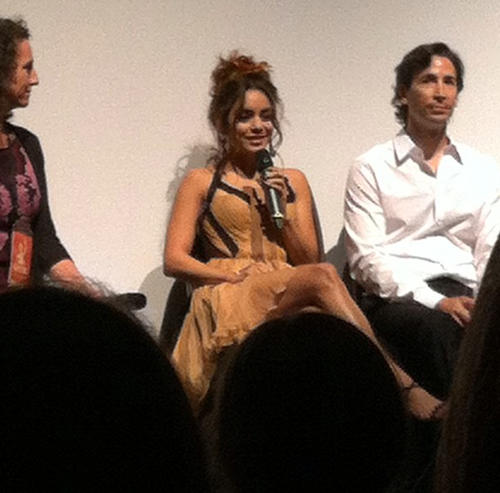 … and still managed to take a pic of Vanessa Hudgens with my phone. 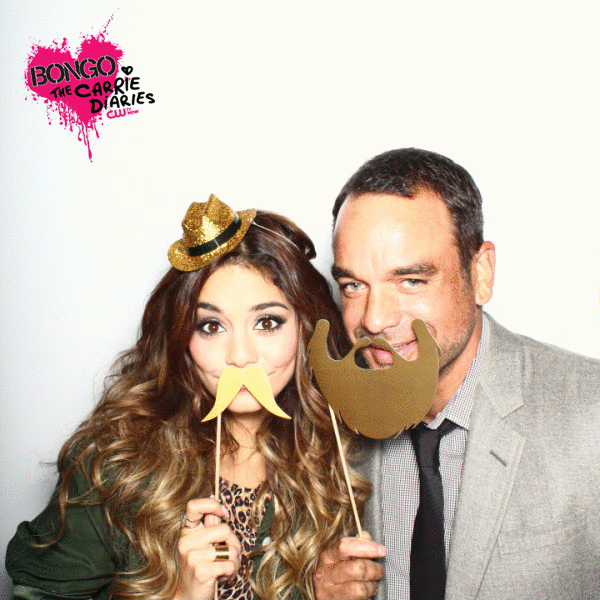 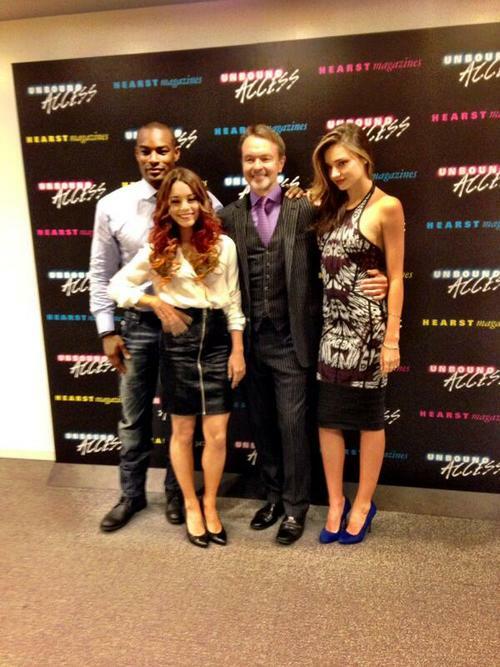 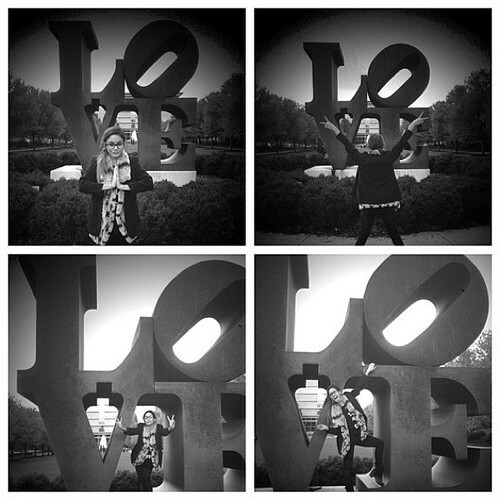 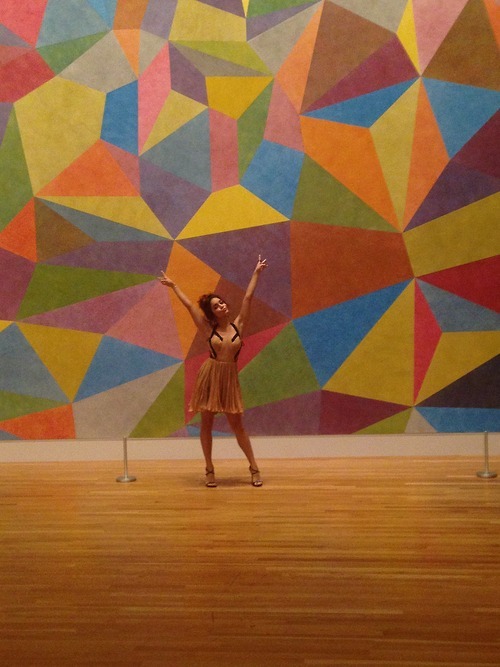 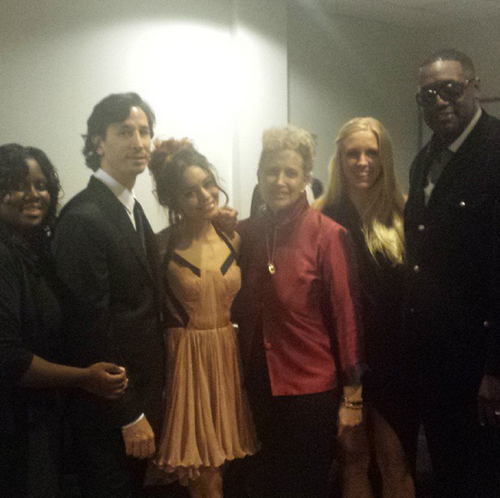 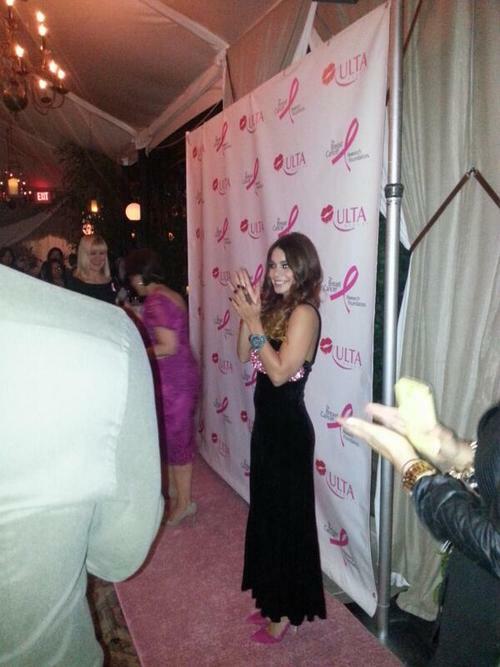 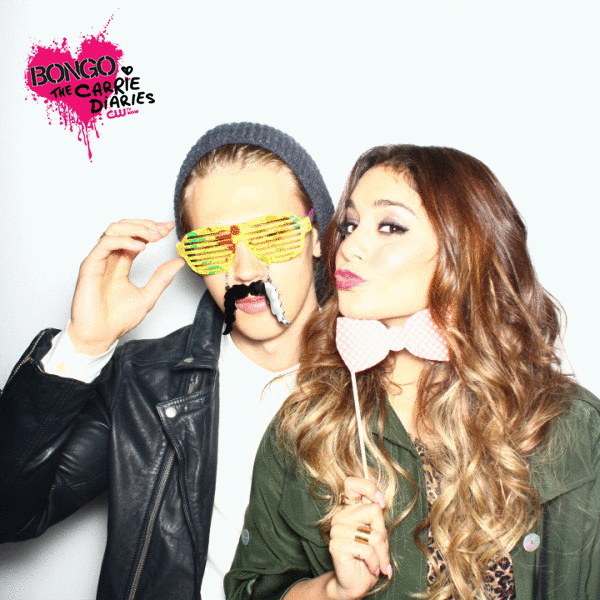 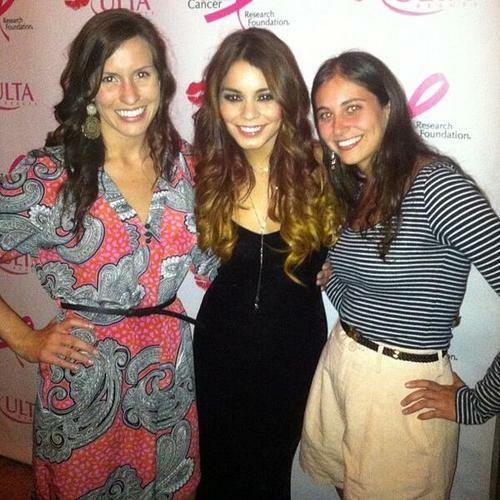 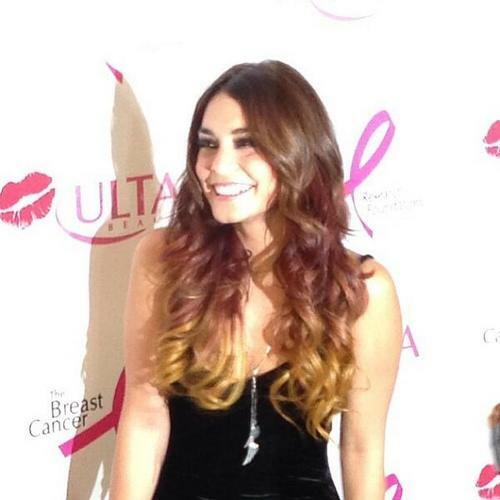 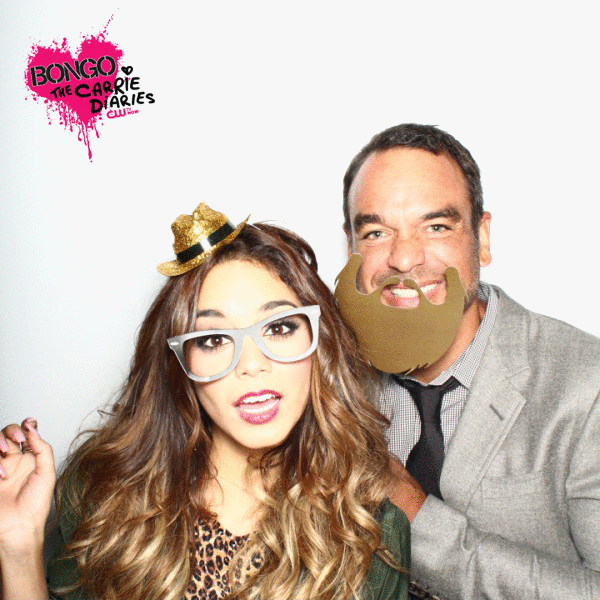 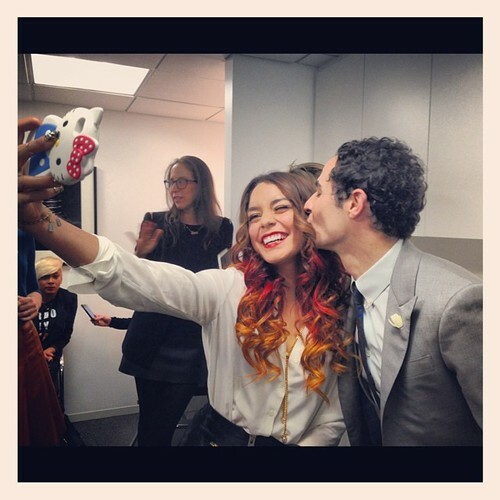 @ULTA_Beauty We are big fans of our fans, in particular @VanessaHudgens- for a great cause- get your #ULTAkiss! 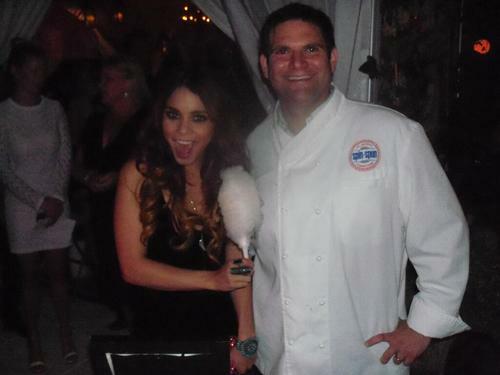 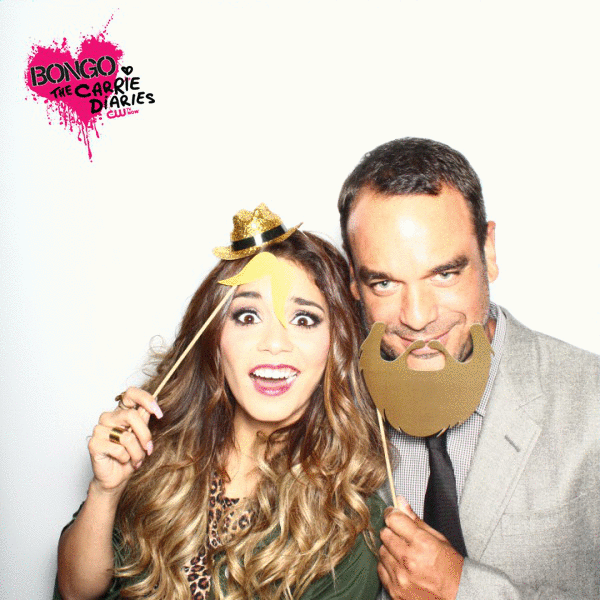 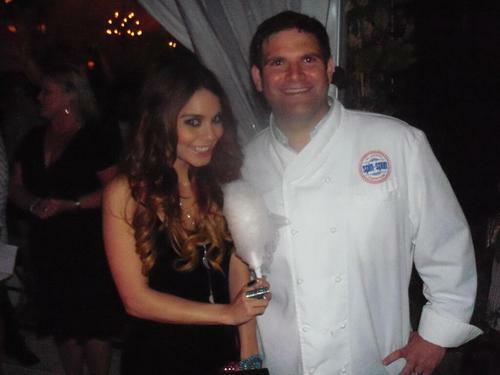 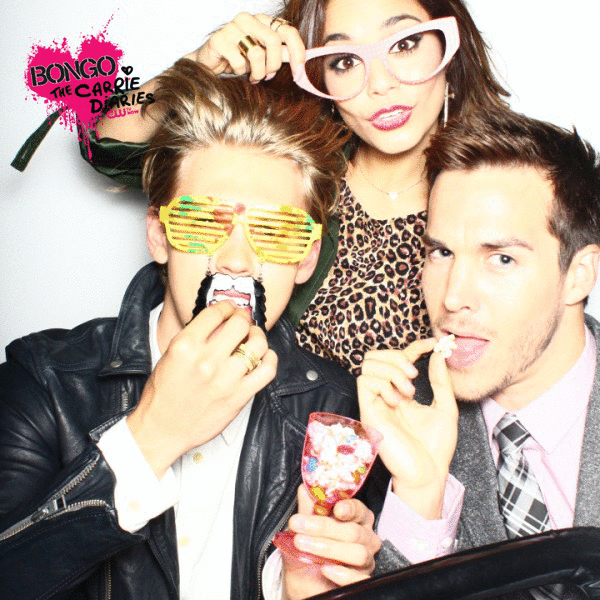 @ULTA_Beauty @VanessaHudgens Vanessa’s favorite flavors at the #ULTAkiss party?#Lemongrass #SaltedCaramel of course! 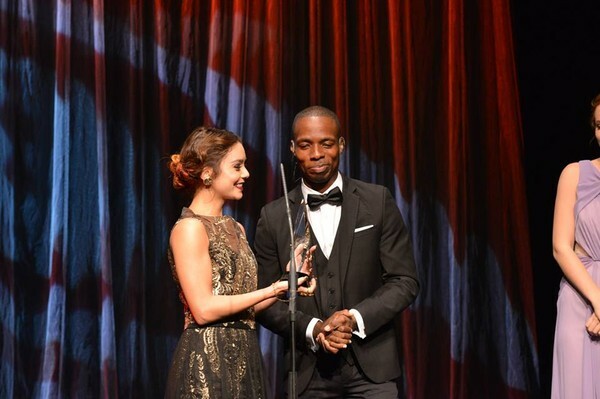 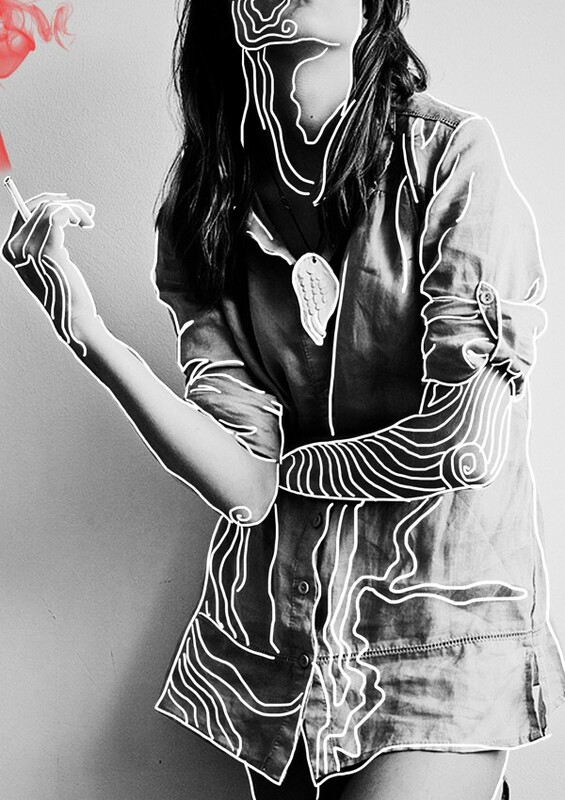 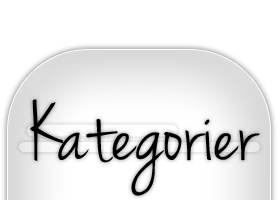 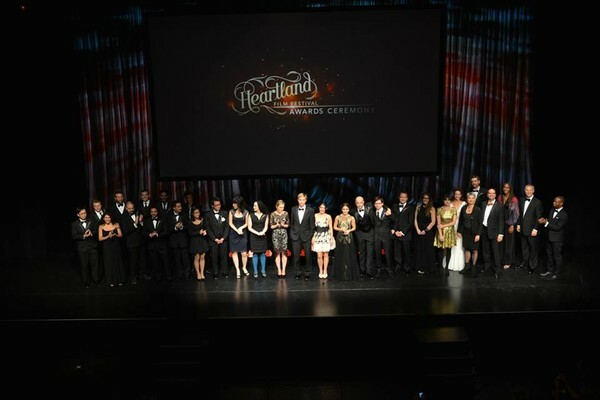 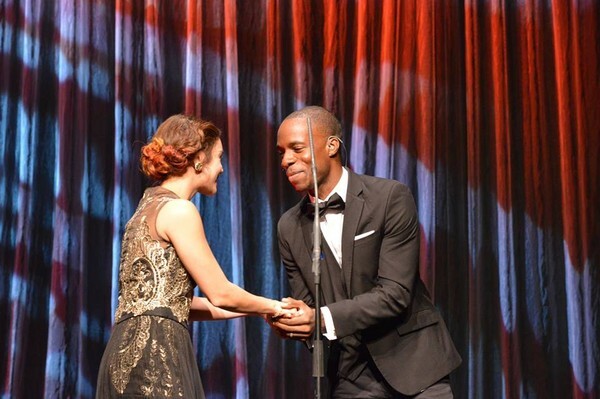 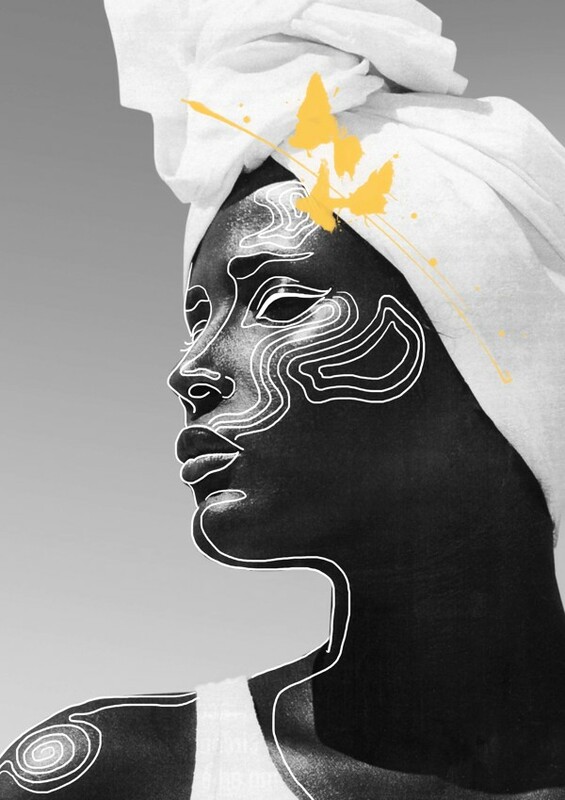 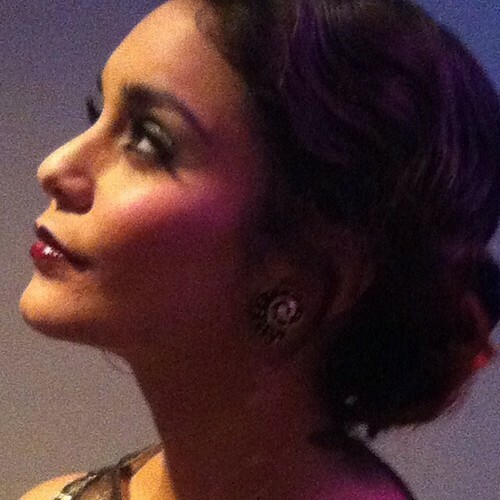 Vanessa vann priset "Pioneering Spirit Award". 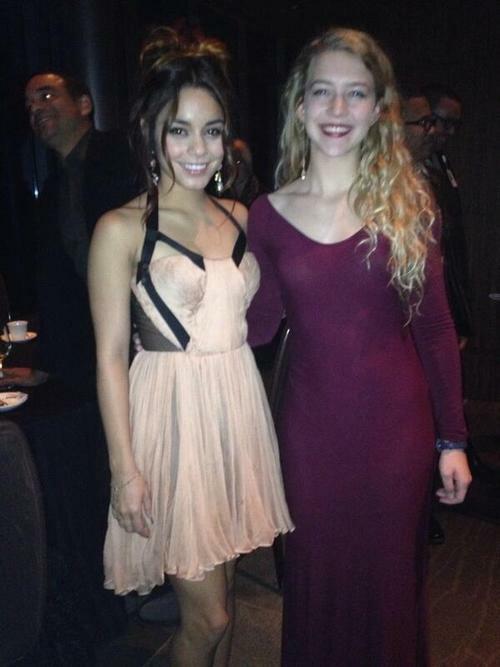 so my dad just met @VanessaHudgens and I’m crying, why not me? 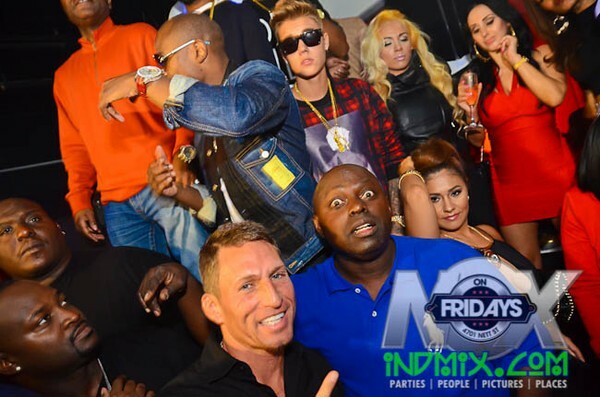 Påfyllning Av Bilder: Justin På Nattklubben "Nox"
No one’s face should be that big. 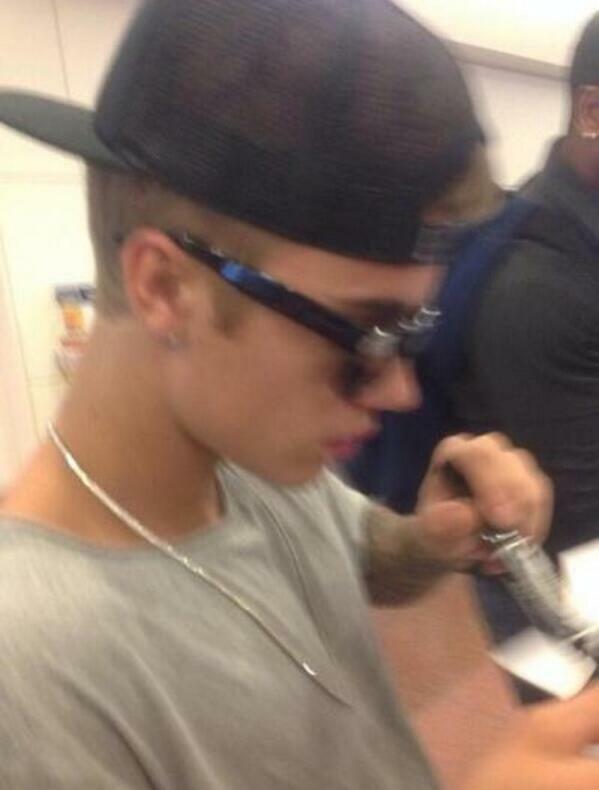 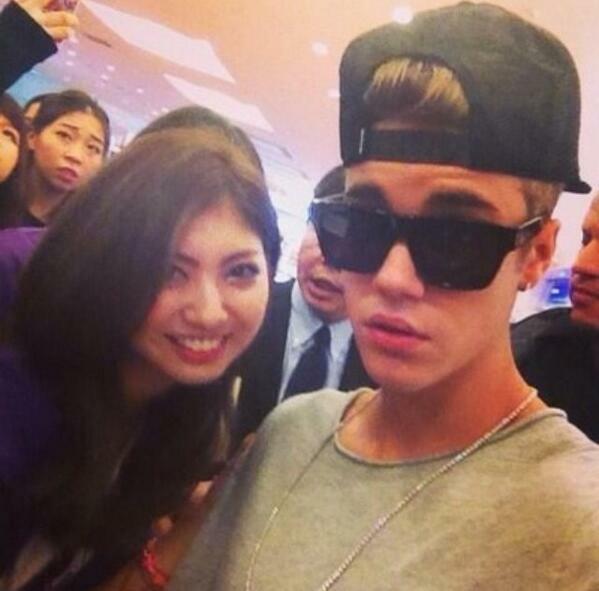 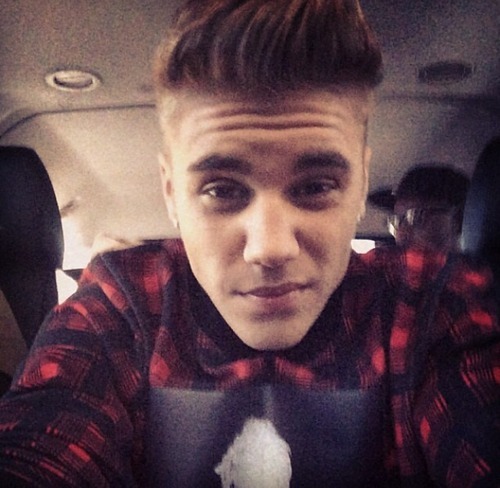 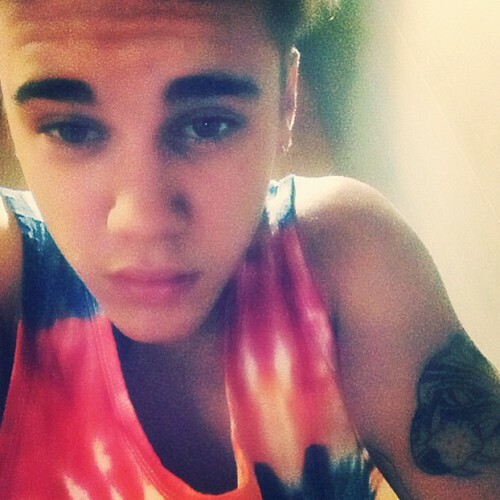 @justinbieber: Really, a pimple on my lip. 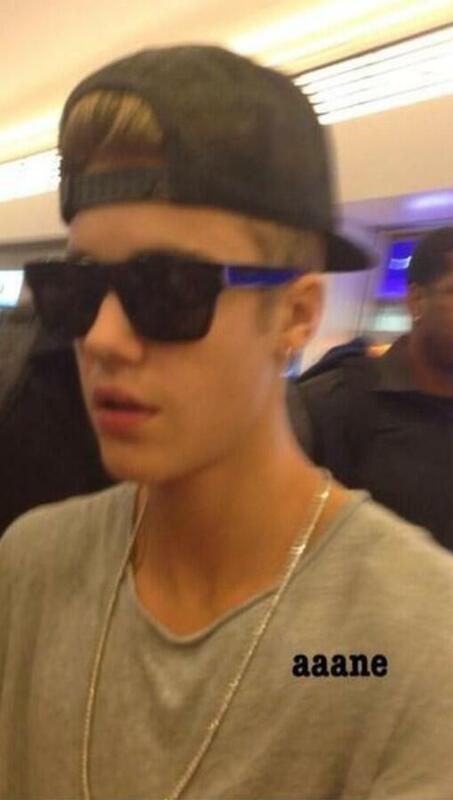 It’s over with for pimples.. Where’s my proactive at ? 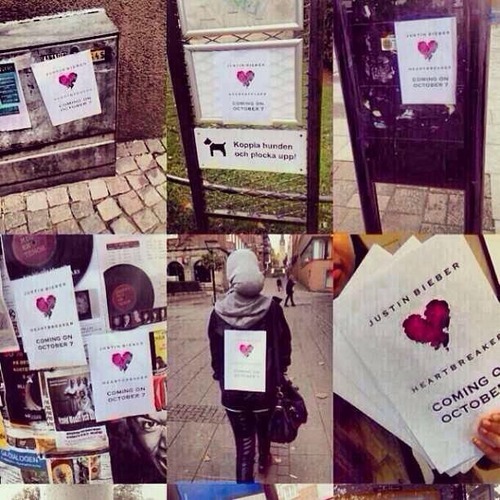 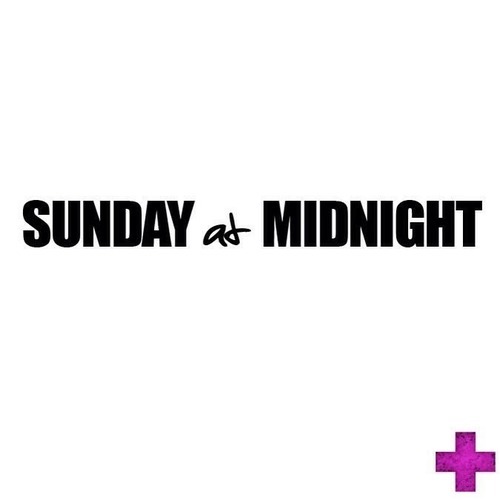 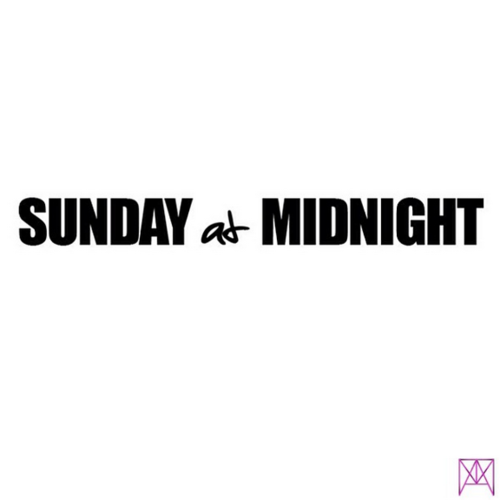 @scooterbraun: And Sunday at Midnight comes the new #musicmondays with #holdtight by @justinbieber . 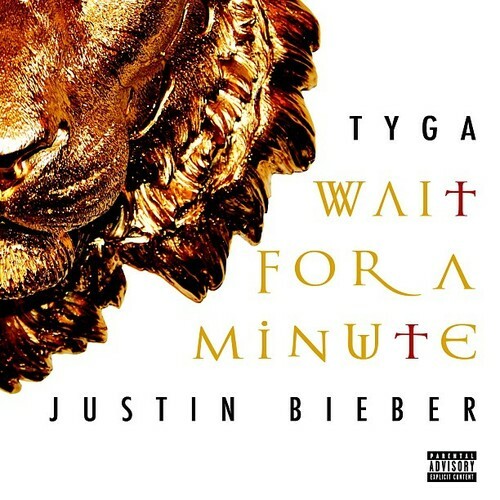 Baby making music? 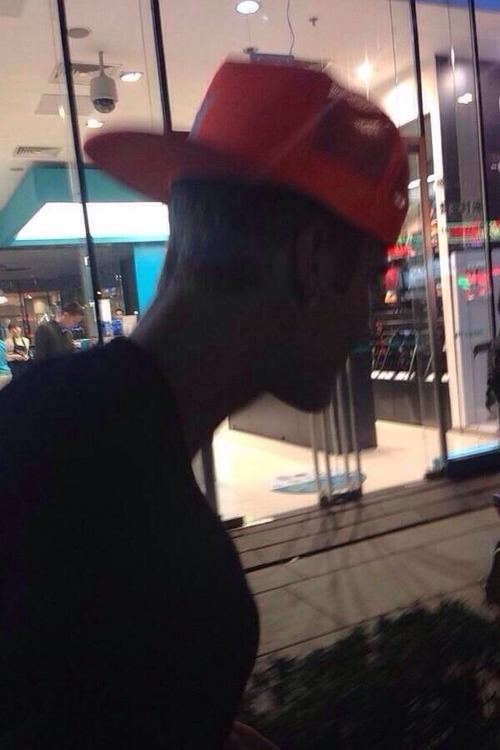 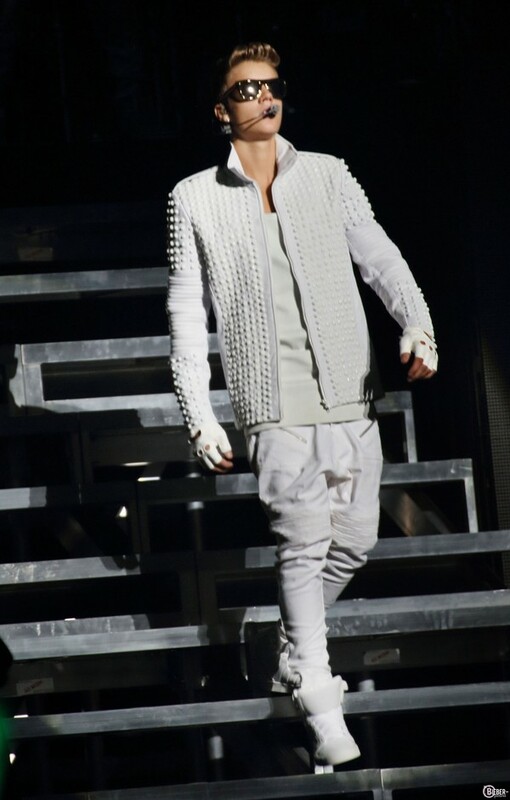 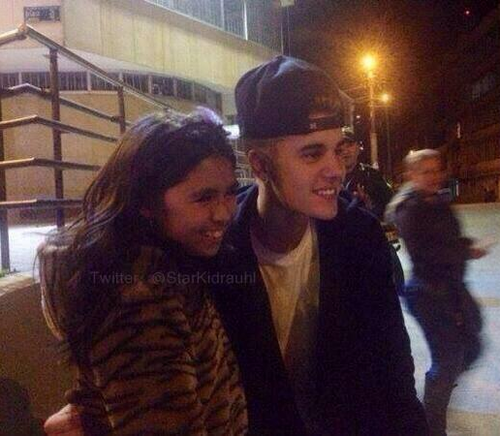 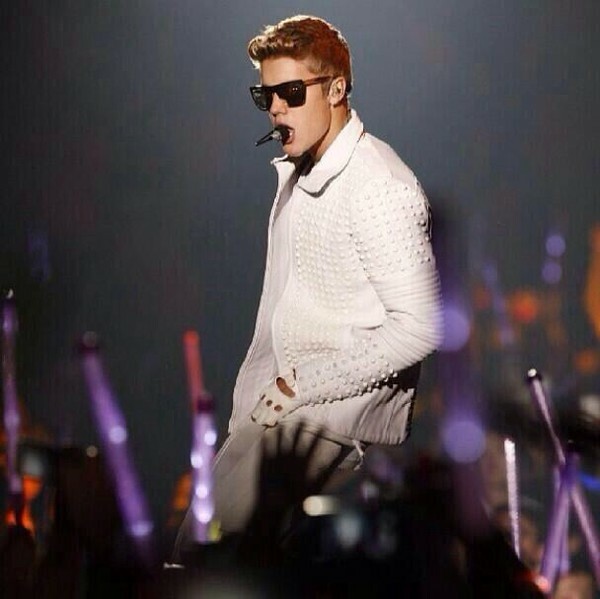 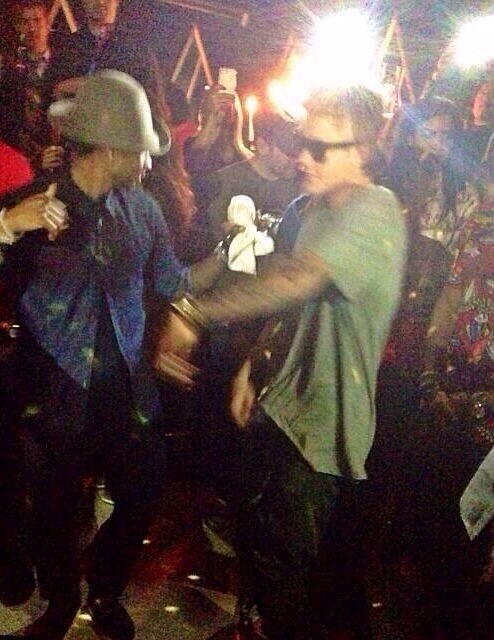 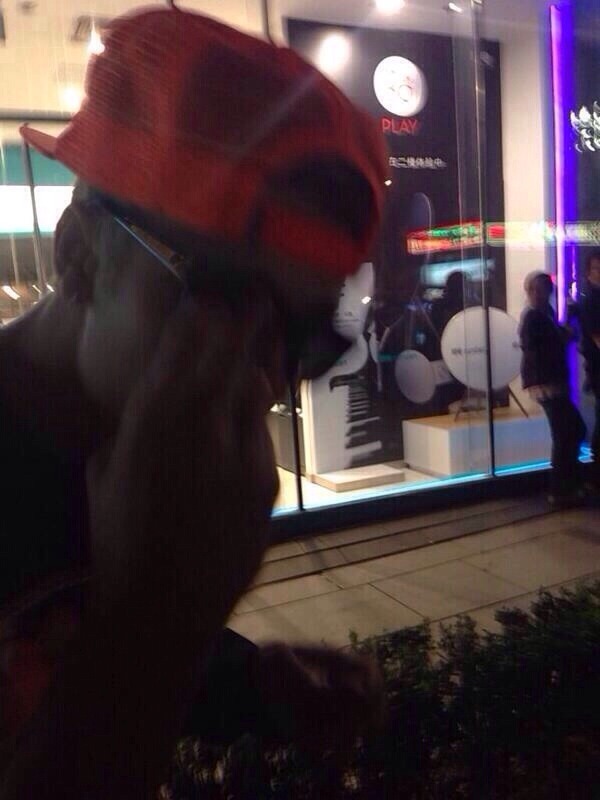 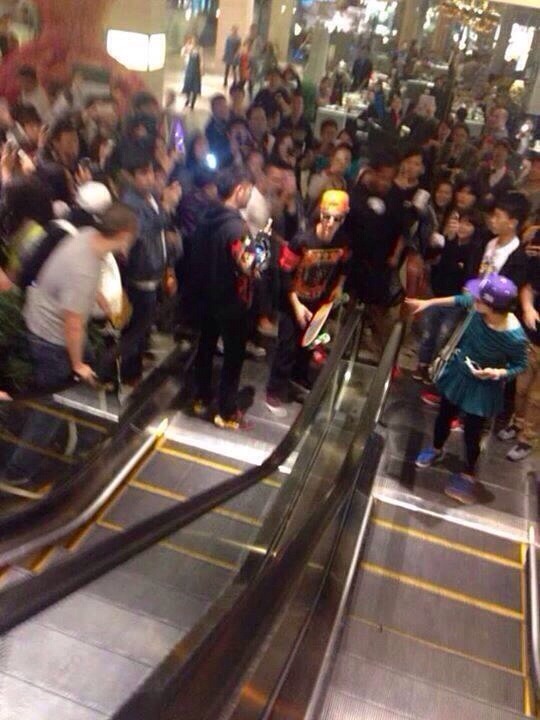 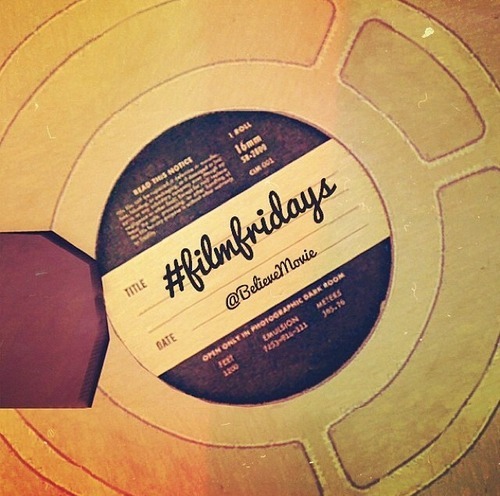 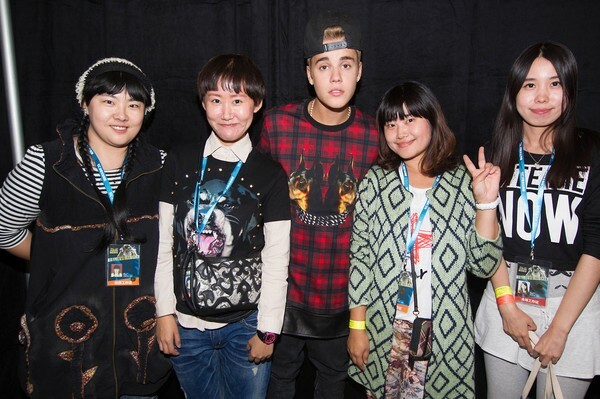 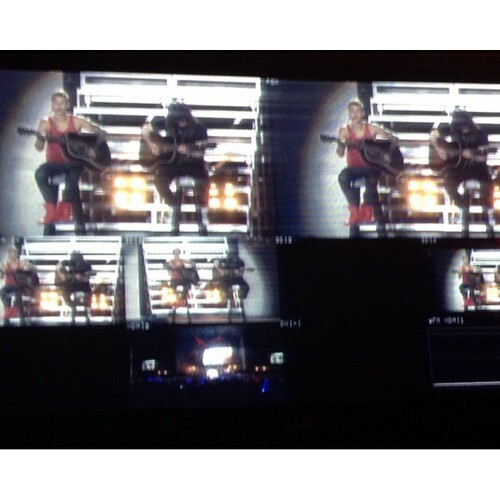 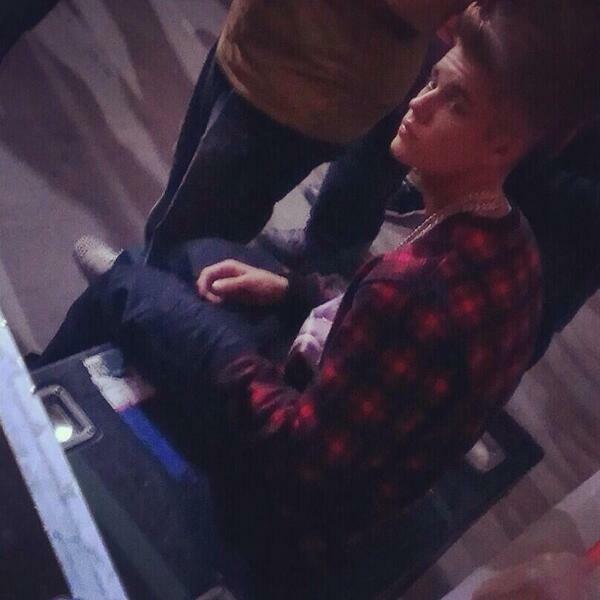 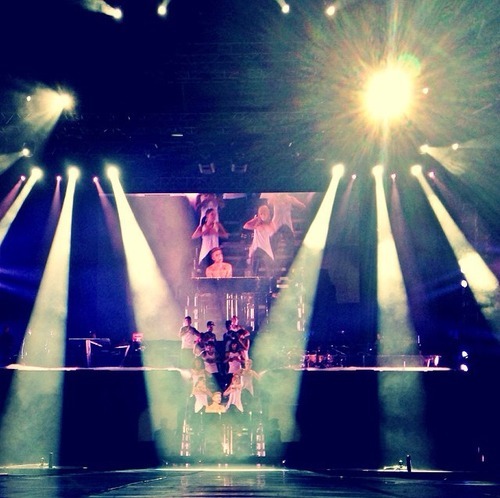 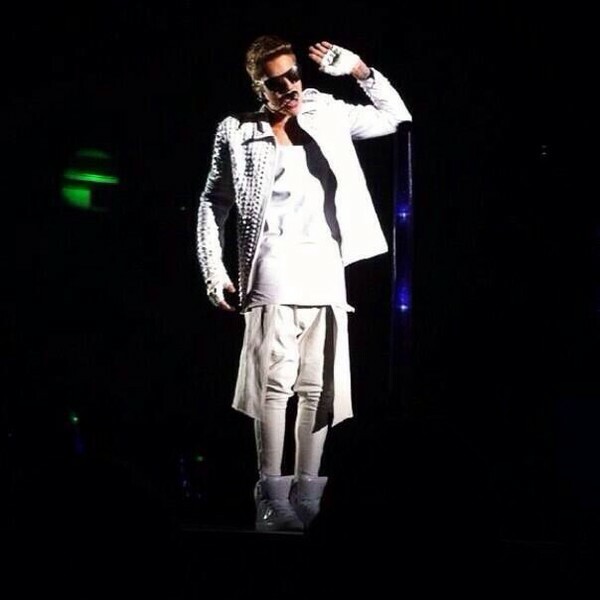 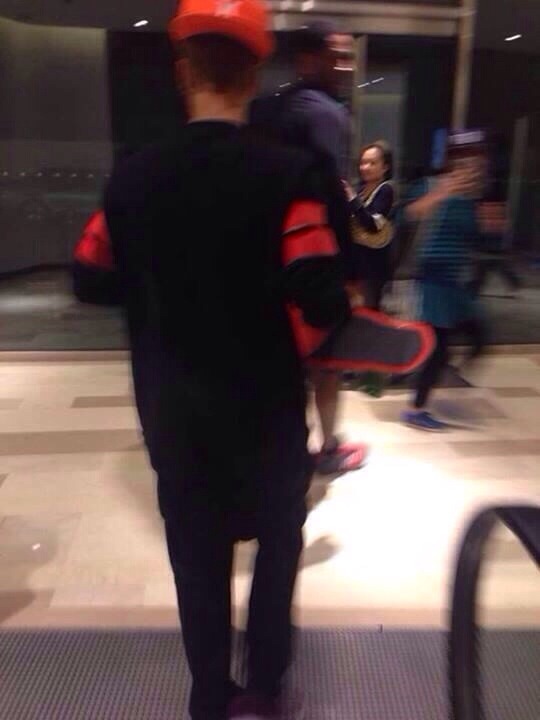 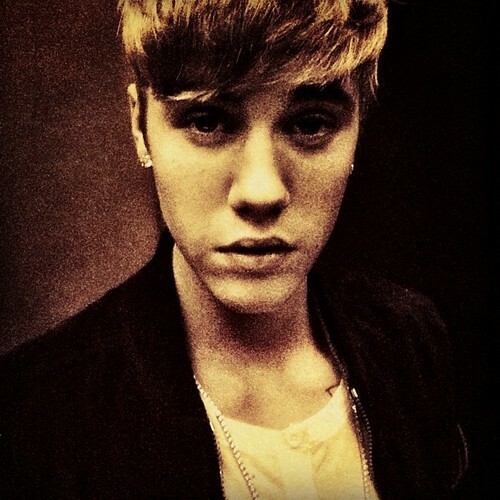 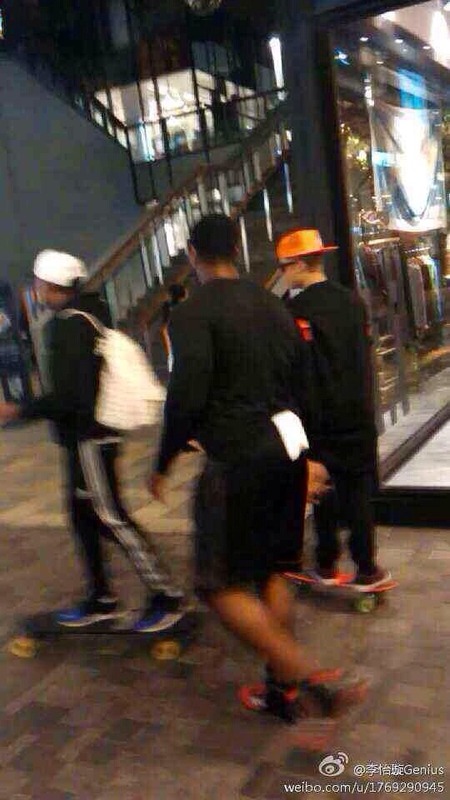 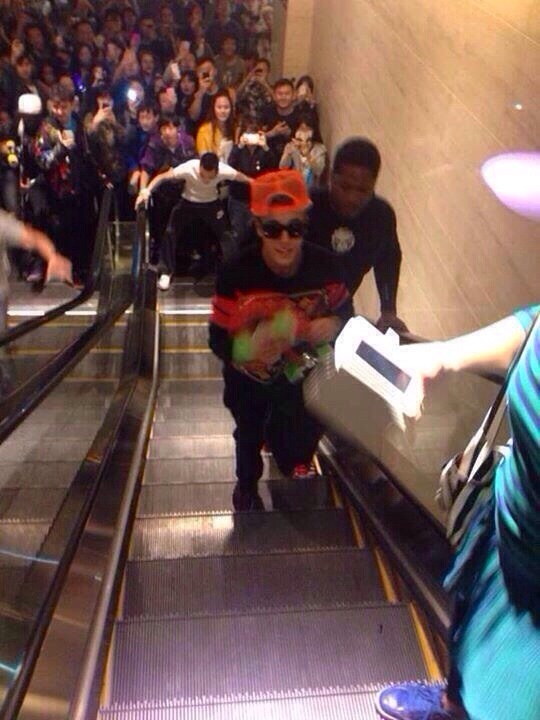 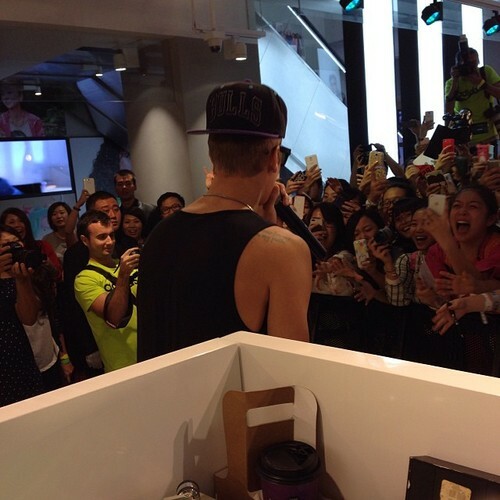 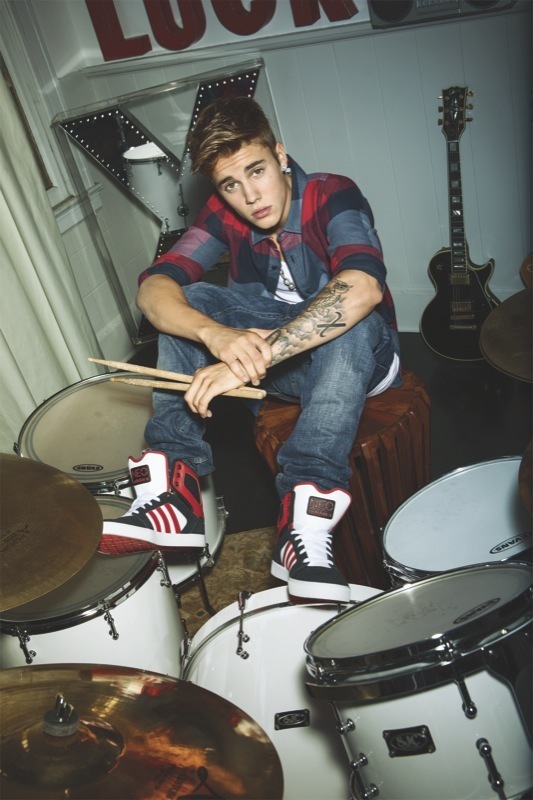 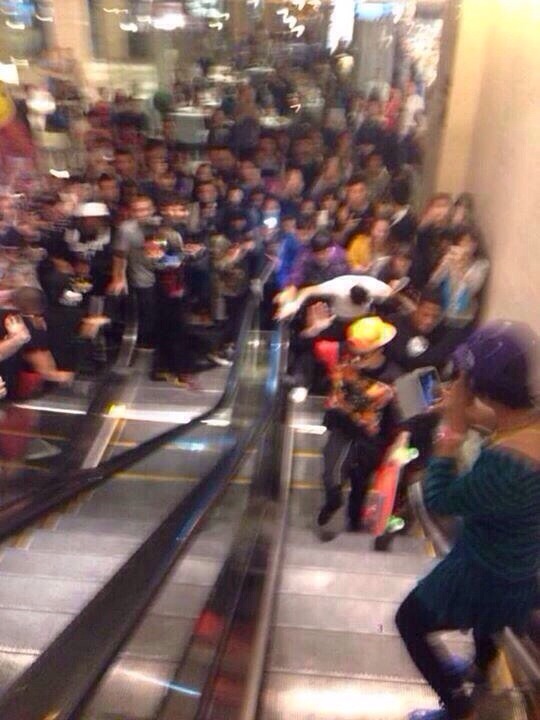 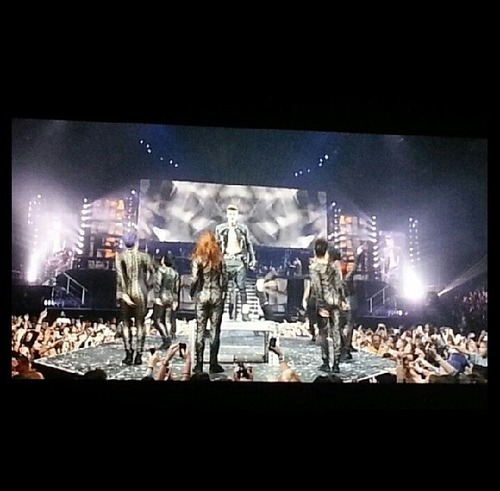 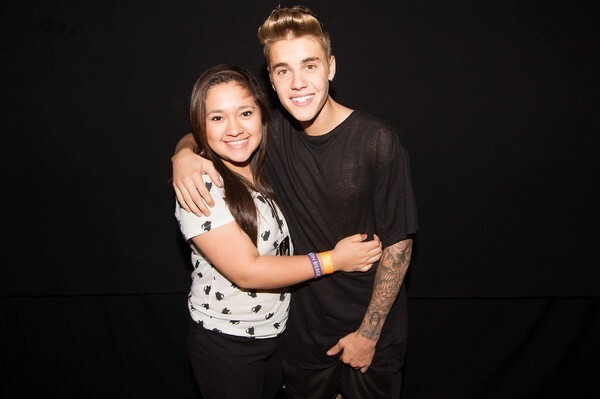 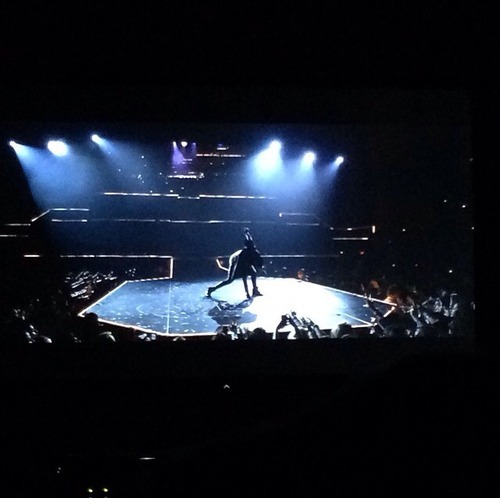 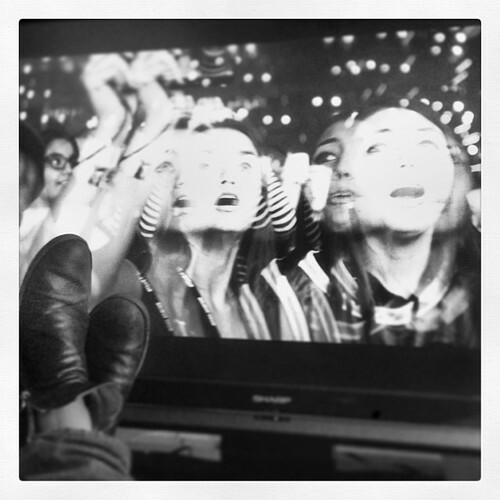 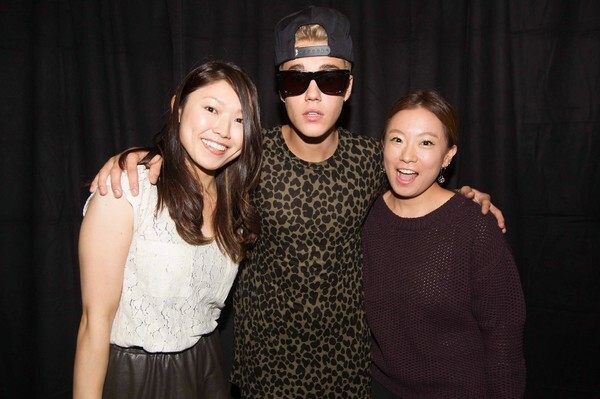 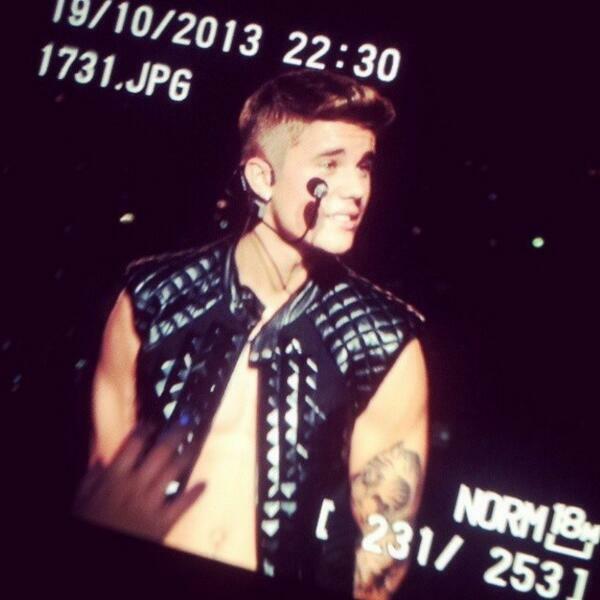 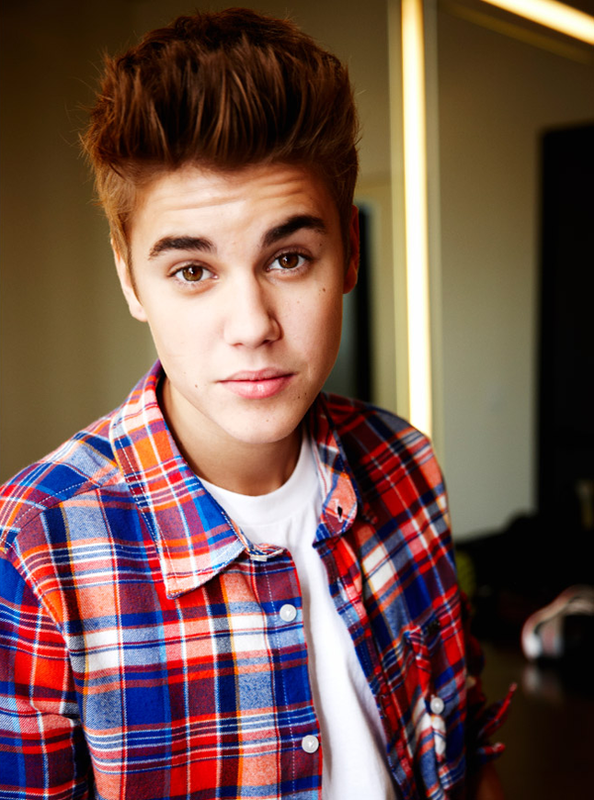 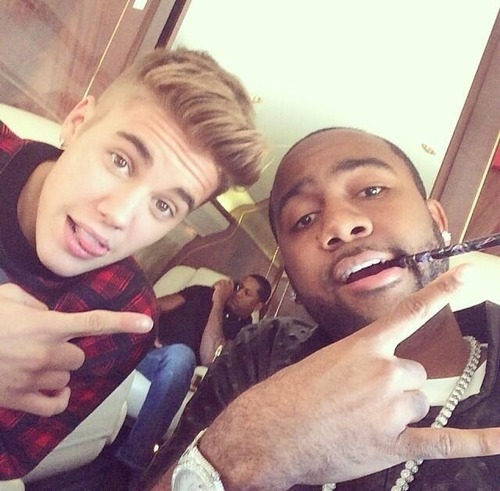 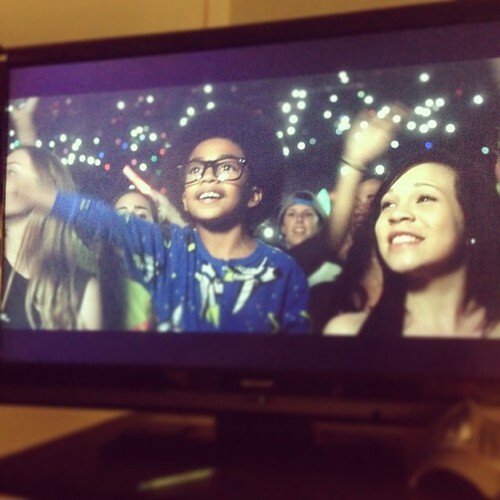 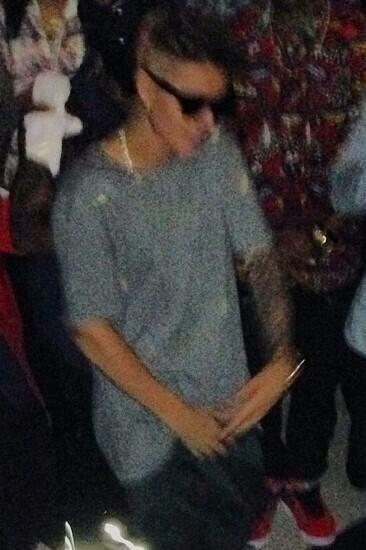 jonmchu: #filmfriday #believemovie LIKE this if you are reeeaaaddyyy!!!!!! 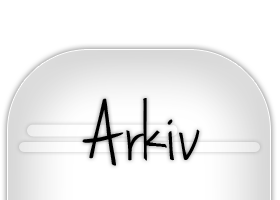 Det här inlägget kommer att upptraderas när det kommer ut nya bilder. 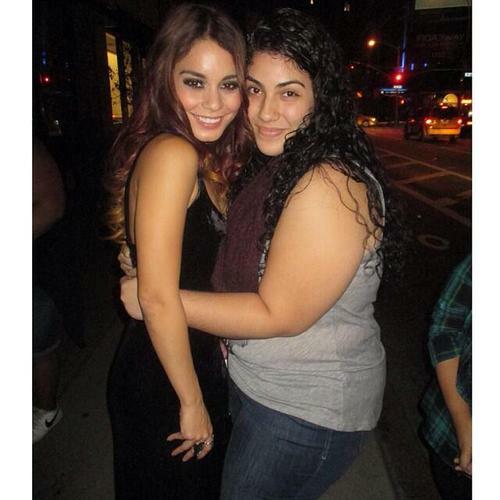 First ten minutes in NYC and I met Vanessa Hudgens!! 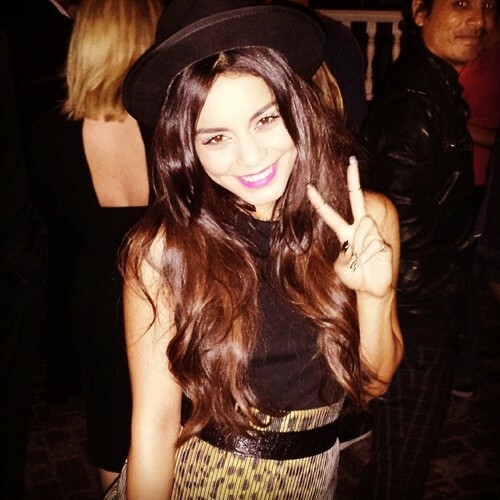 #tbt Vanessa Hudgens celebrated her birthday with a SoulCycle Cardio Party! 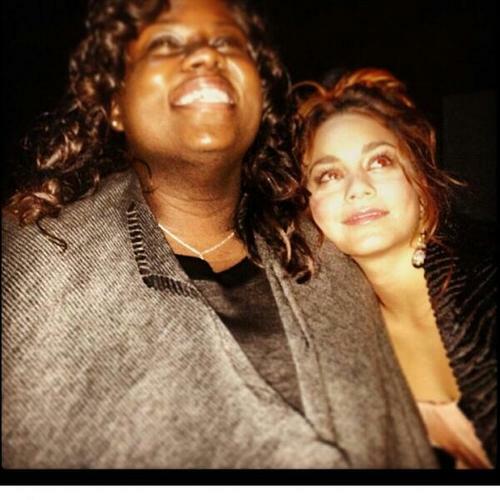 Äntligen så har det kommit ut ett videoklipp från Vanessas senaste film, "Gimme Shelter". 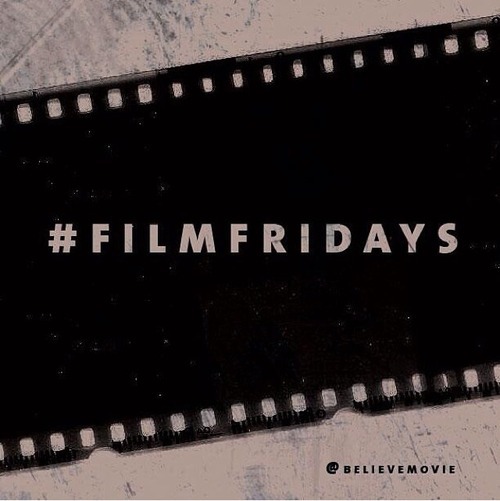 Filmen har premiär idag i USA. 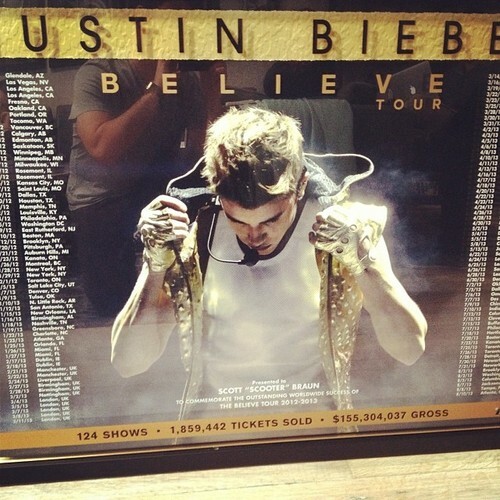 @scooterbraun: Nice plaque to come home to the office to. 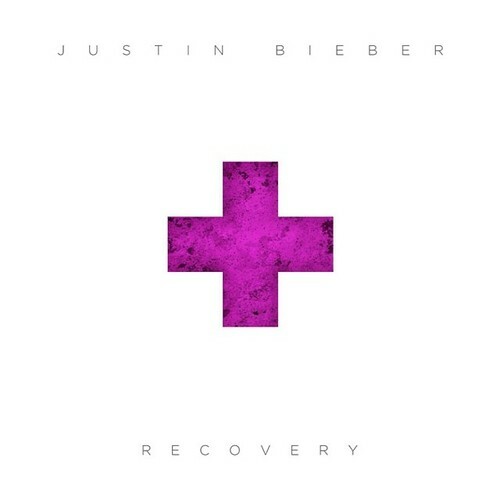 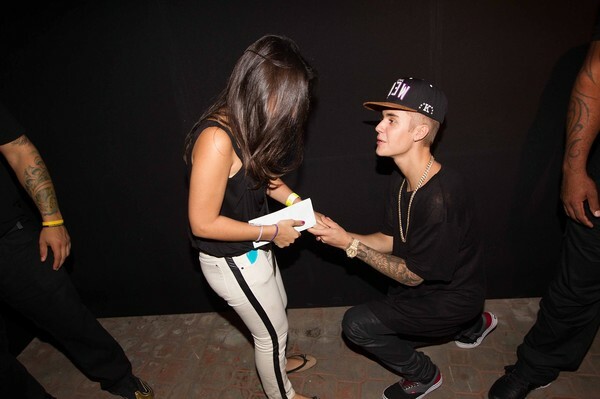 Congrats @justinbieber! 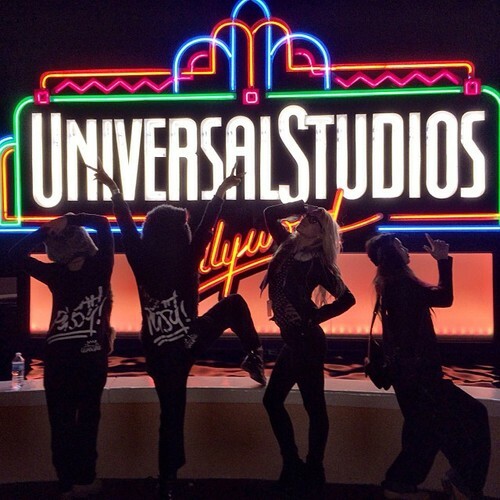 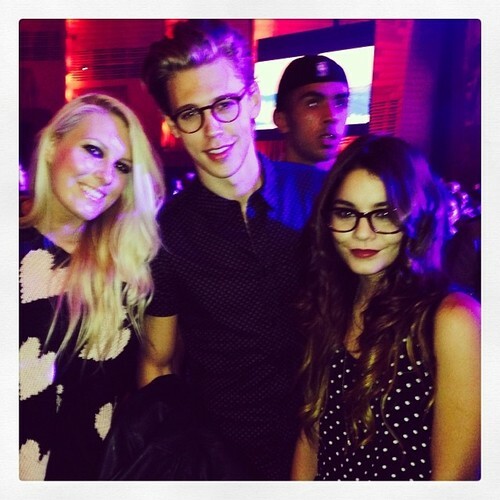 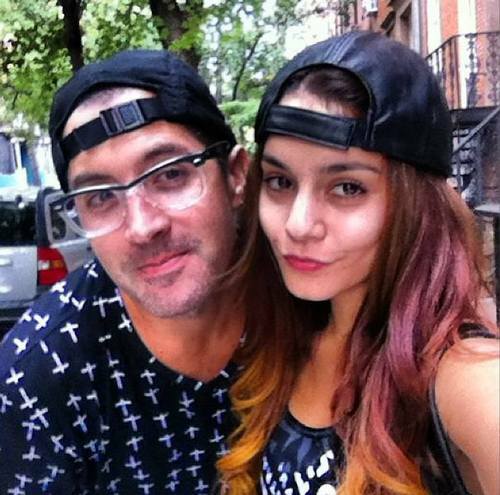 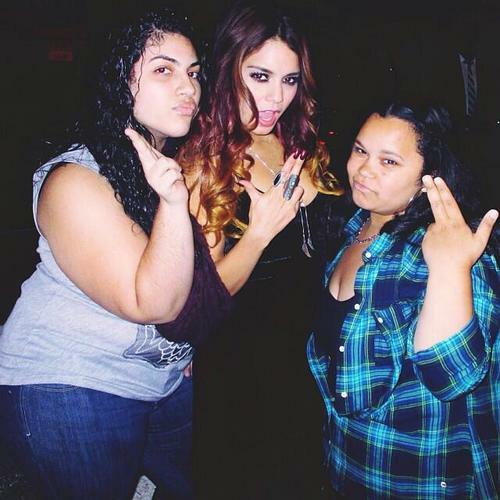 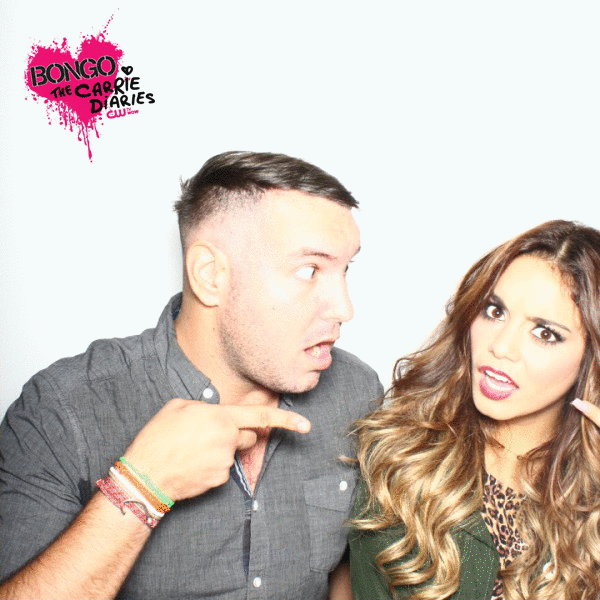 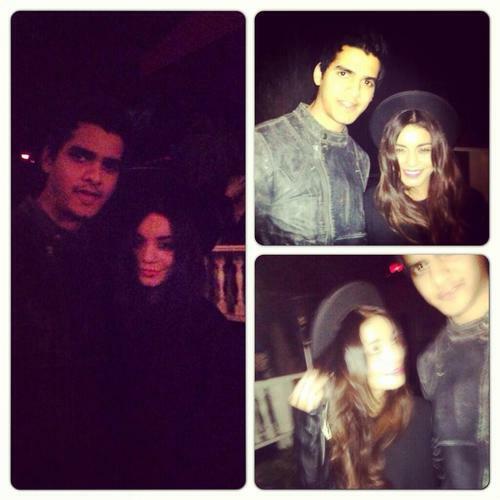 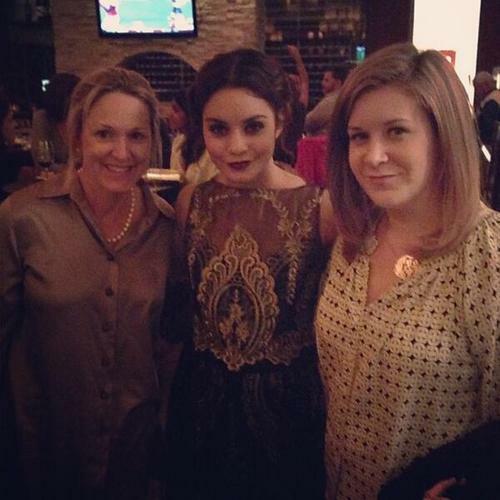 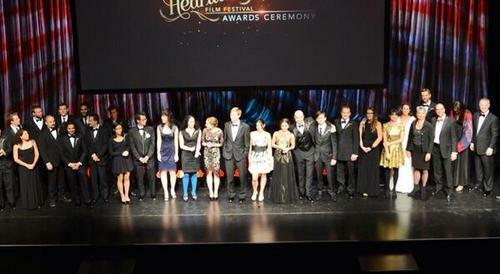 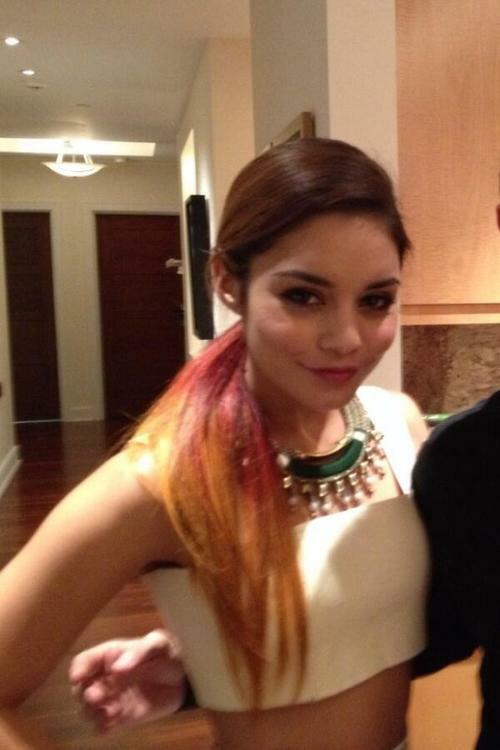 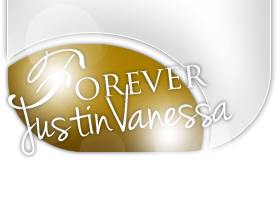 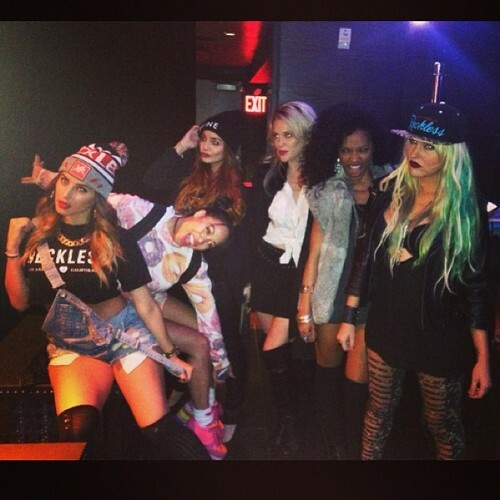 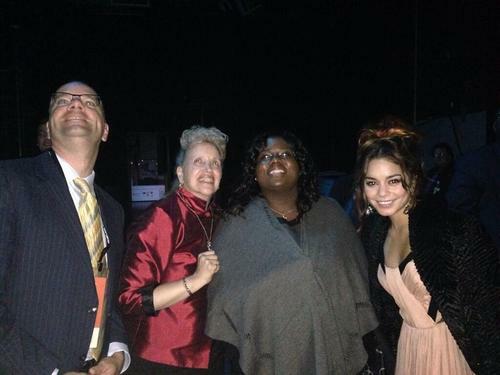 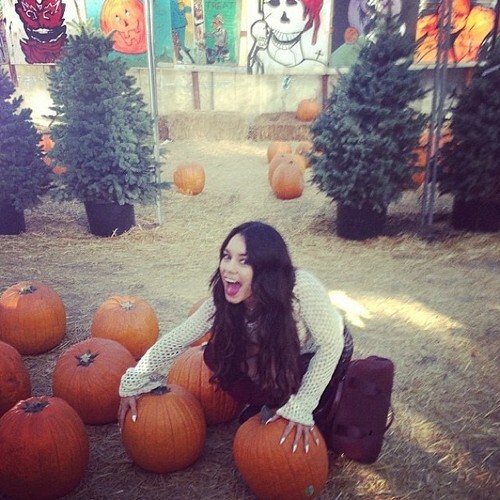 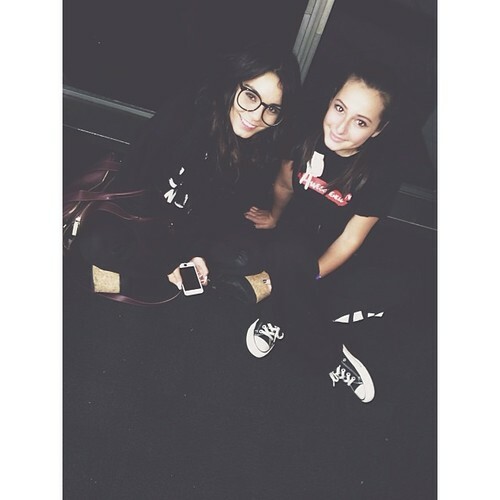 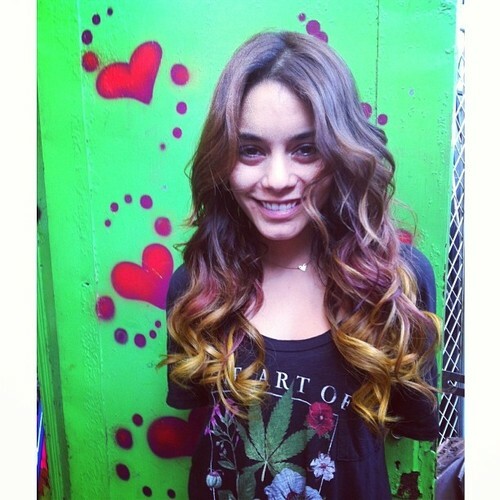 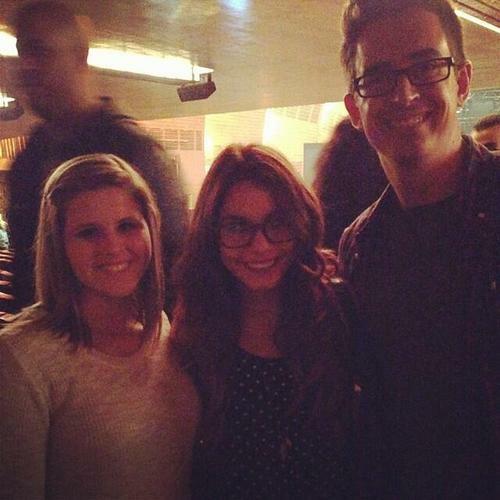 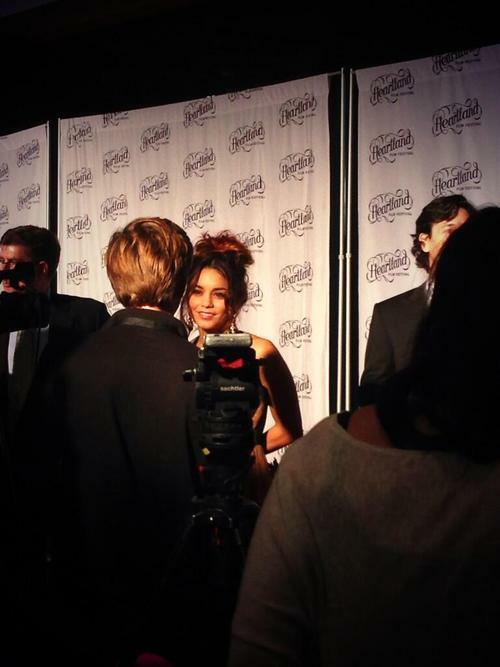 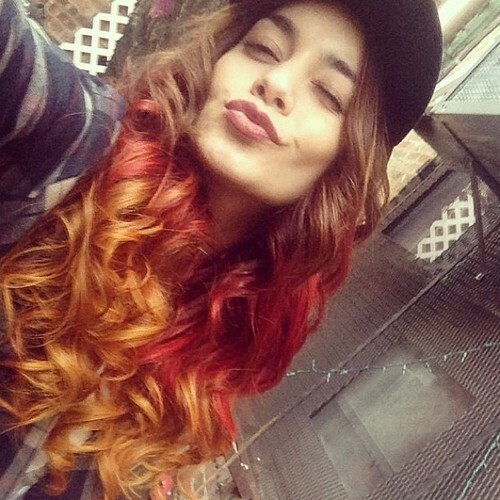 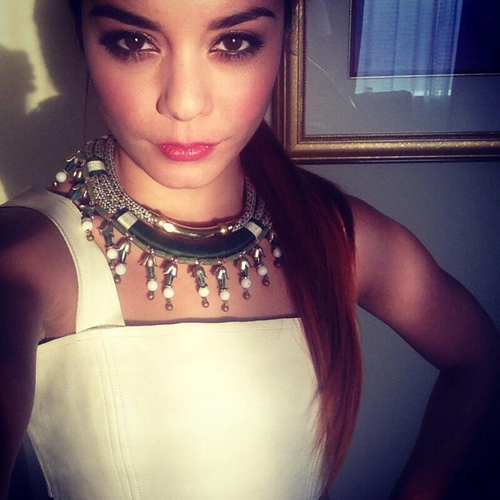 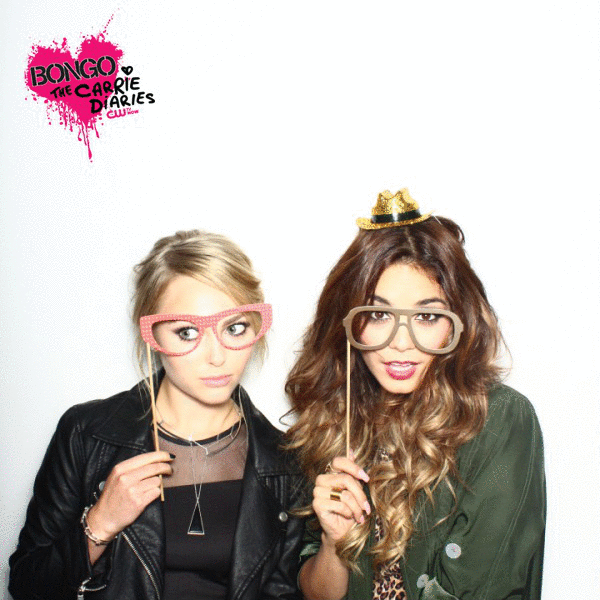 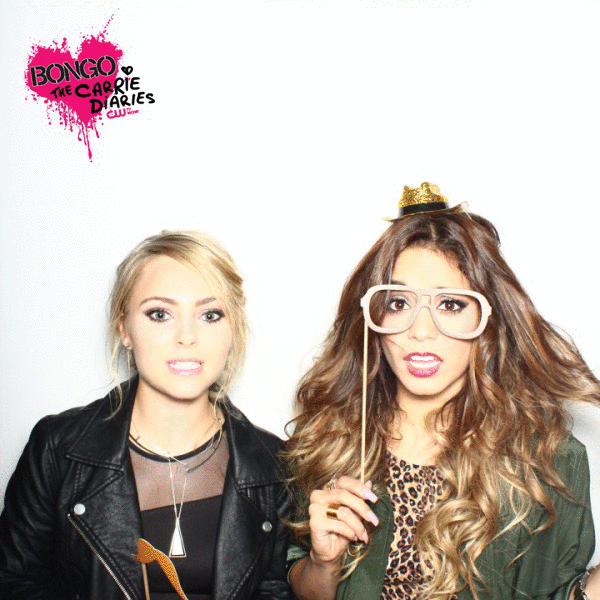 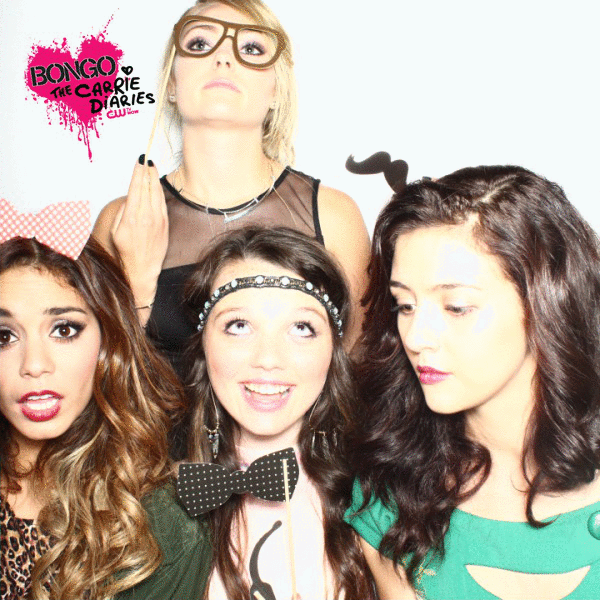 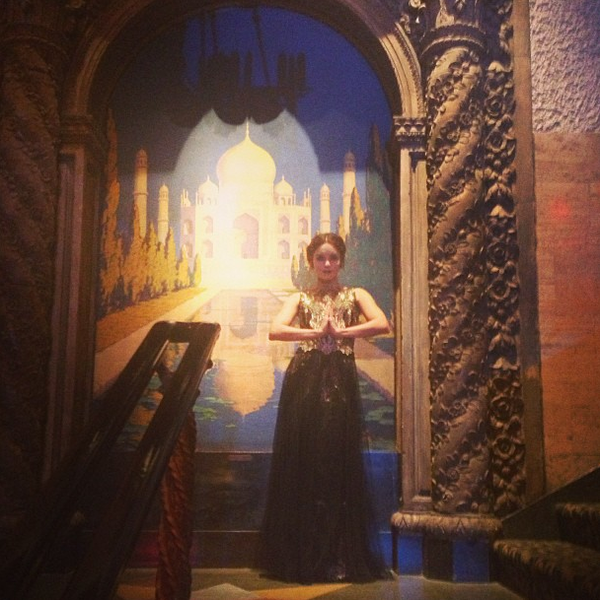 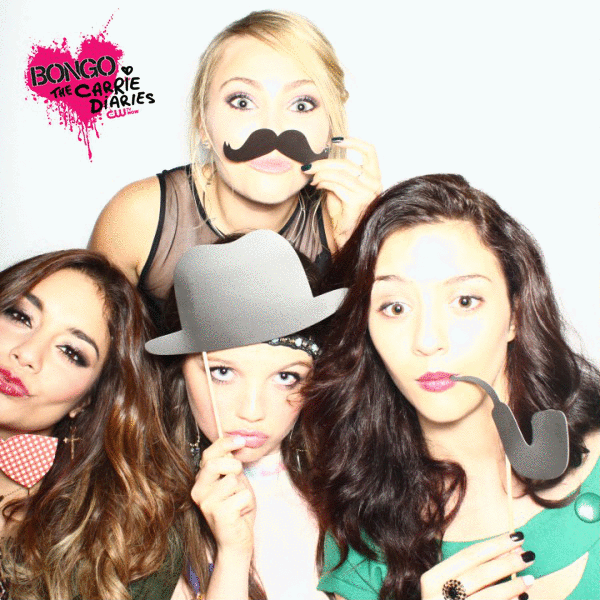 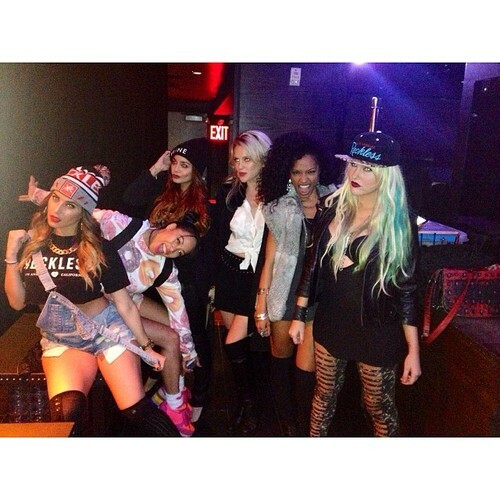 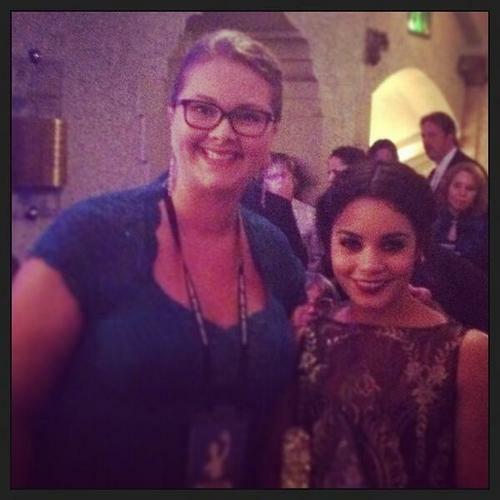 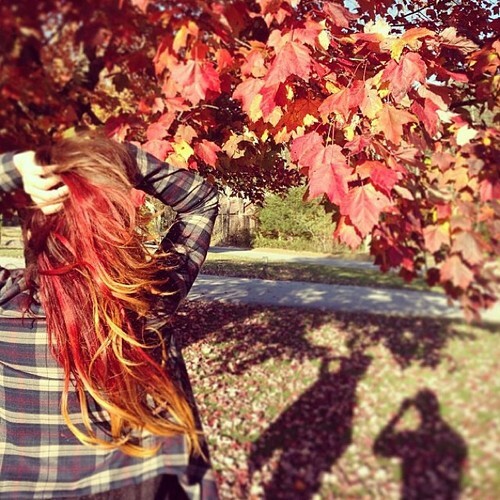 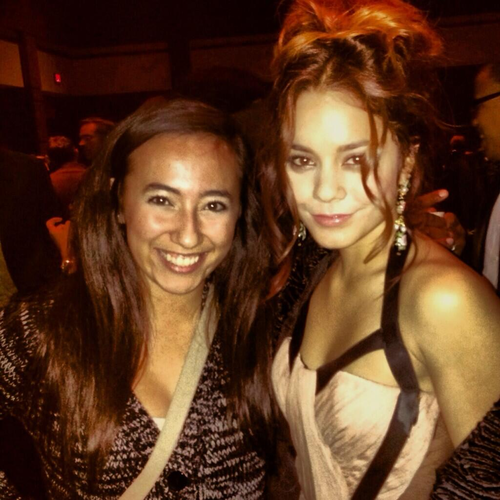 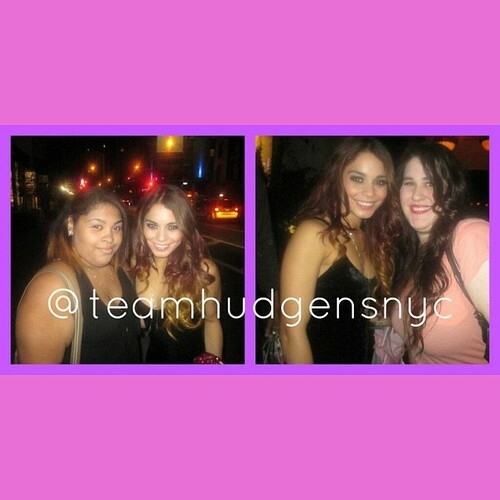 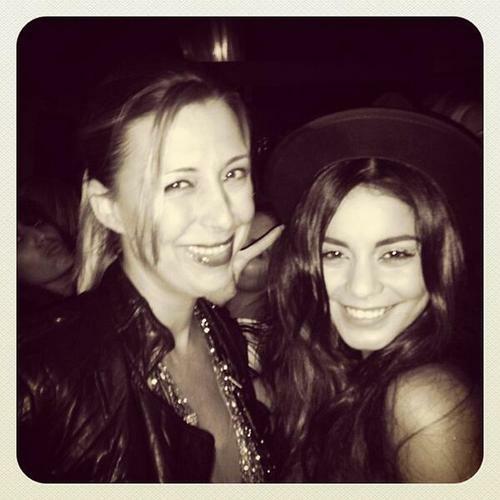 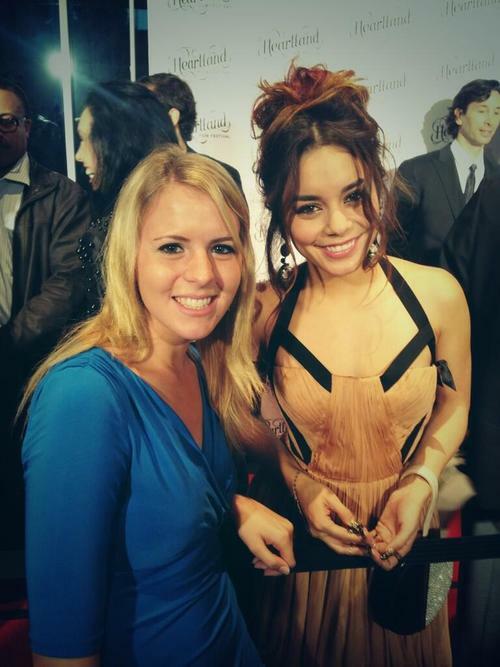 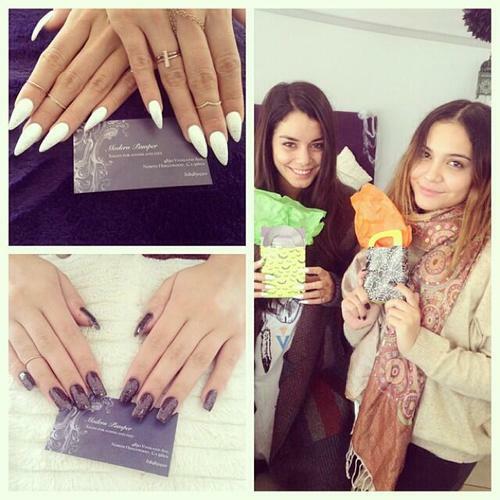 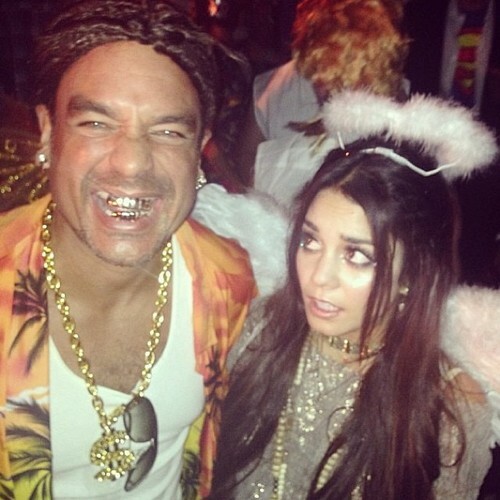 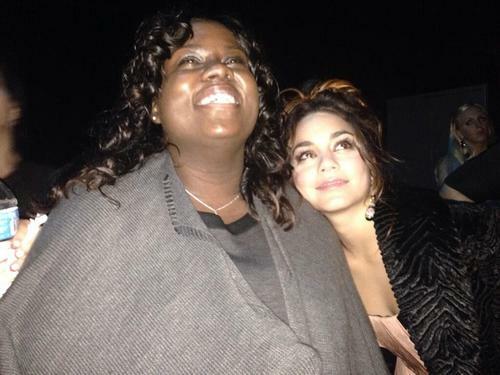 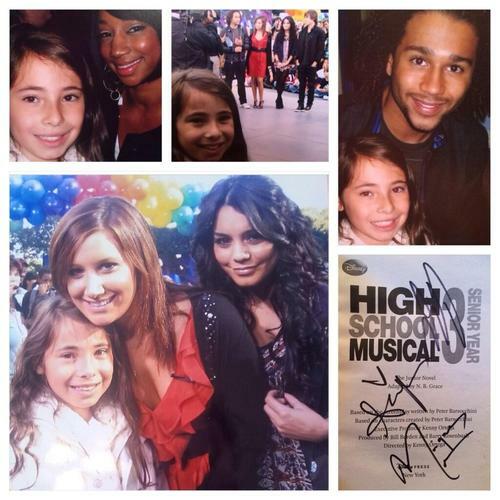 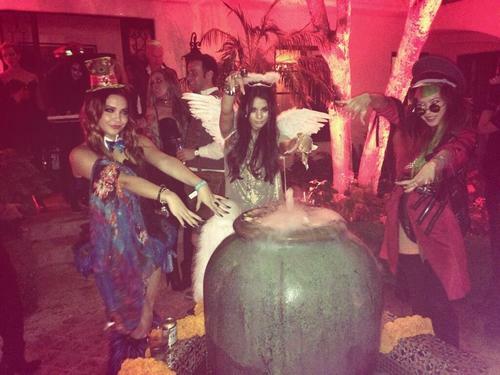 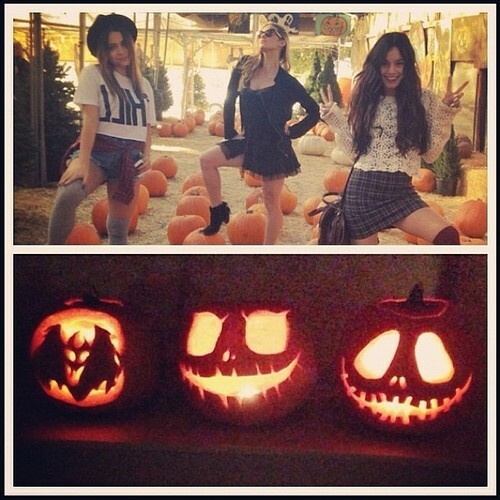 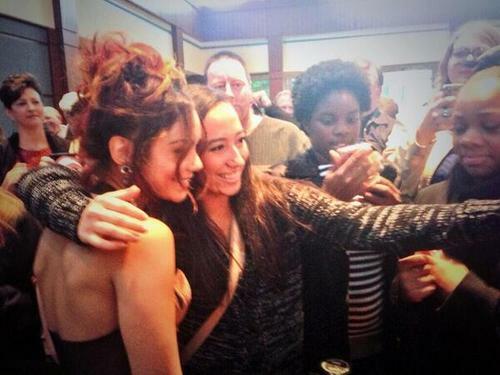 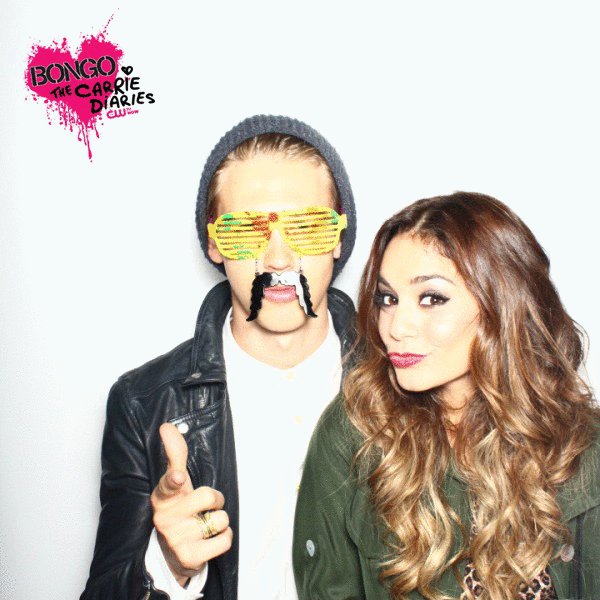 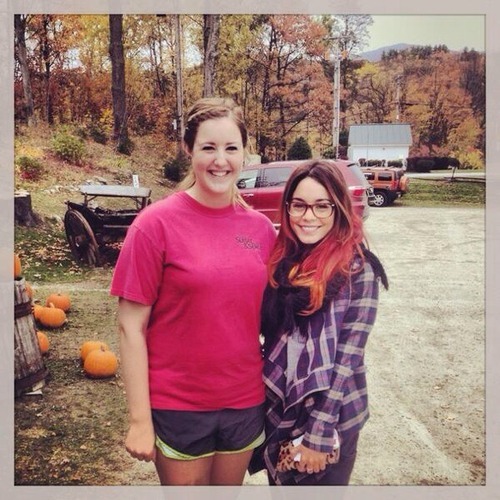 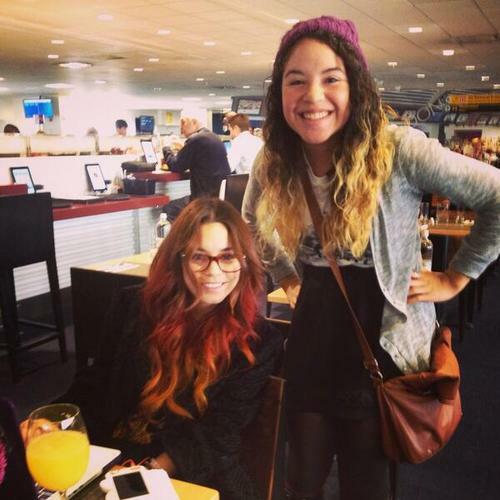 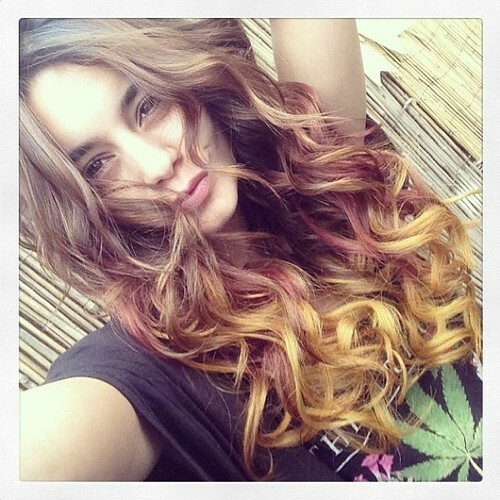 @AshleyF5: @VanessaHudgens I love your hair! 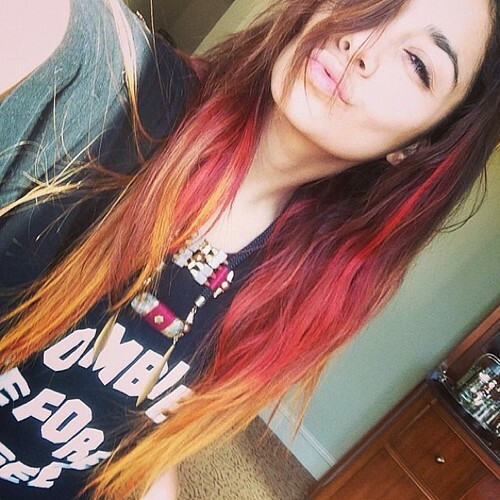 I wish I could pull that look off!! 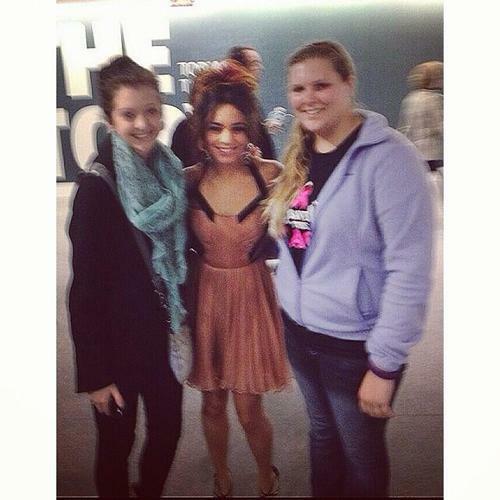 It was very nice meeting you today! 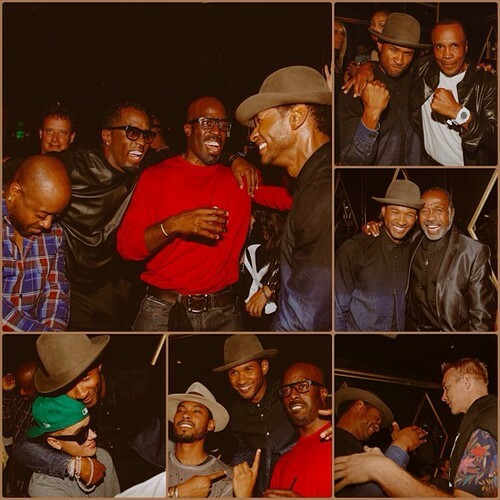 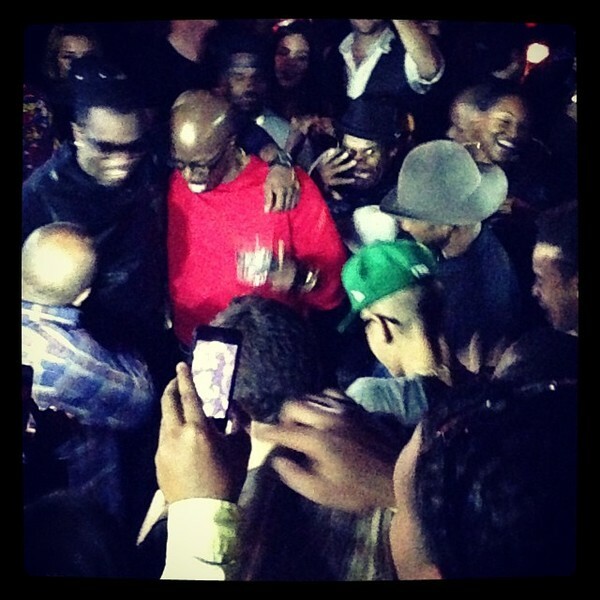 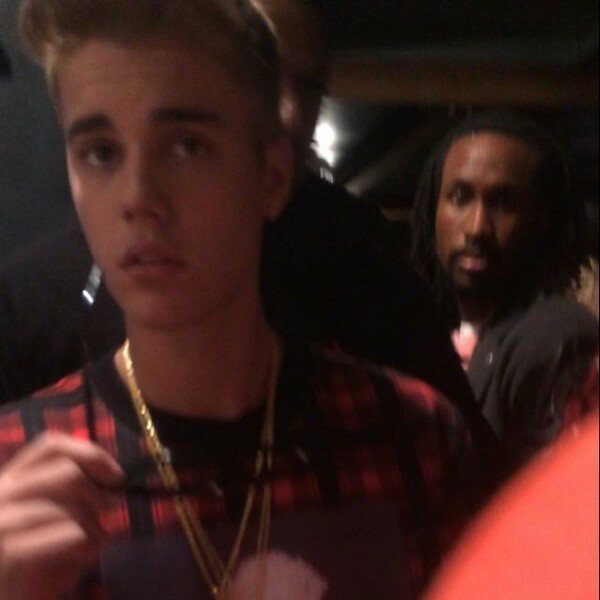 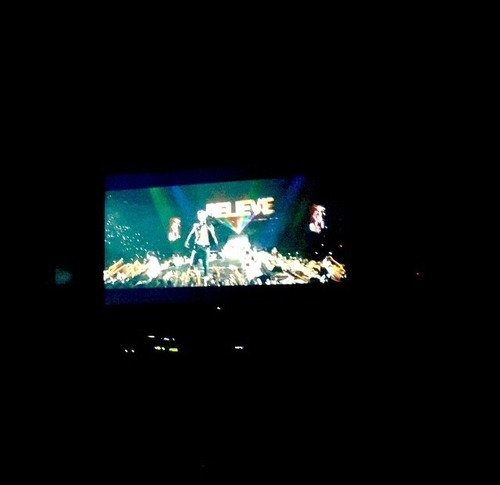 @jblazeofficial: Just finished watching the first screening of the #BelieveMovie with @justinbieber and the crew and all I can say is AMAZING! 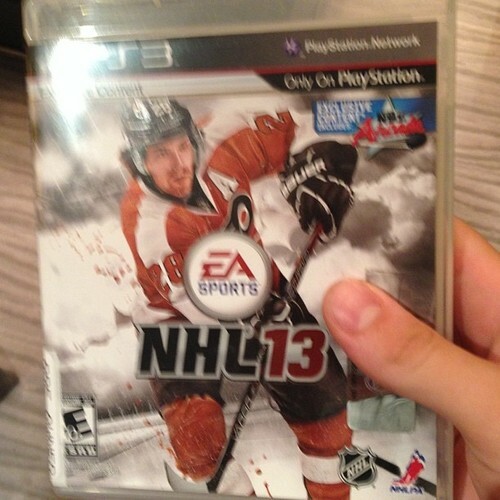 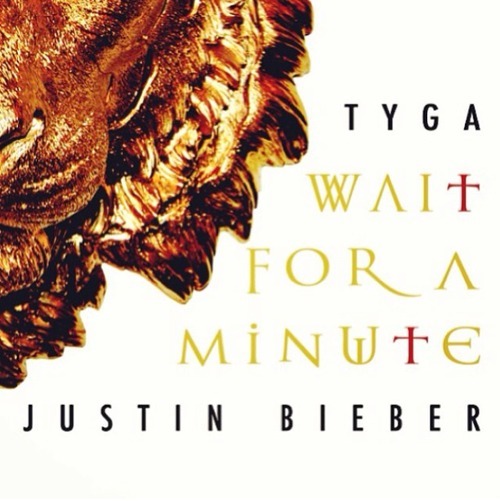 You guys will not be disappointed. 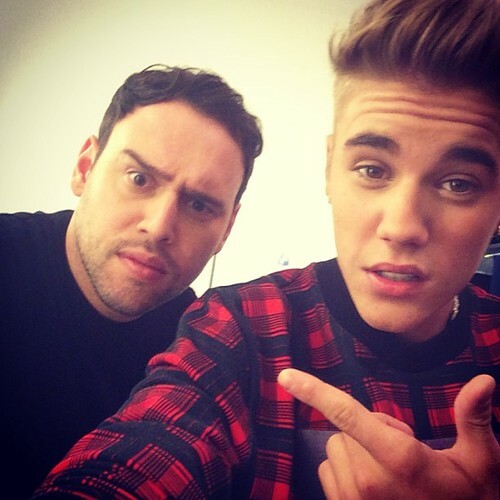 Go see it Christmas Day!! 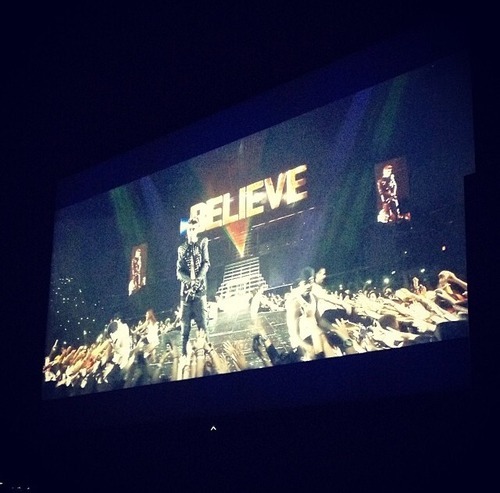 @elysandraq: Just finished the pre-screen of… @justinbieber #BELIEVEmovie ! 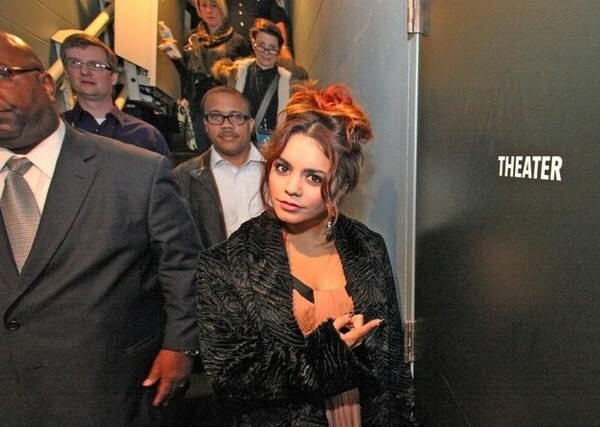 Yeah, yeah, what’s a king bed without a queen ? 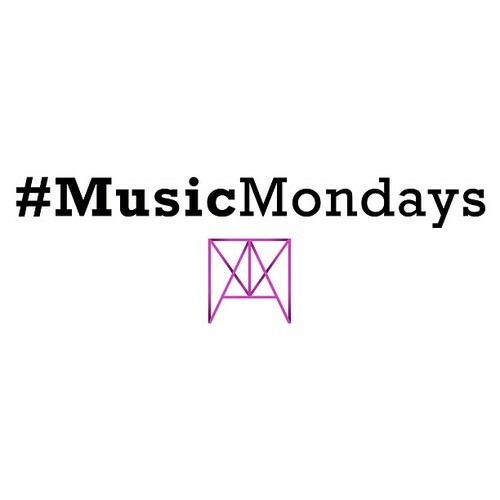 Music monday är igång och nu framöver så kommer vi att få nya låtar från Justin varje måndag. 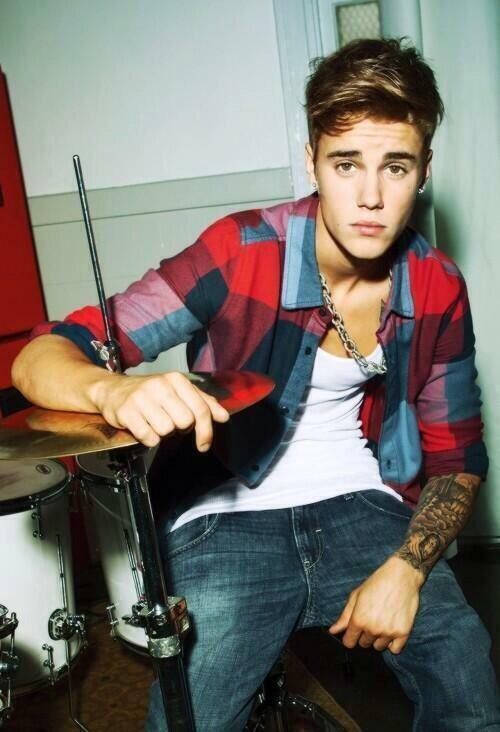 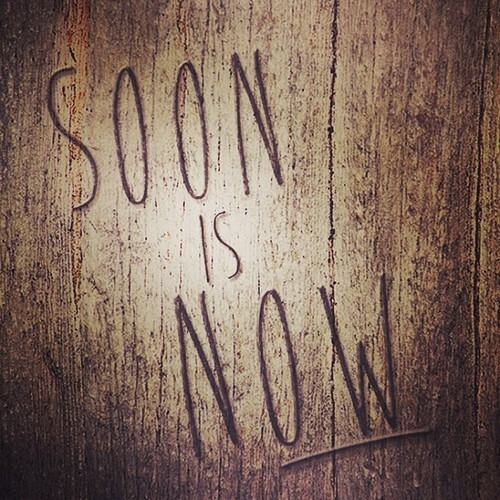 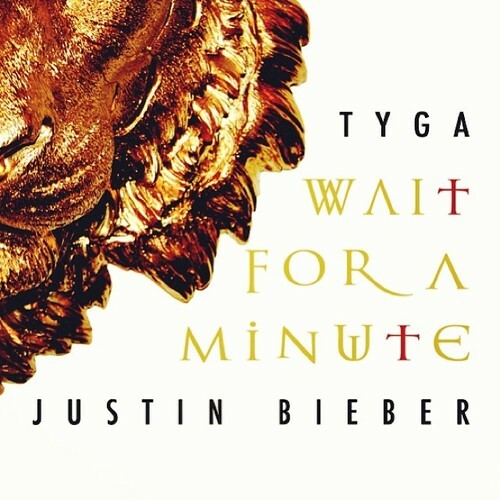 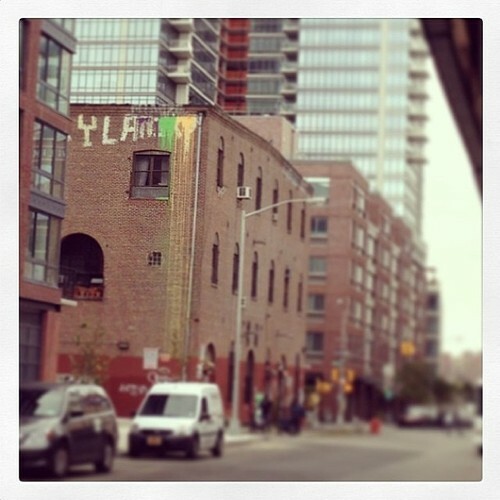 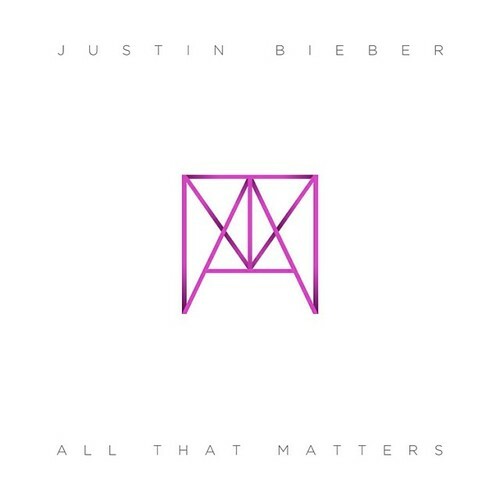 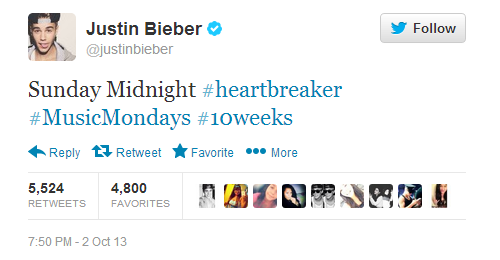 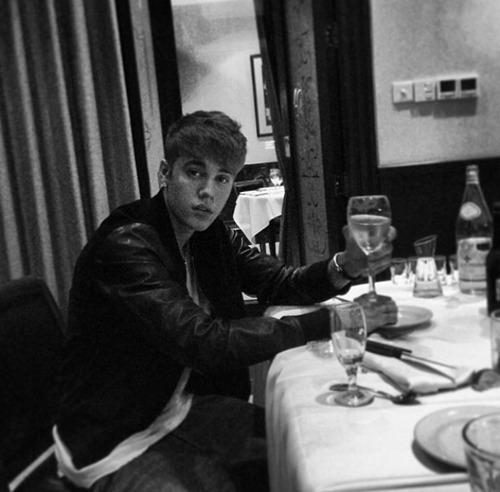 @justinbieber: Are you counting down with me to Midnight for the new #MusicMonday - #AllThatMatters ? 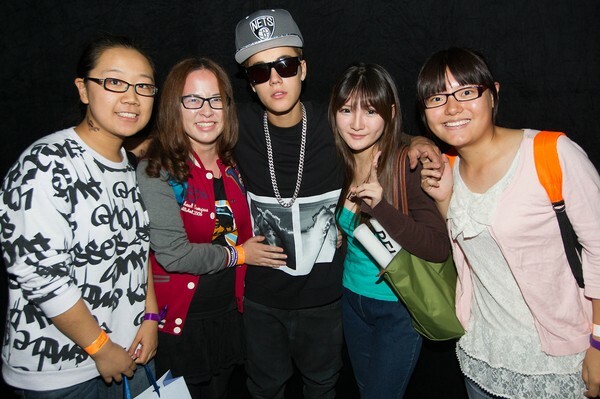 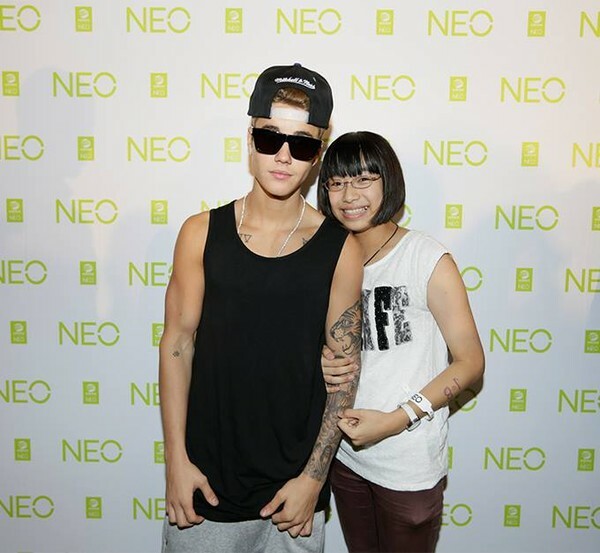 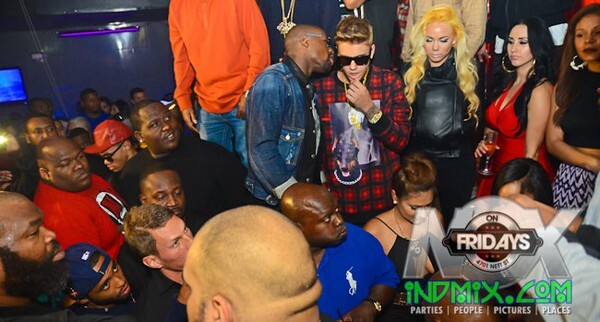 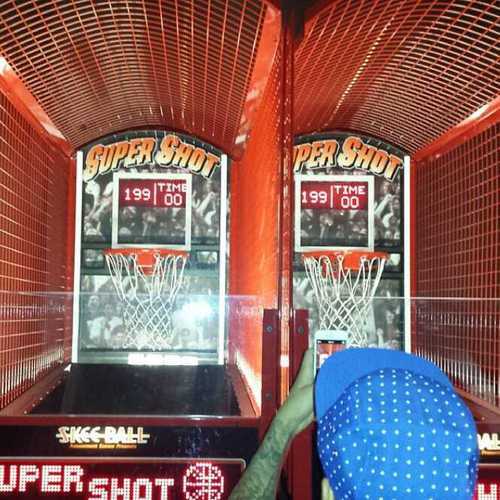 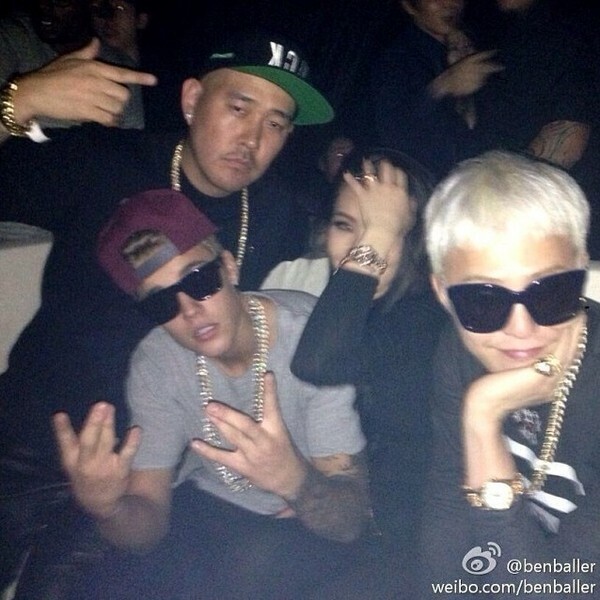 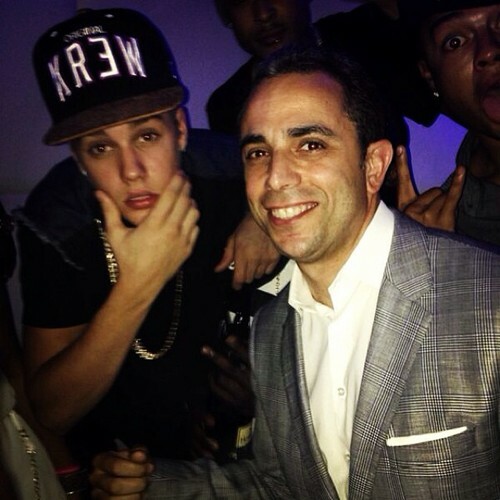 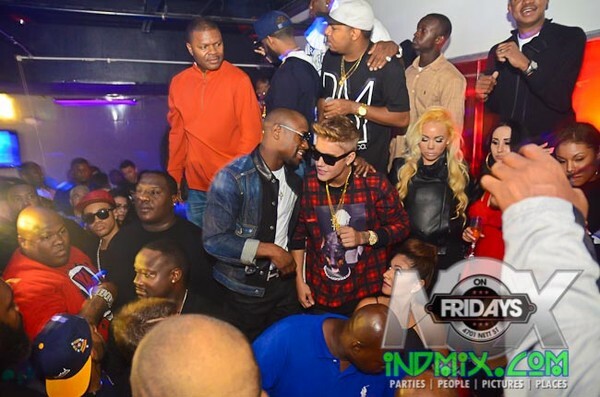 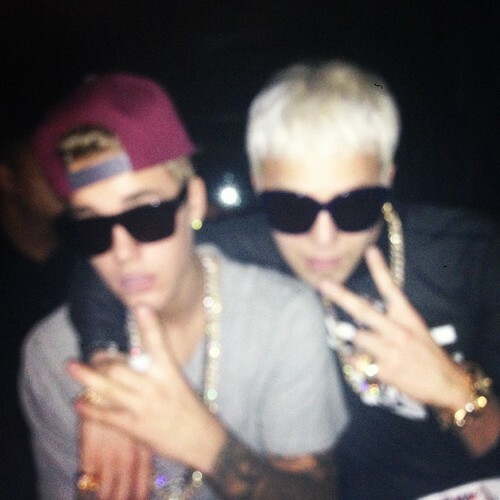 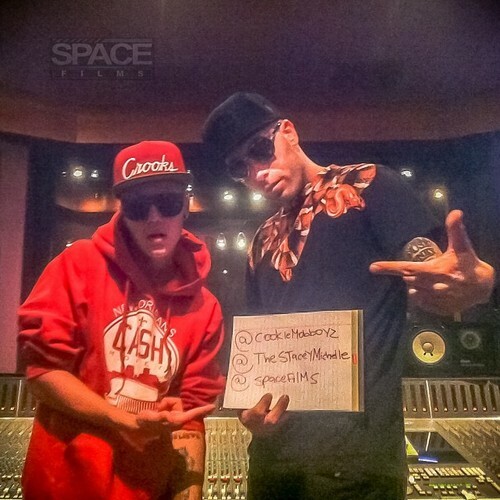 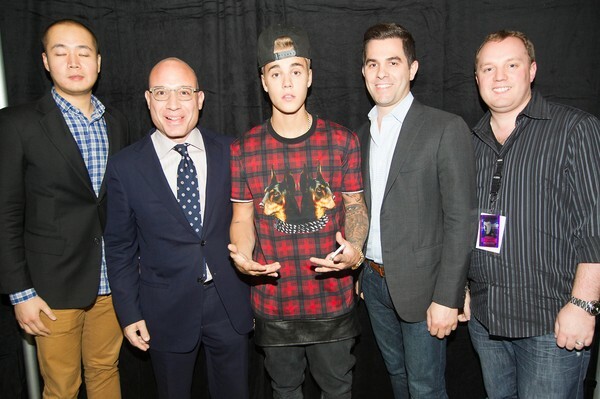 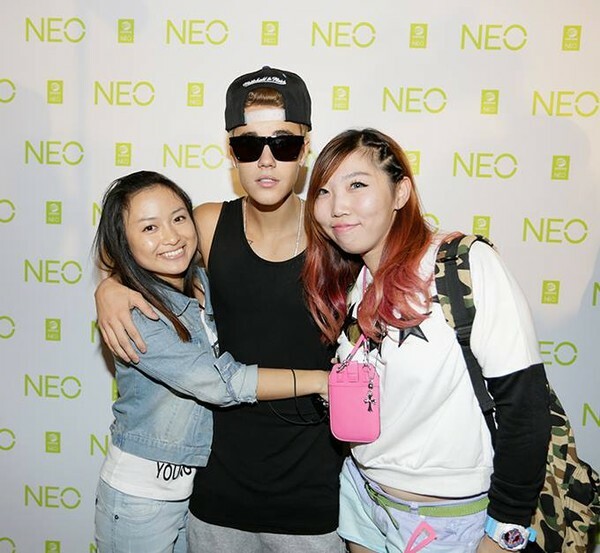 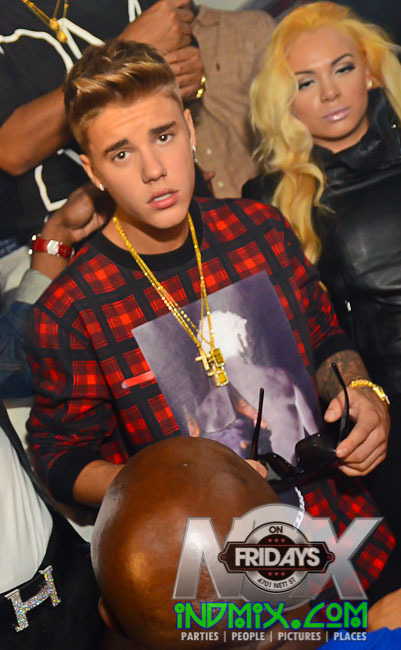 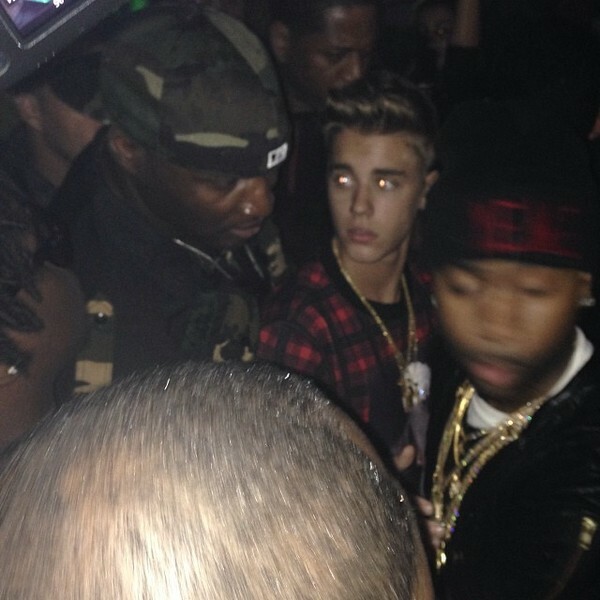 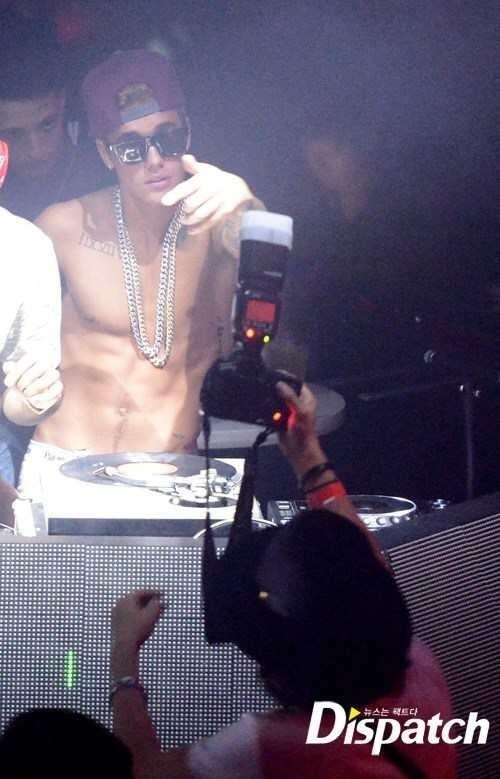 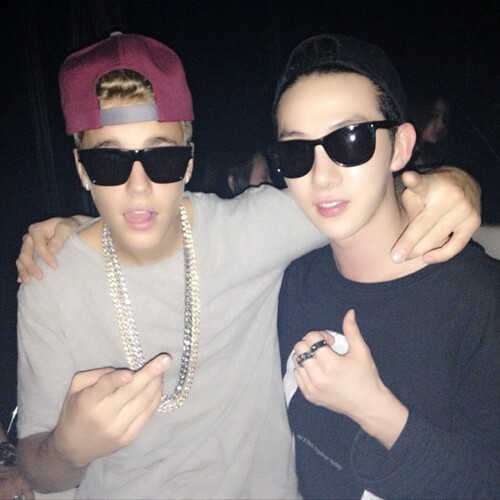 @benballer: Dear Michael Woods, Stay Calm… @justinbieber is a lover, not a fighter. 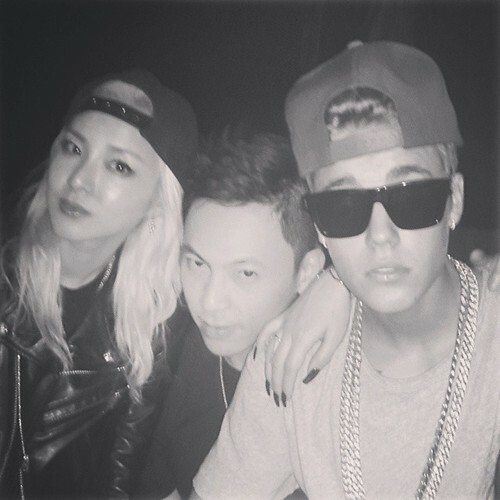 Right @chaelin_cl? 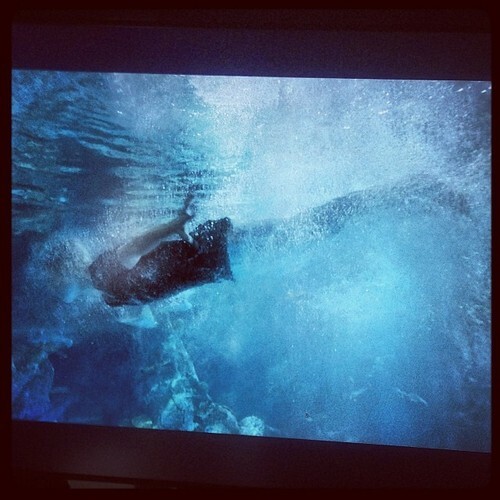 Always be yourself, unless you can be a mermaid… then always be a mermaid. 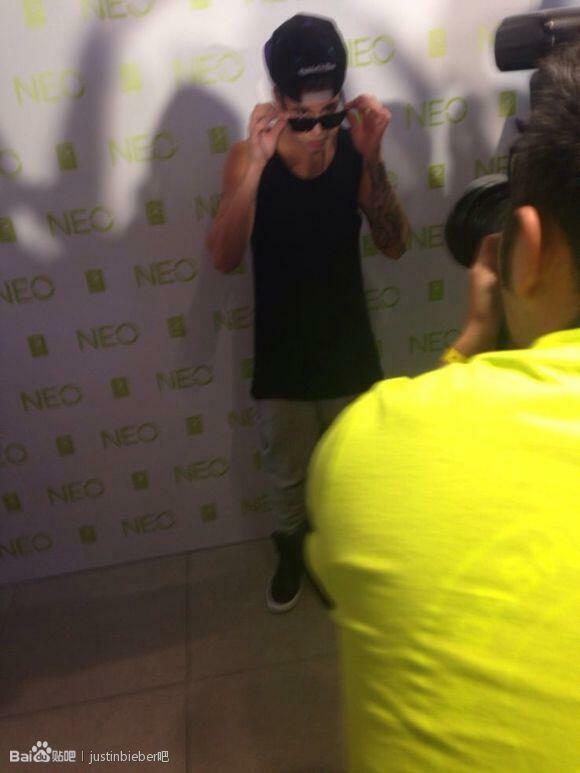 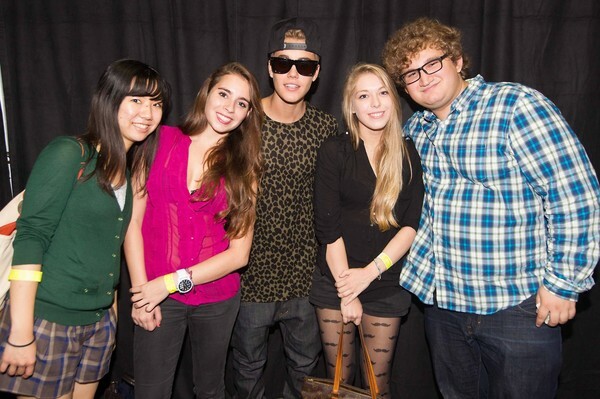 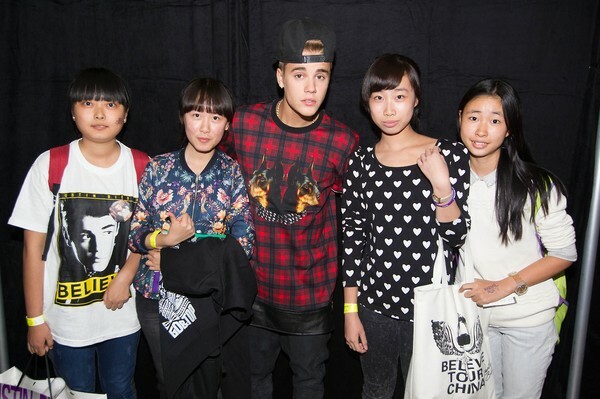 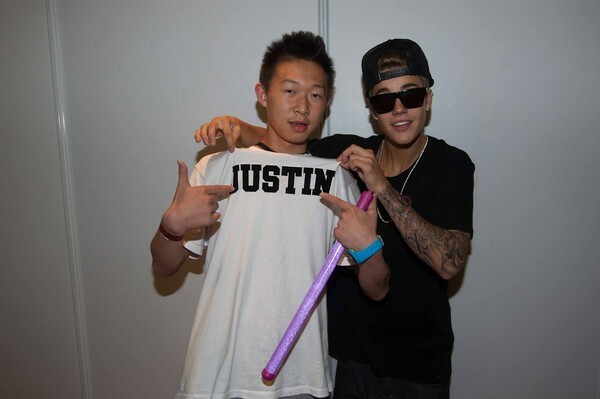 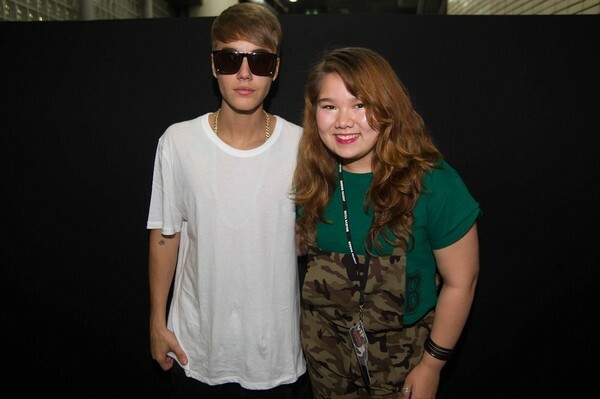 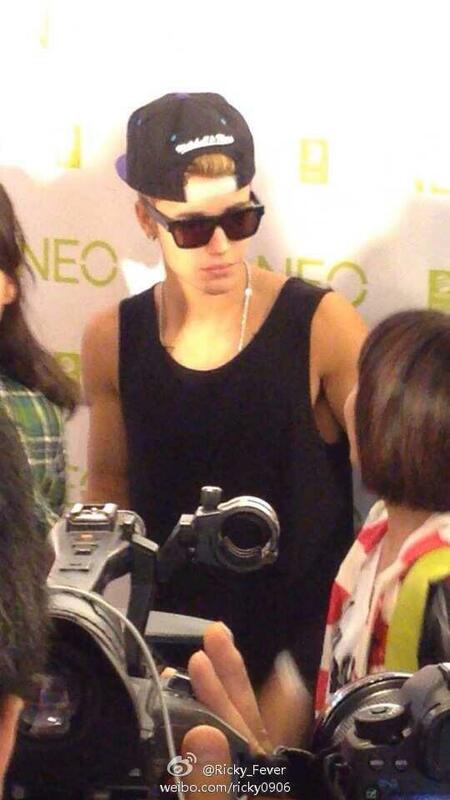 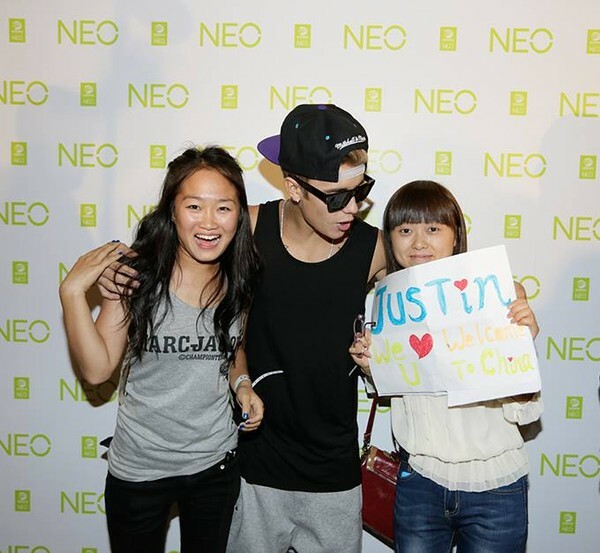 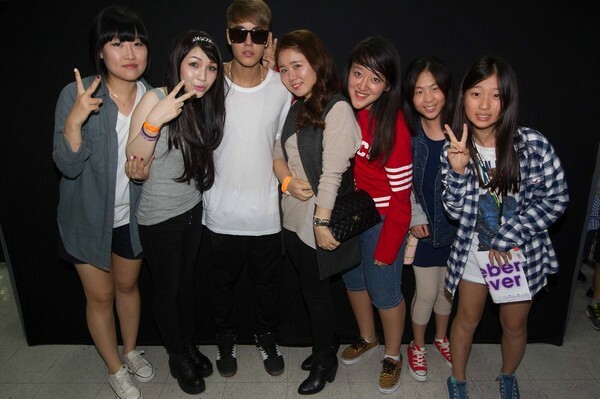 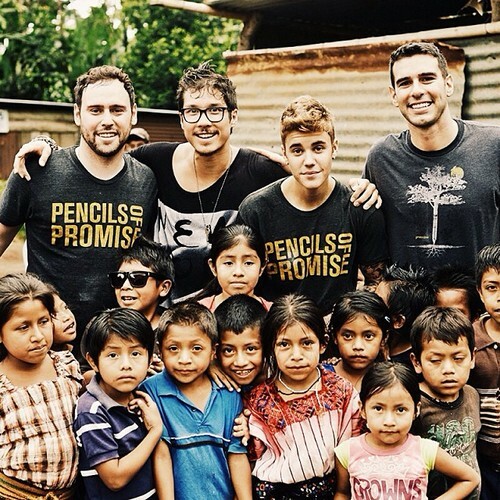 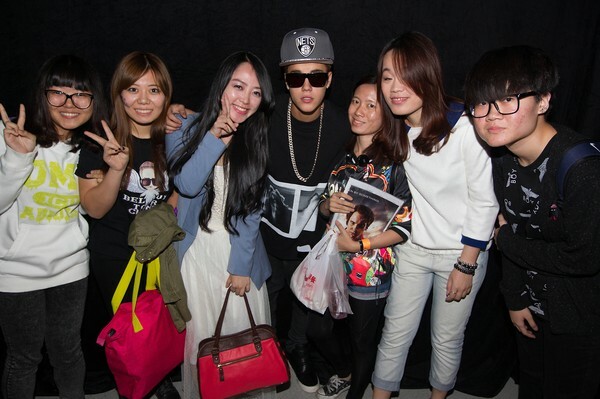 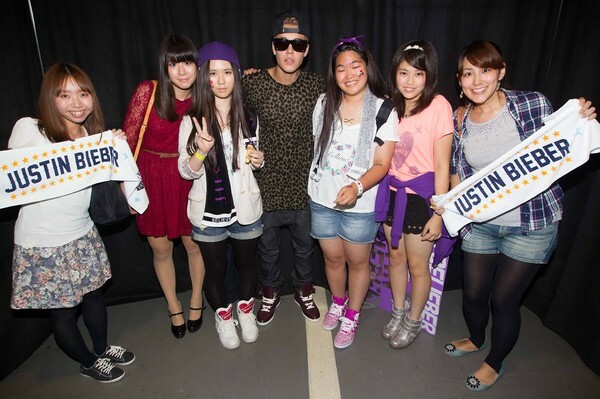 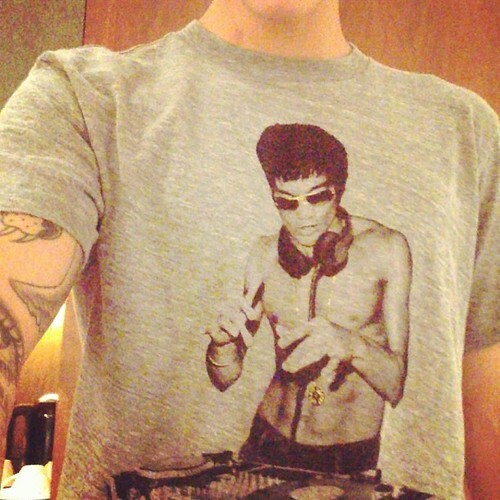 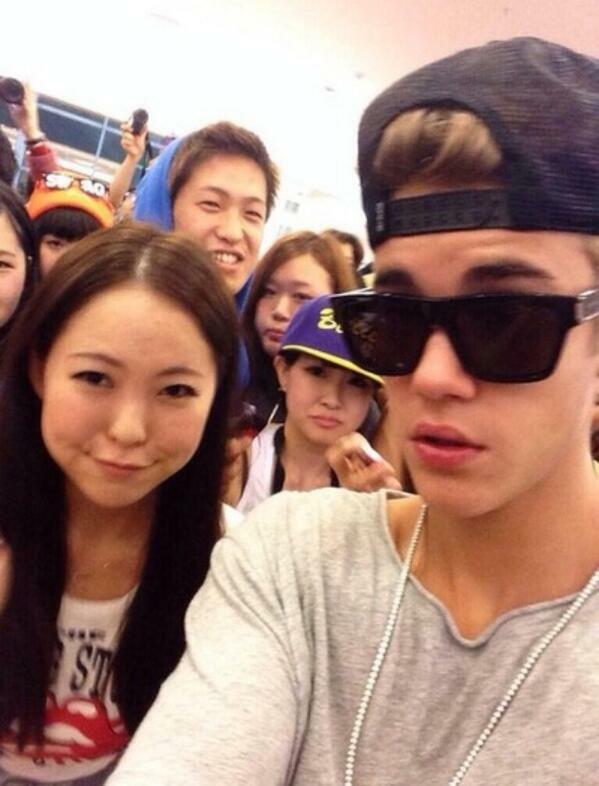 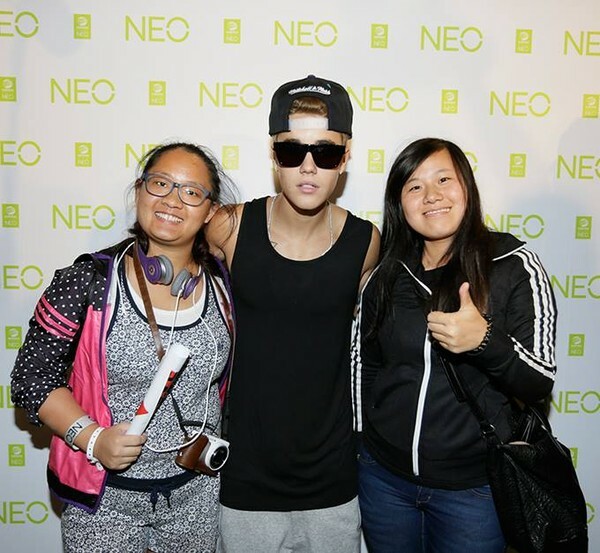 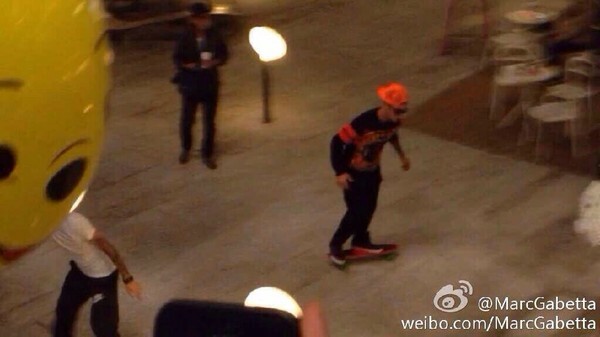 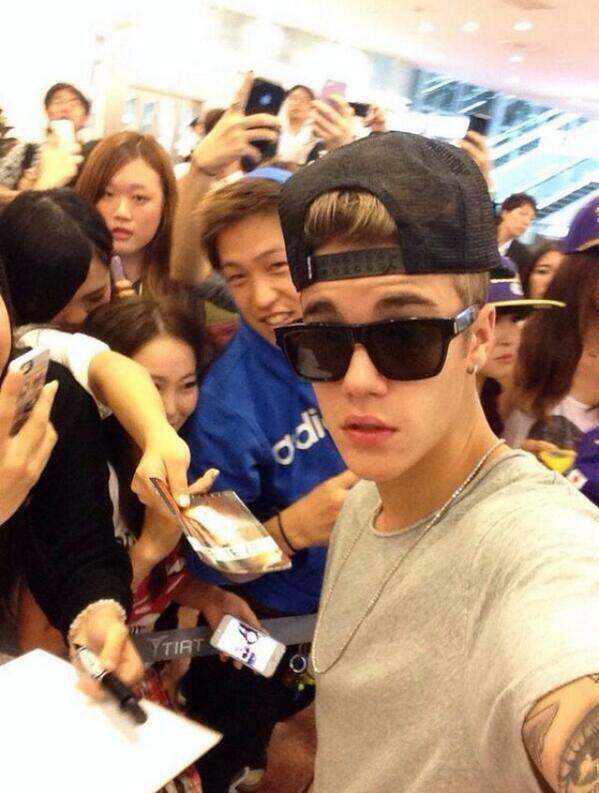 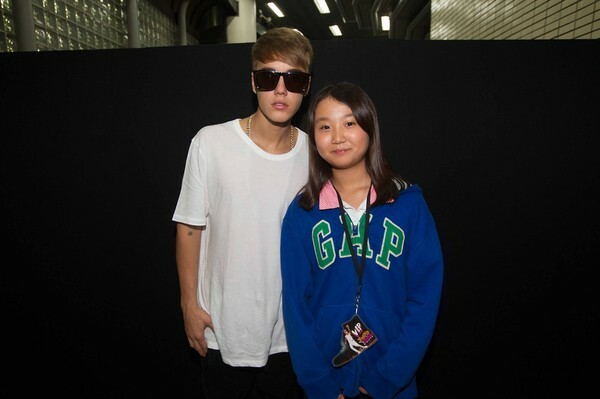 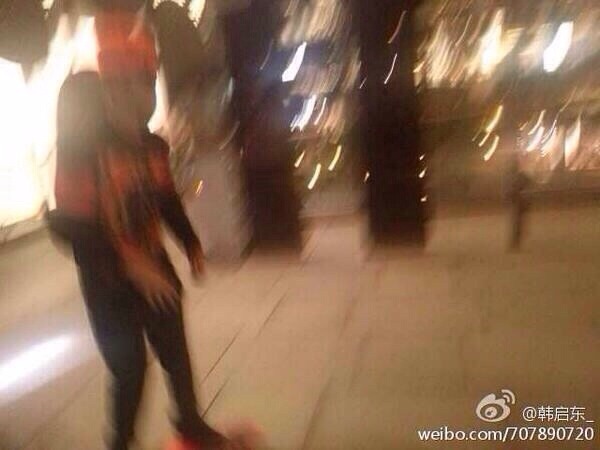 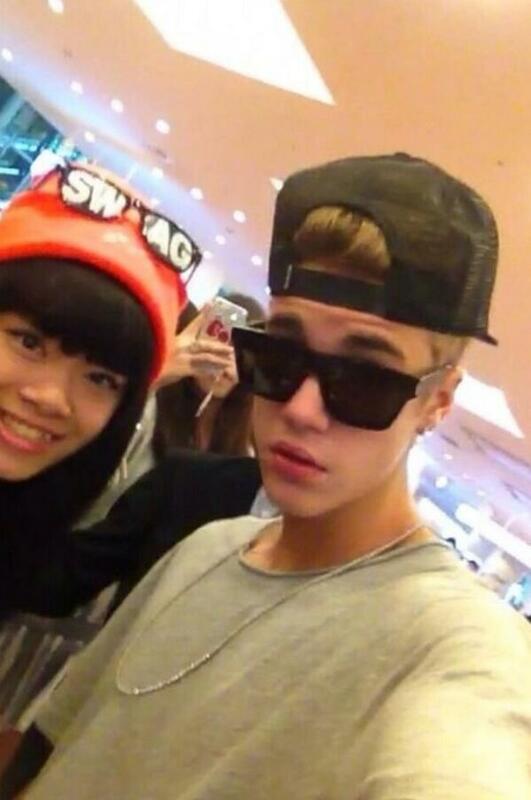 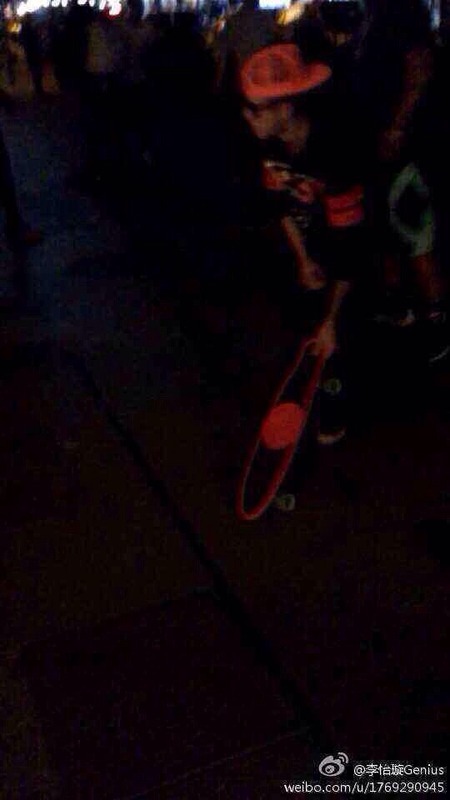 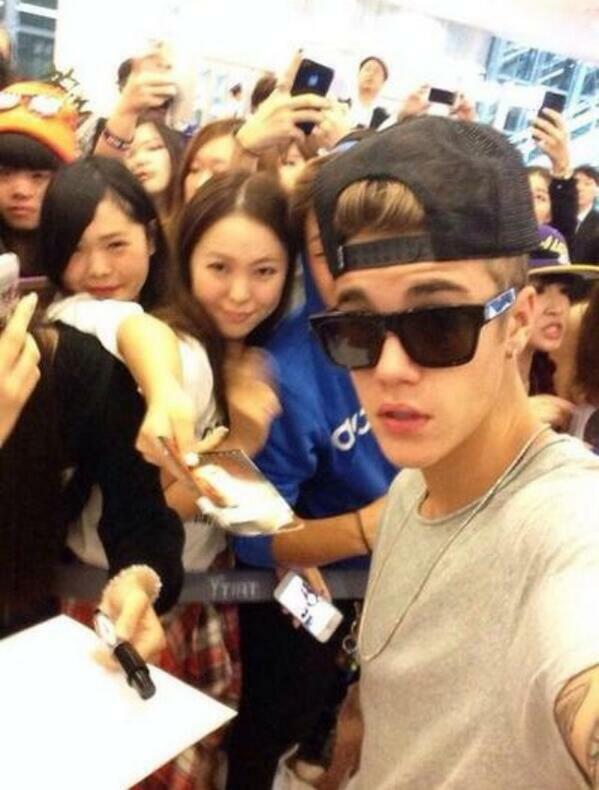 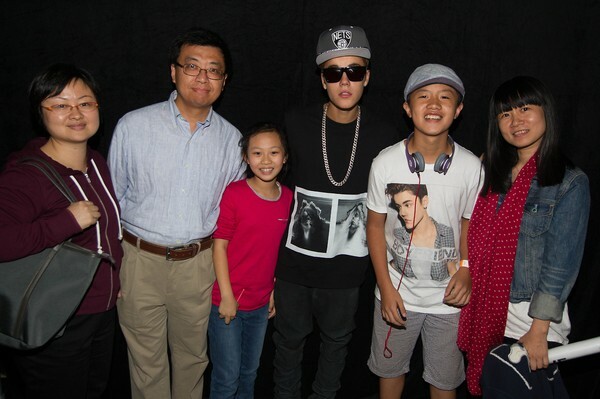 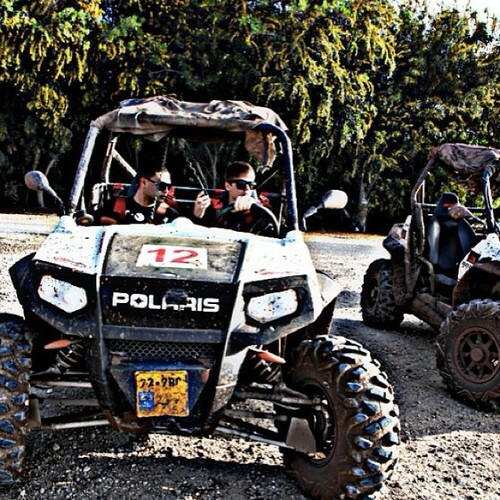 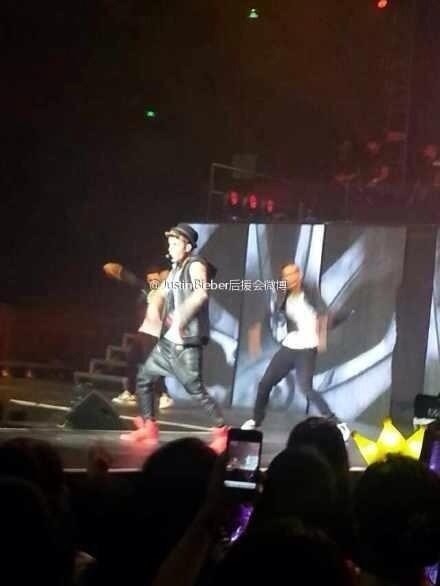 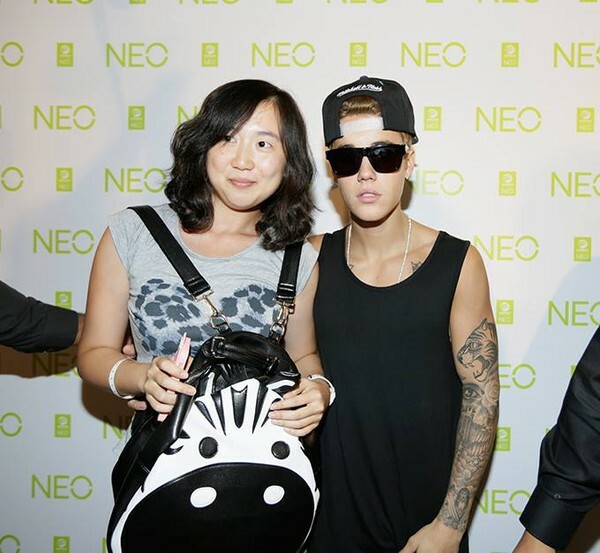 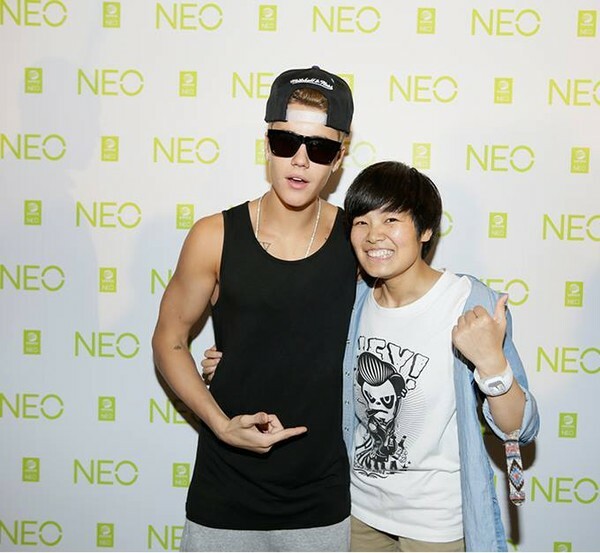 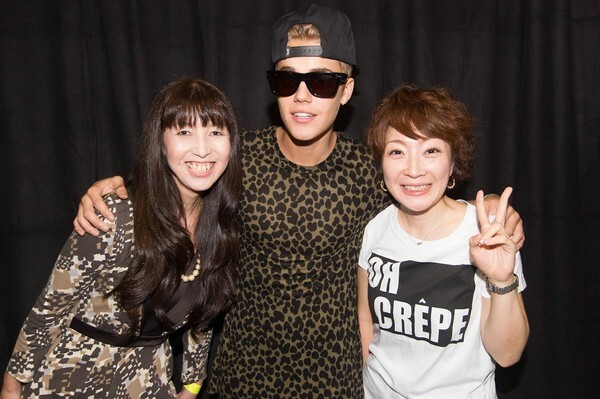 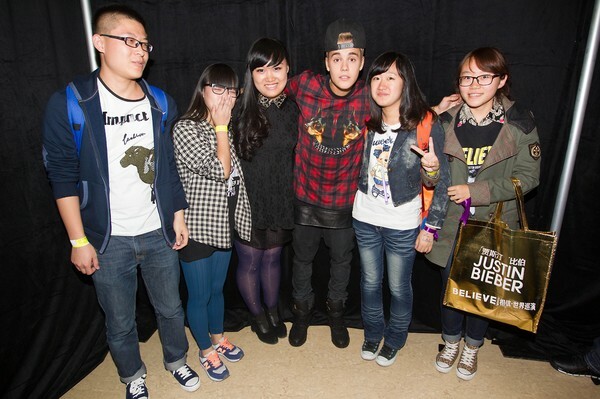 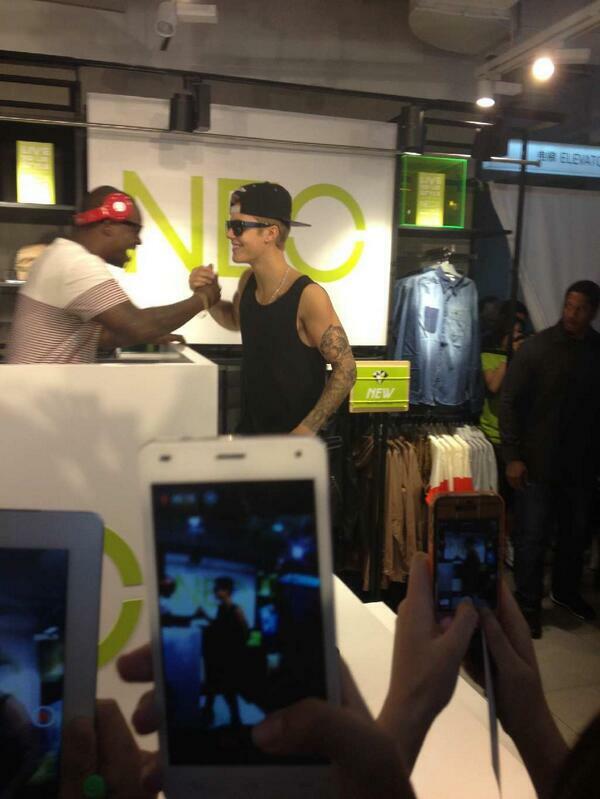 @psy_oppa: @justinbieber @psy_oppa @scooterbraun #Korea!! 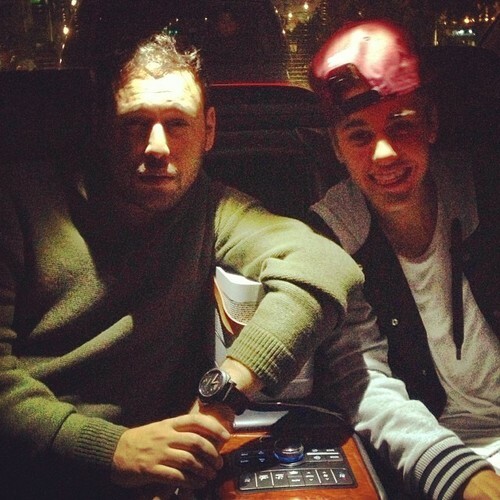 @scooterbraun: Me making @justinbieber’s face while he smiles. 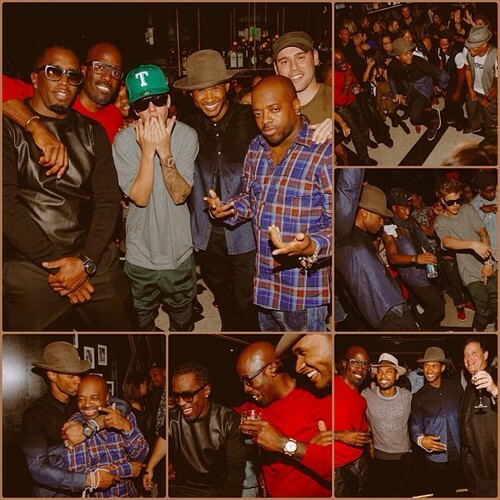 The boys are on the town in Seoul tonight! 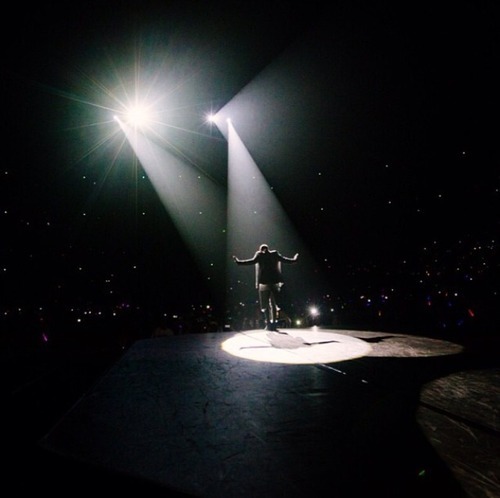 justinbieber: Just woke up and it feels like a good one today. 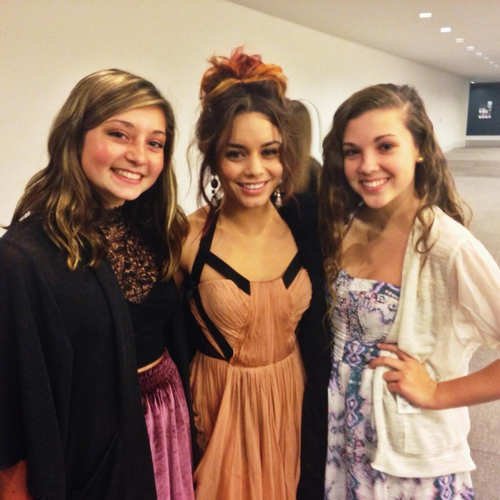 Yo, LiveLoud students, guess who just met Vanessa Hudgens? 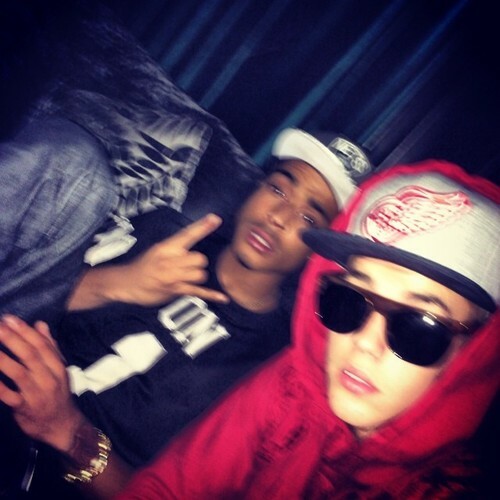 Faded Friday. 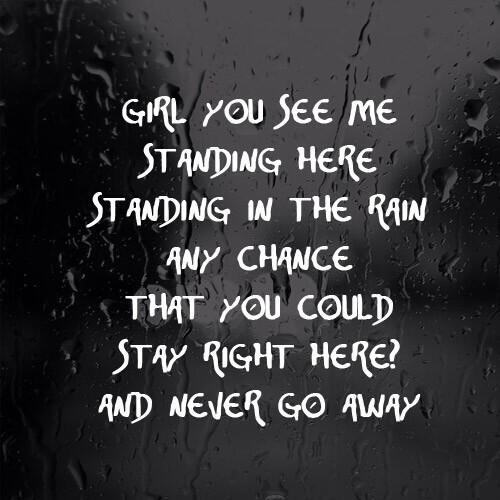 Happy weekend lovers. 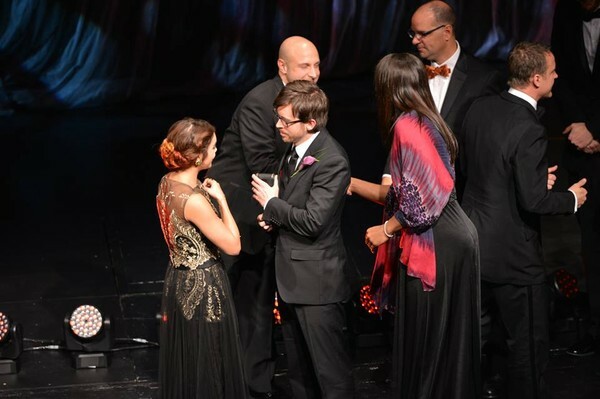 Detta är ett event som stödjer bröstcancer. 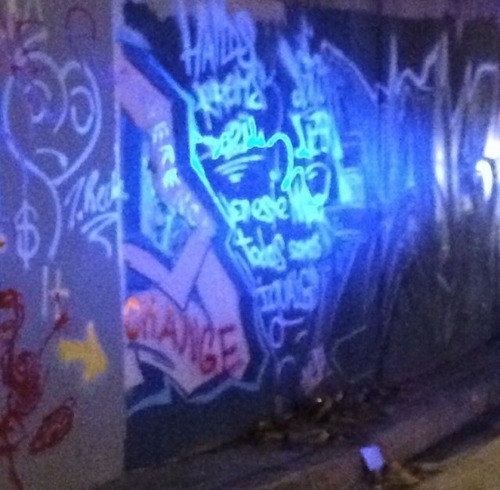 Klicka på de småa bilderna för att de ska bli större. 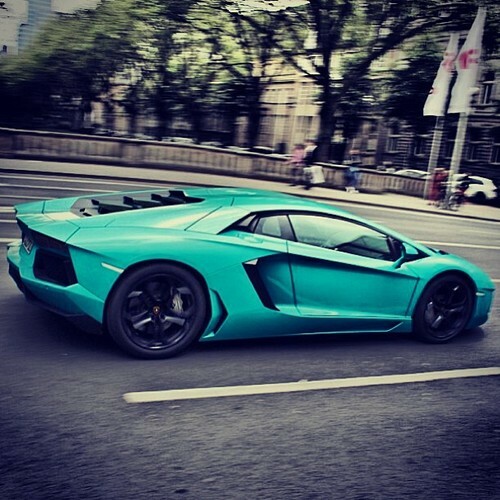 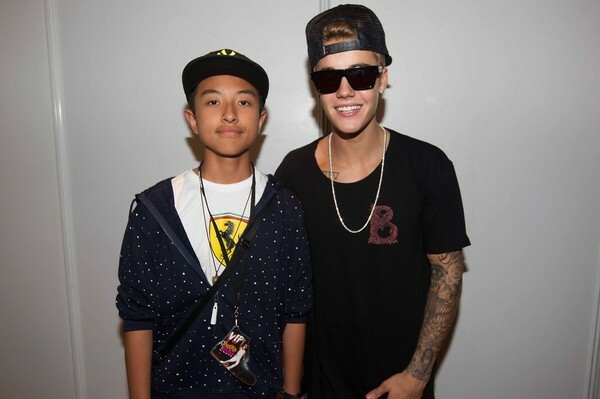 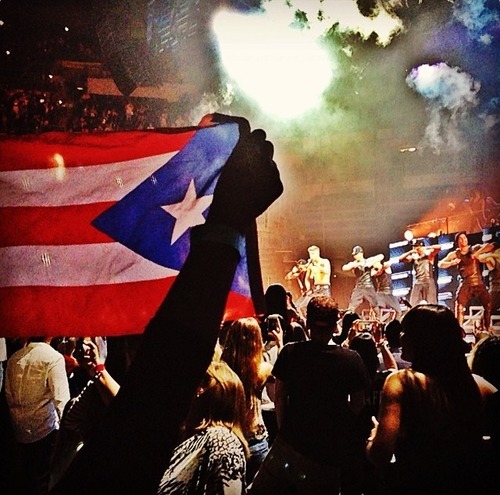 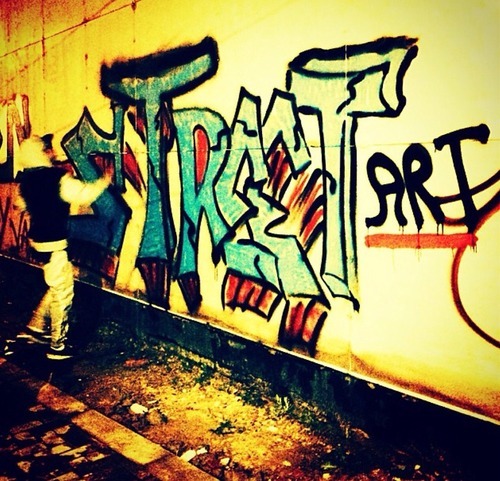 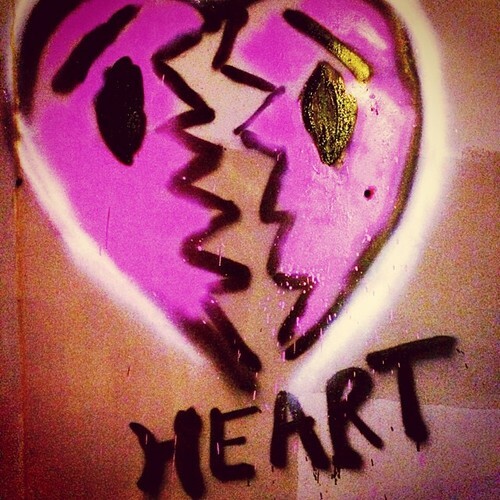 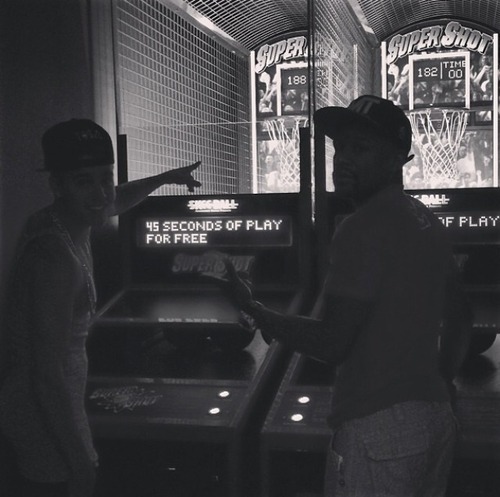 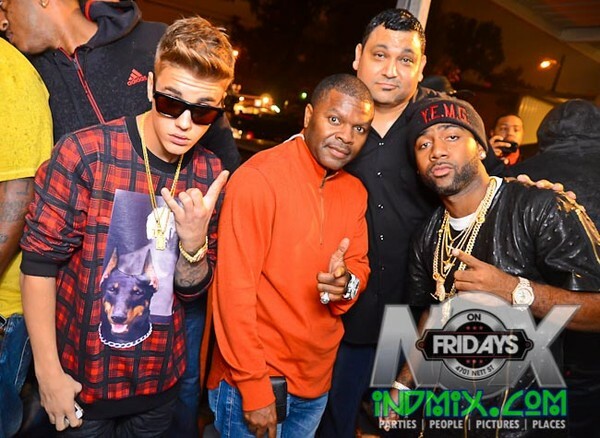 alfredoflores: another day. 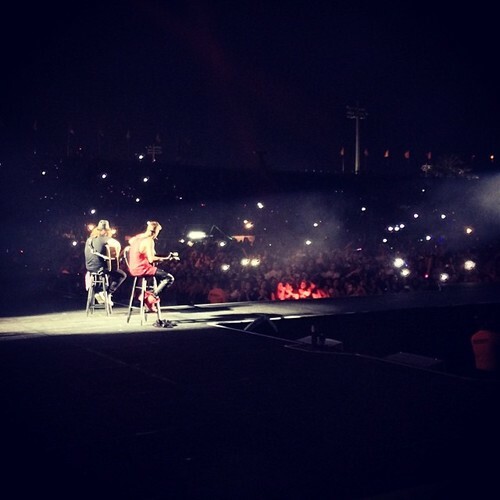 another show. 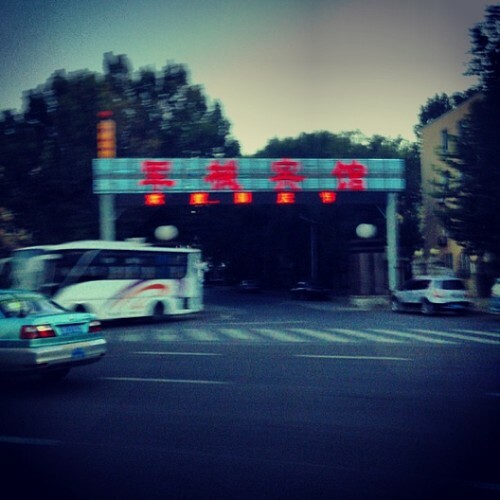 another city.